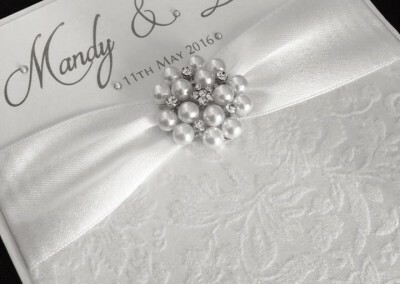 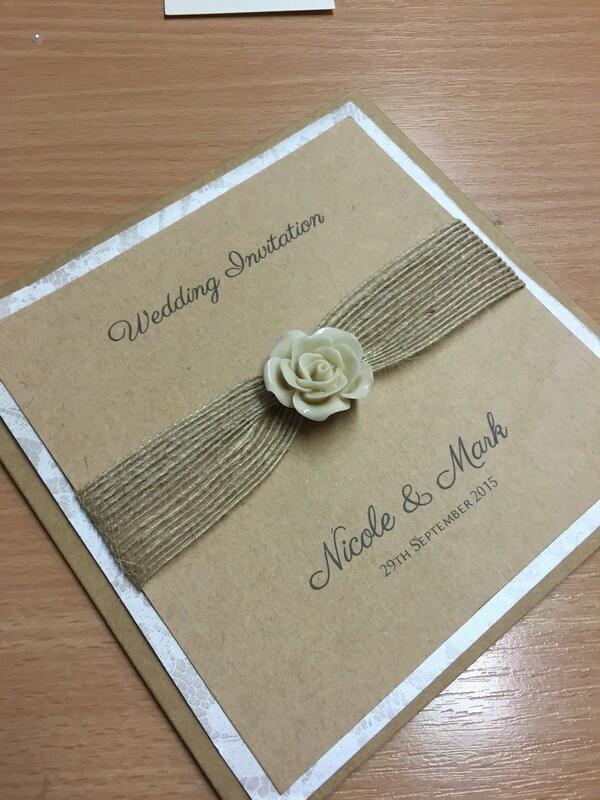 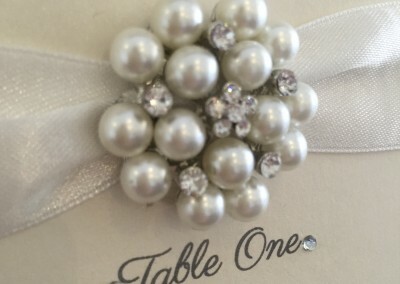 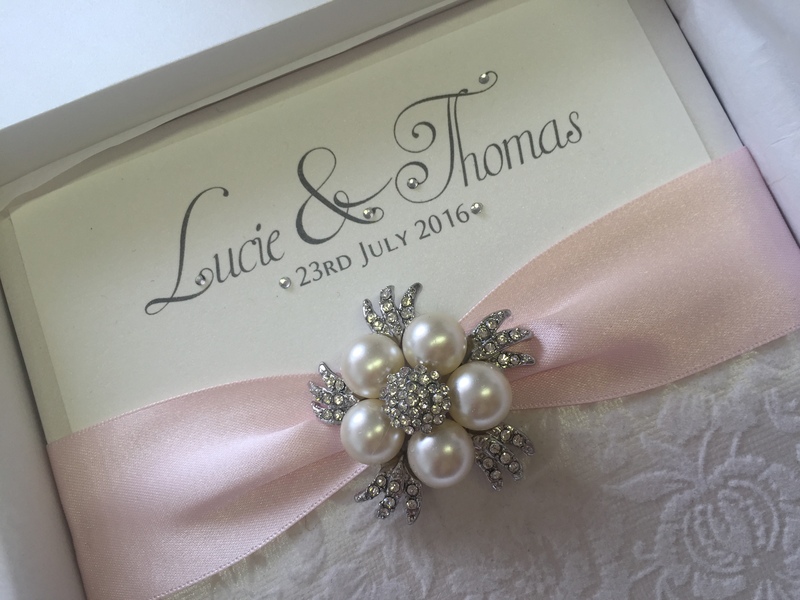 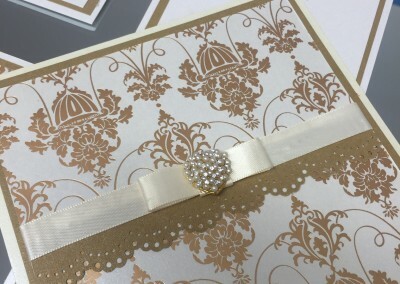 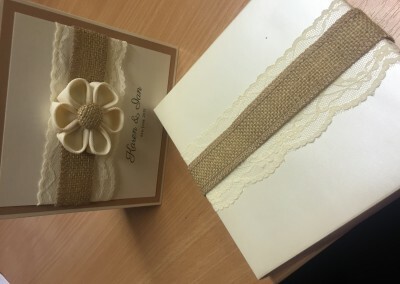 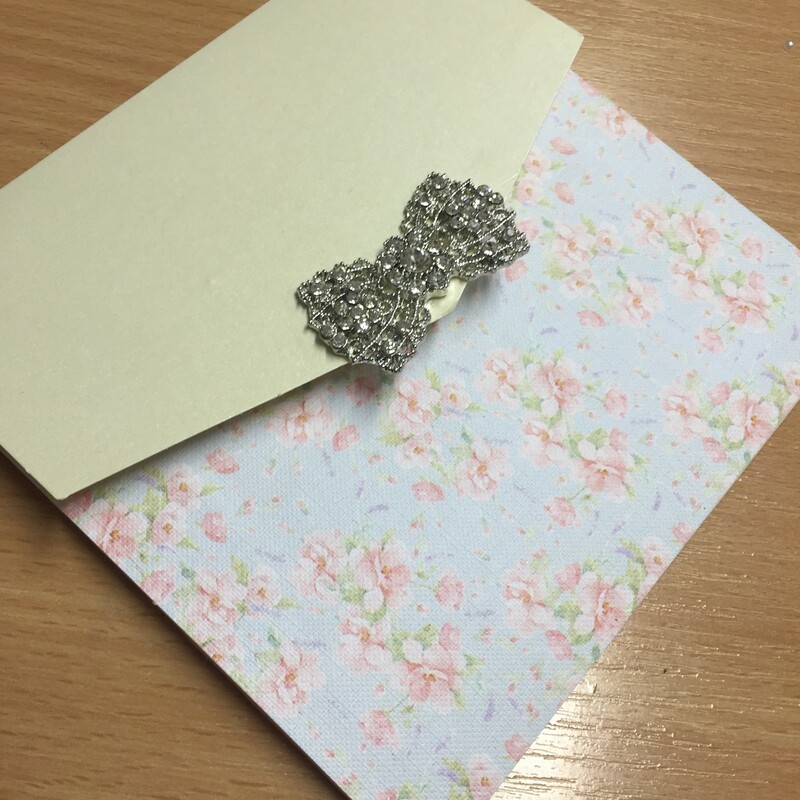 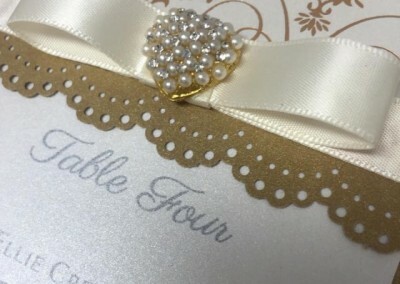 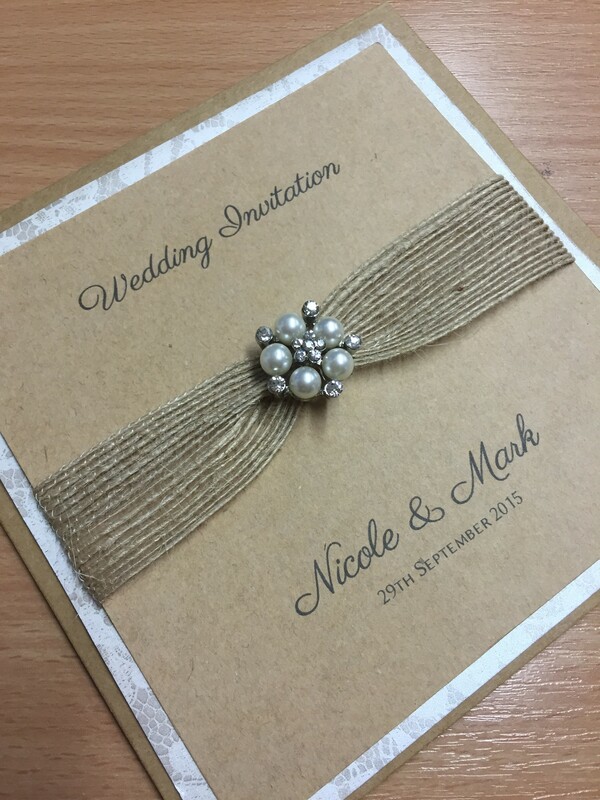 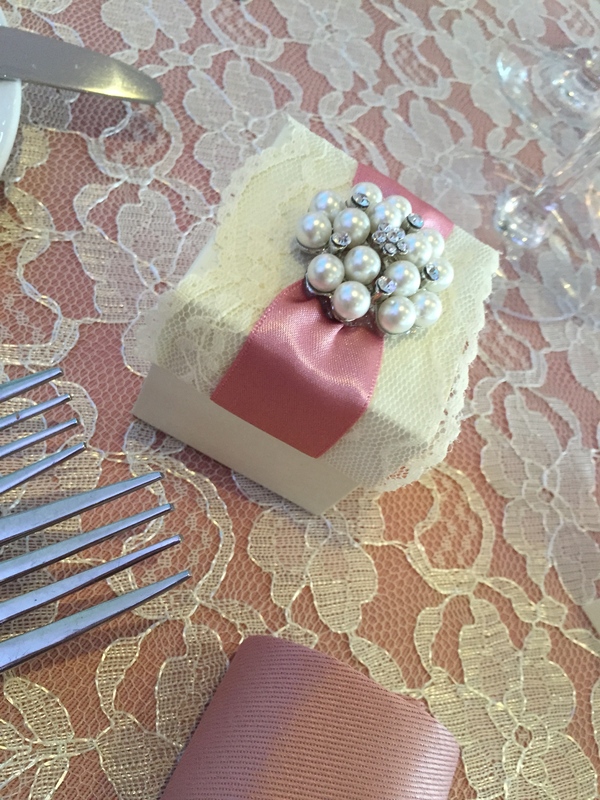 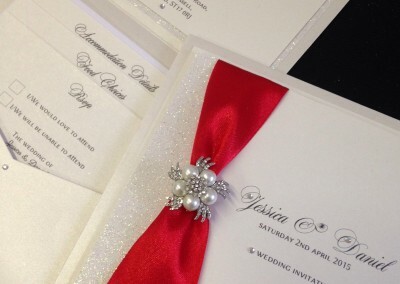 Using the very best in materials we are able to help our clients create their desired stationery. 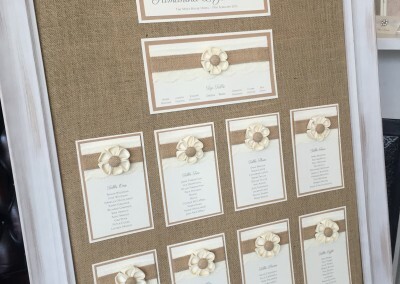 From Save the Dates, Invitations and seating plans. 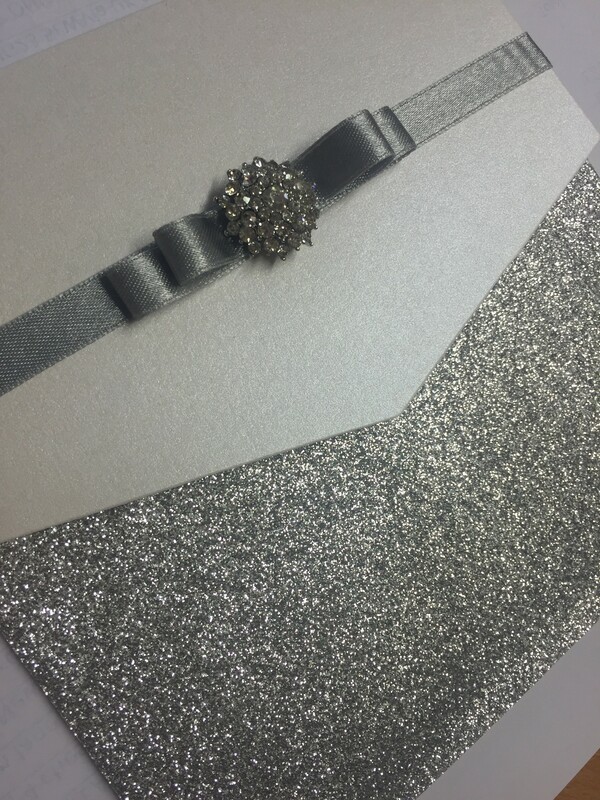 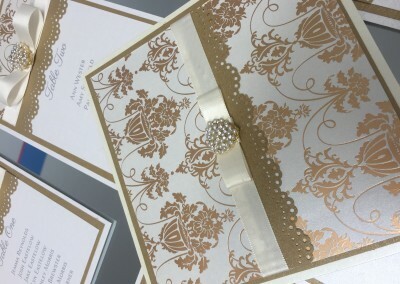 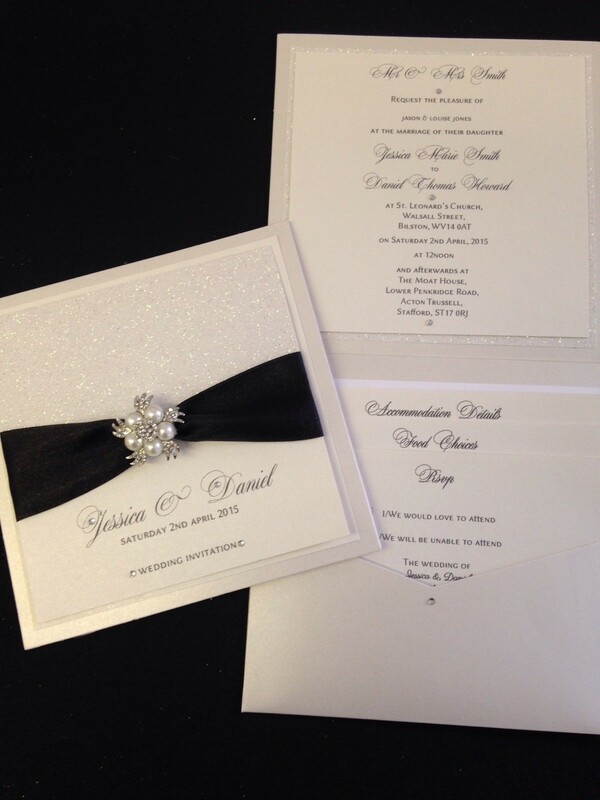 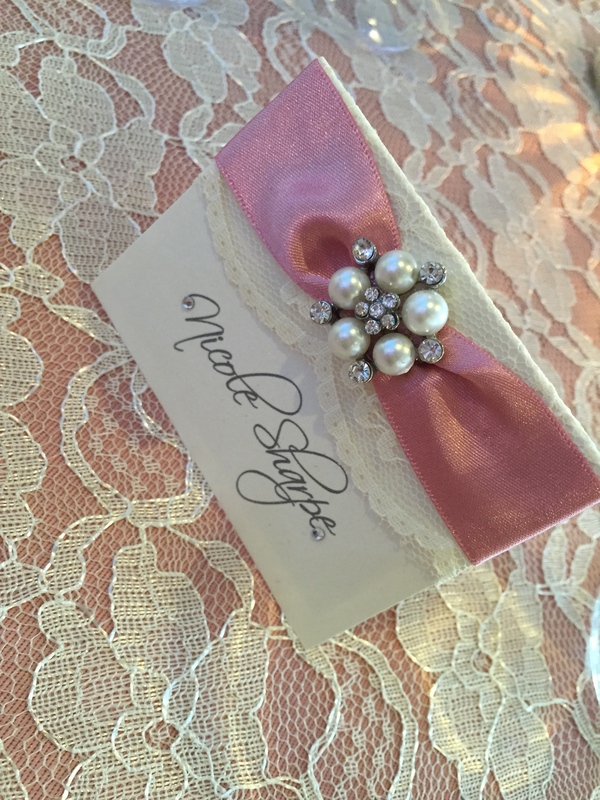 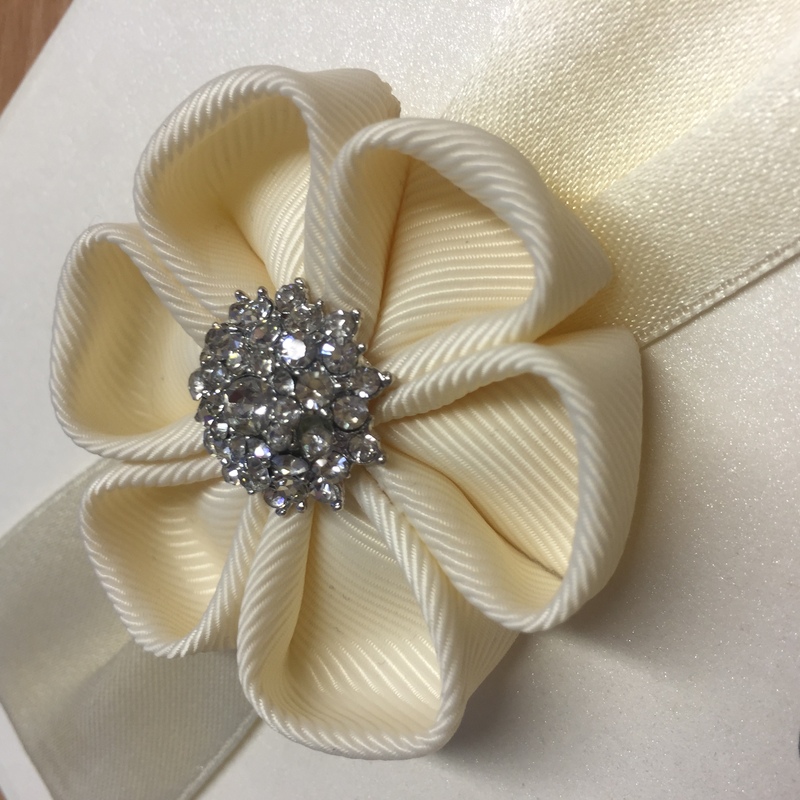 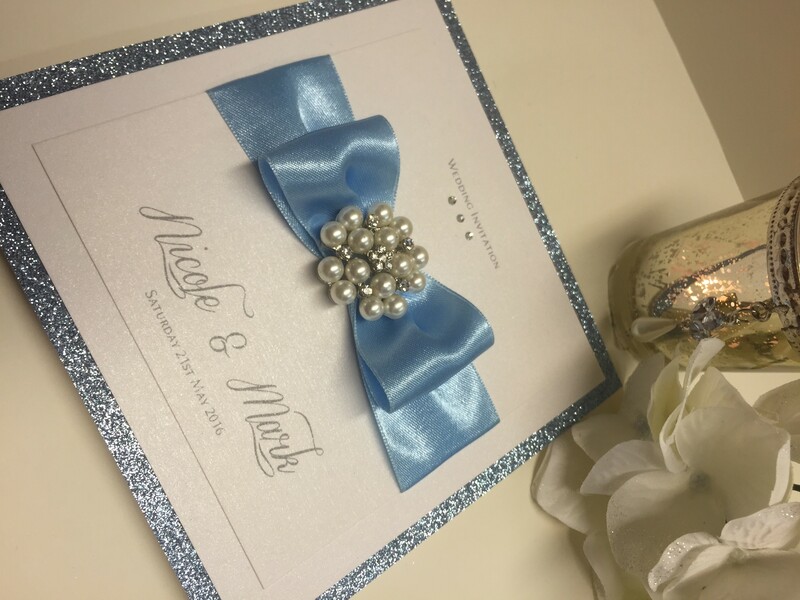 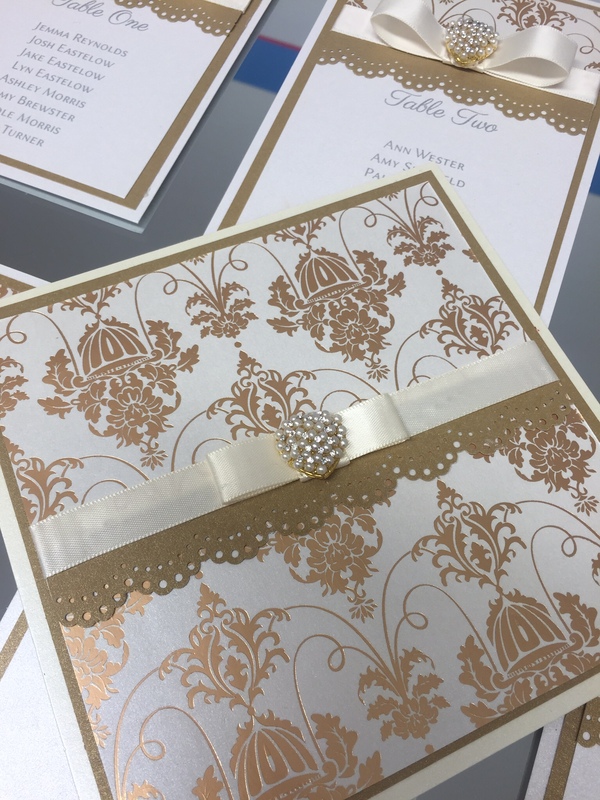 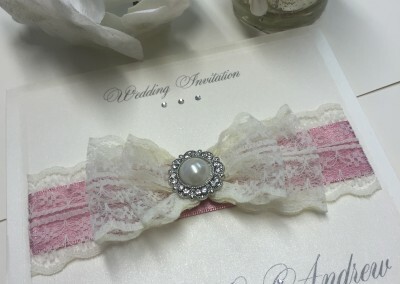 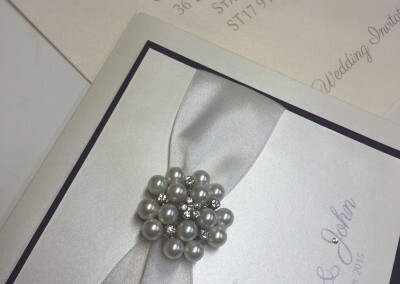 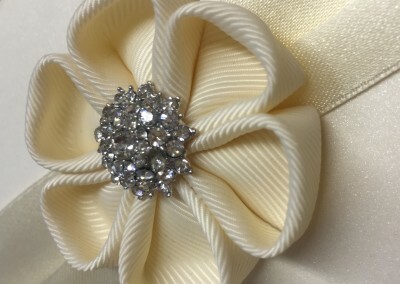 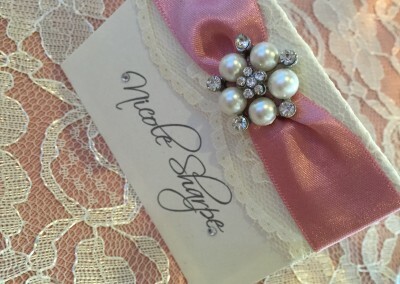 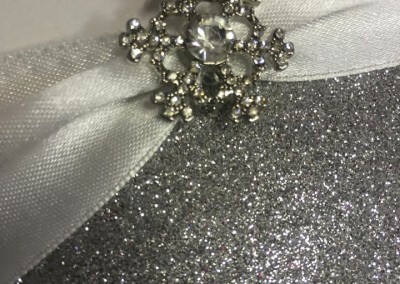 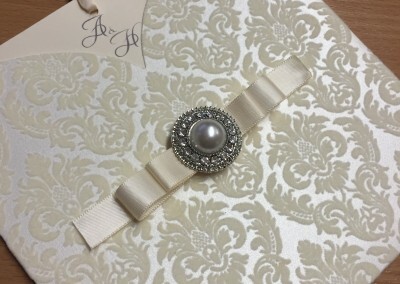 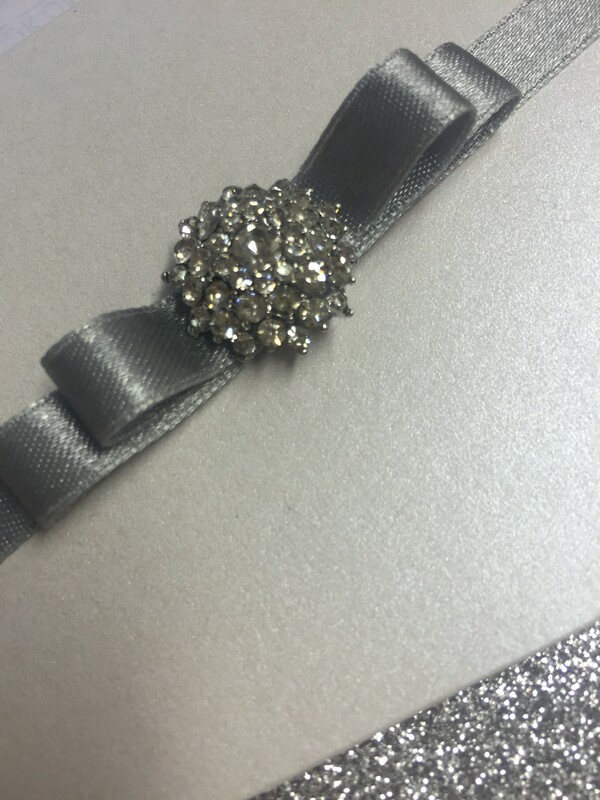 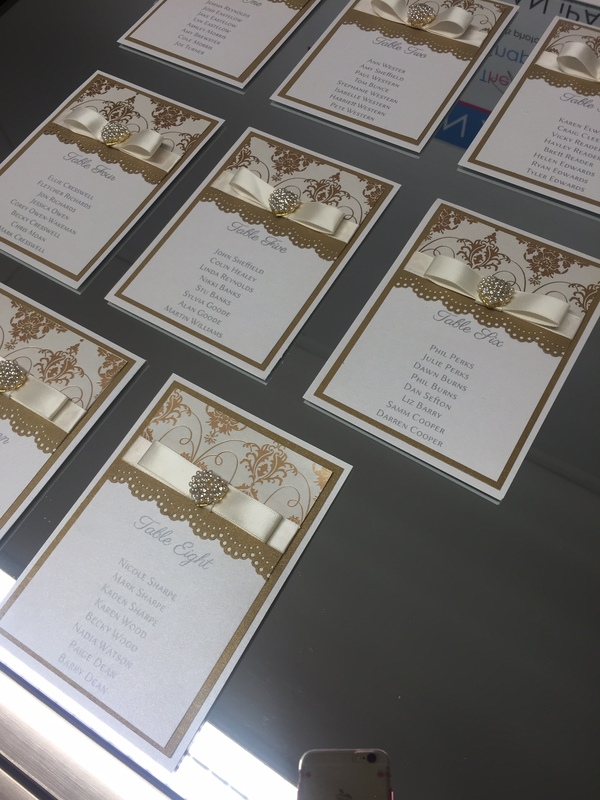 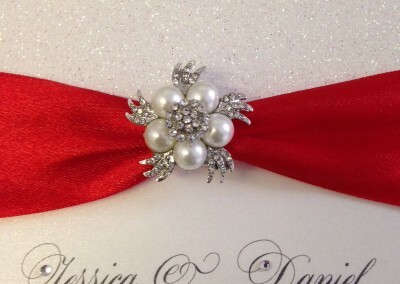 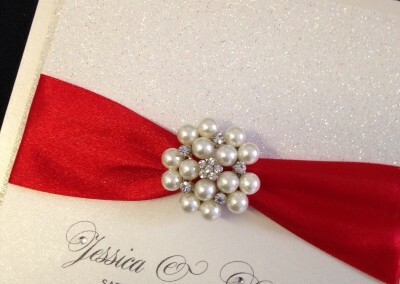 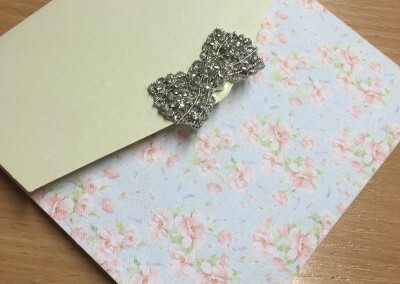 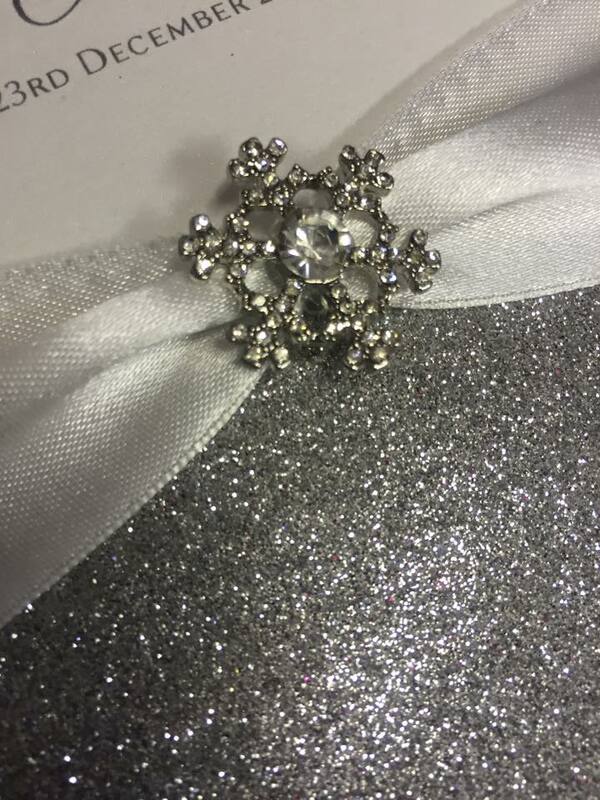 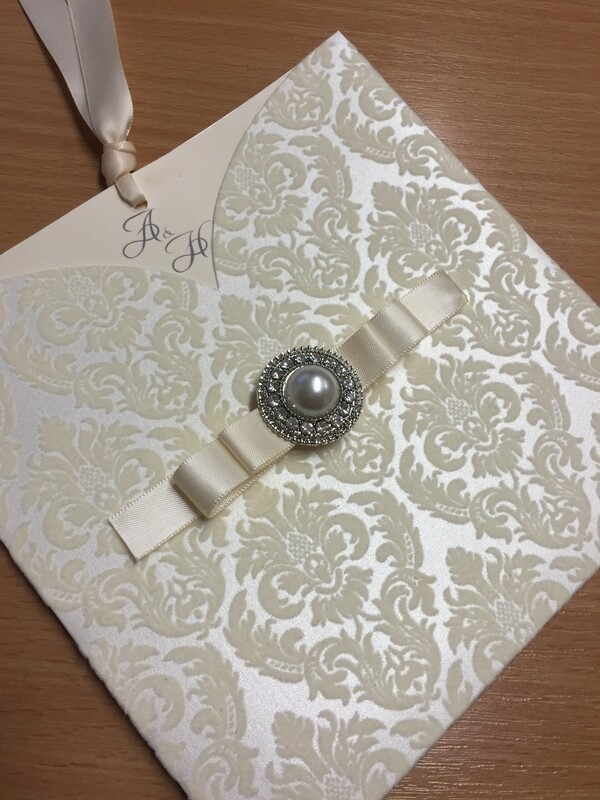 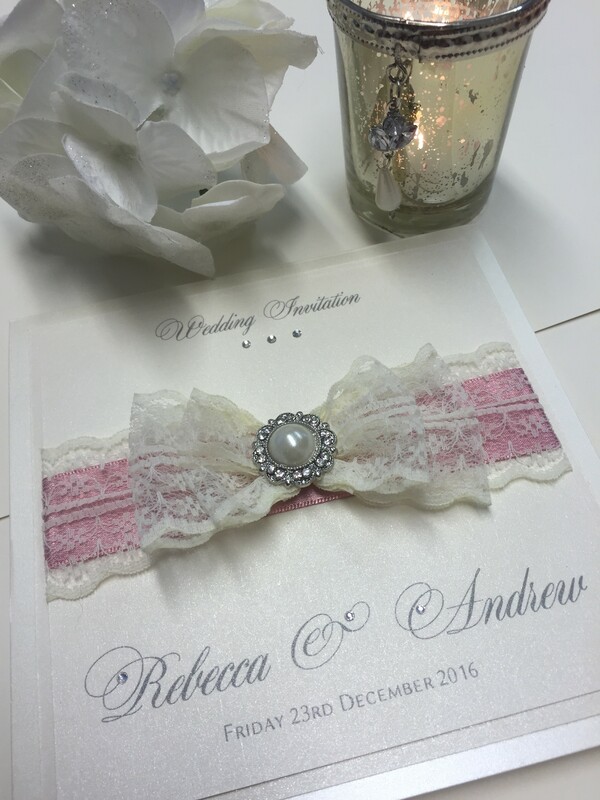 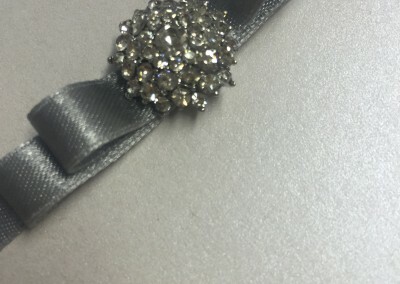 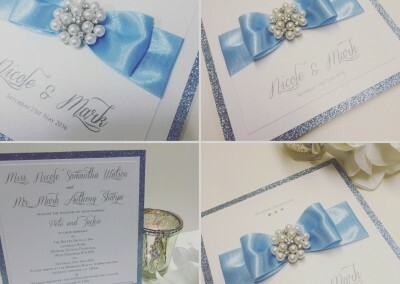 Each of our invitations are hand crafted in house. 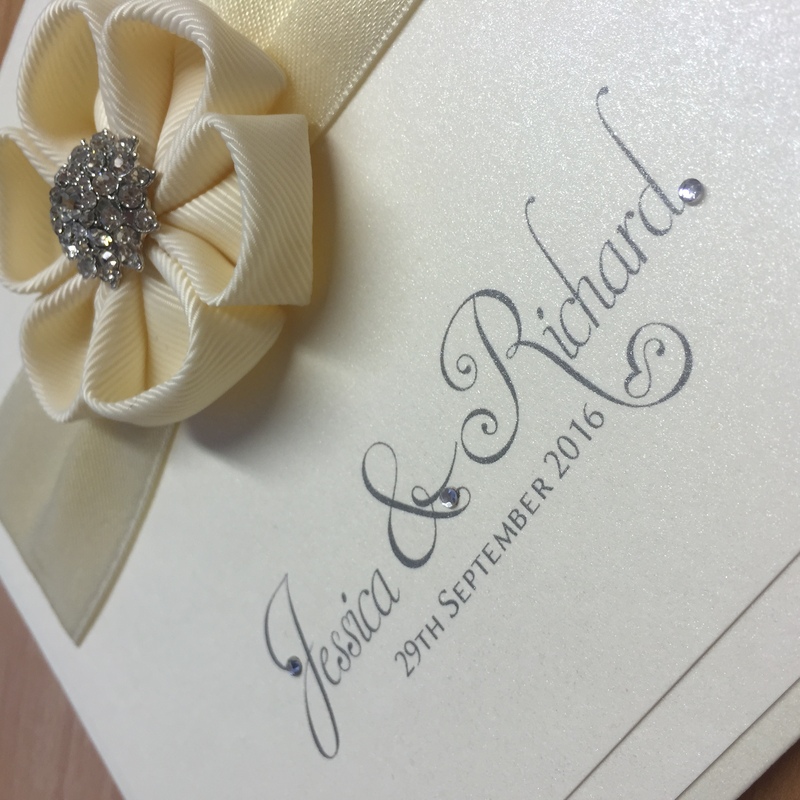 We have our own in-house cutting and blinding machines giving us the flexibility to craft your stationery exactly how you would like them. 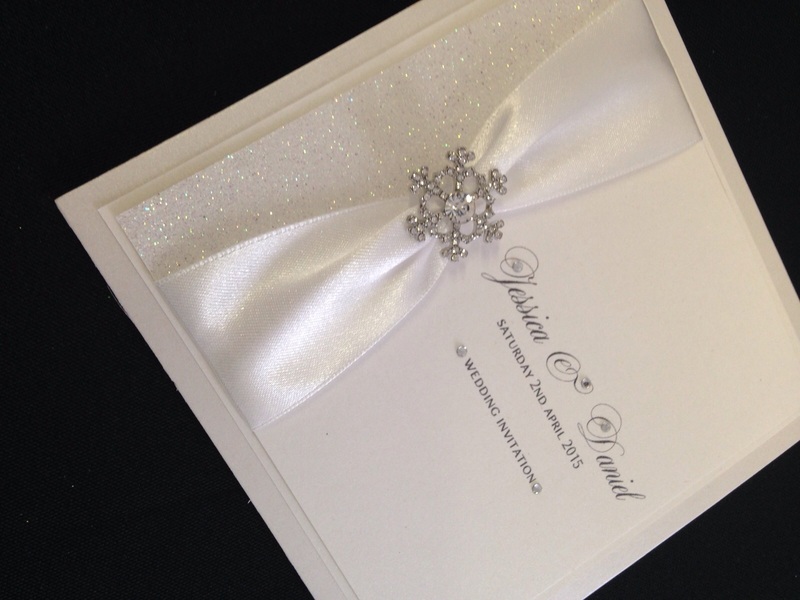 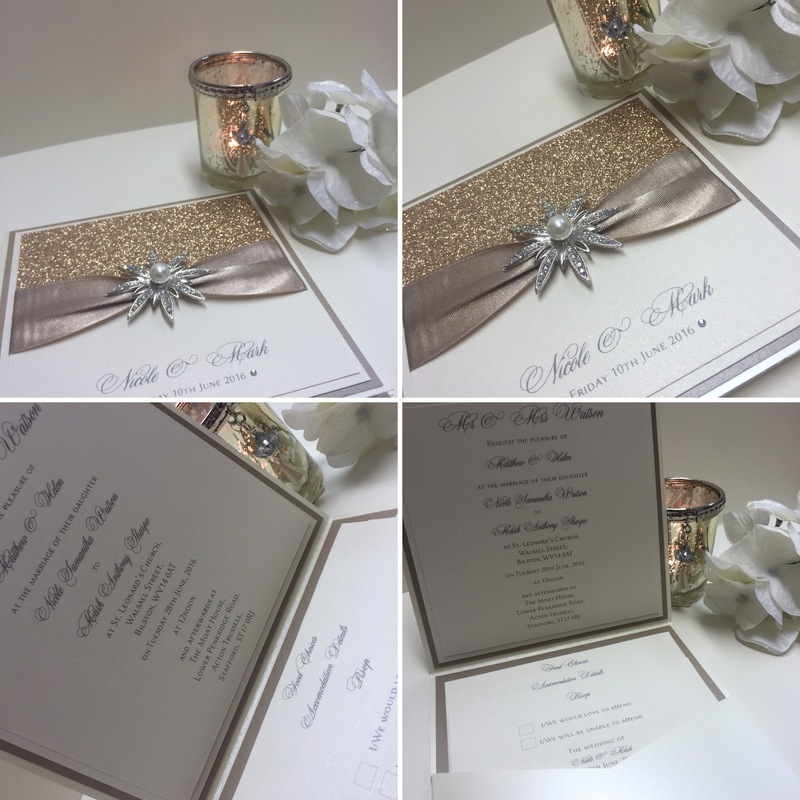 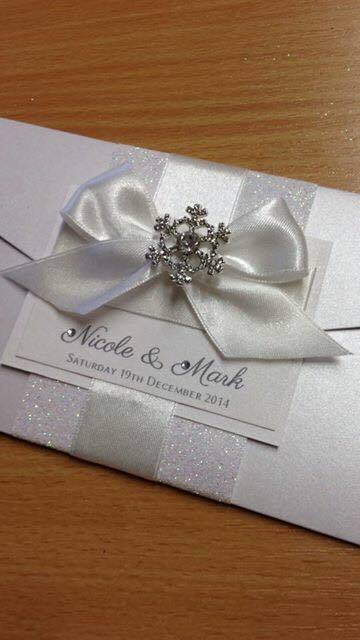 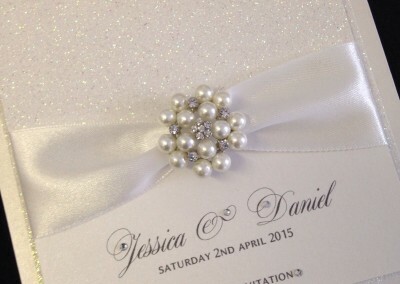 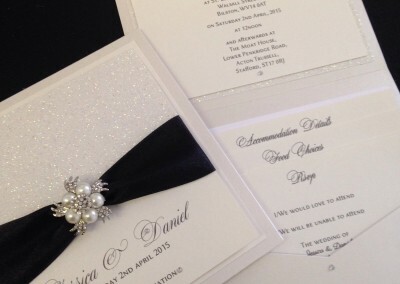 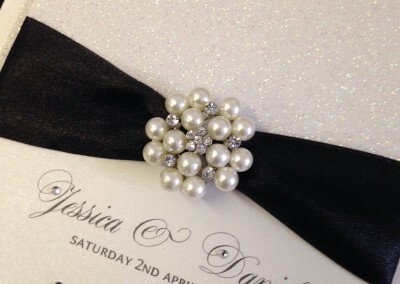 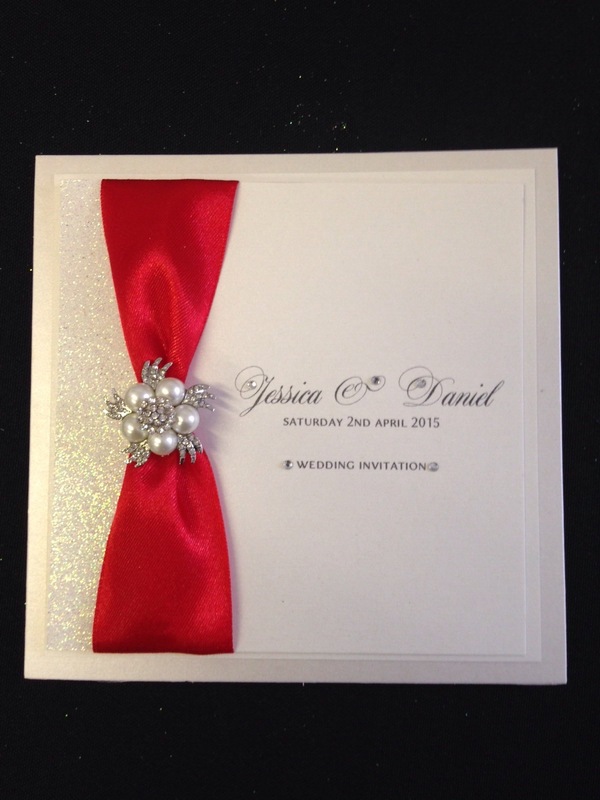 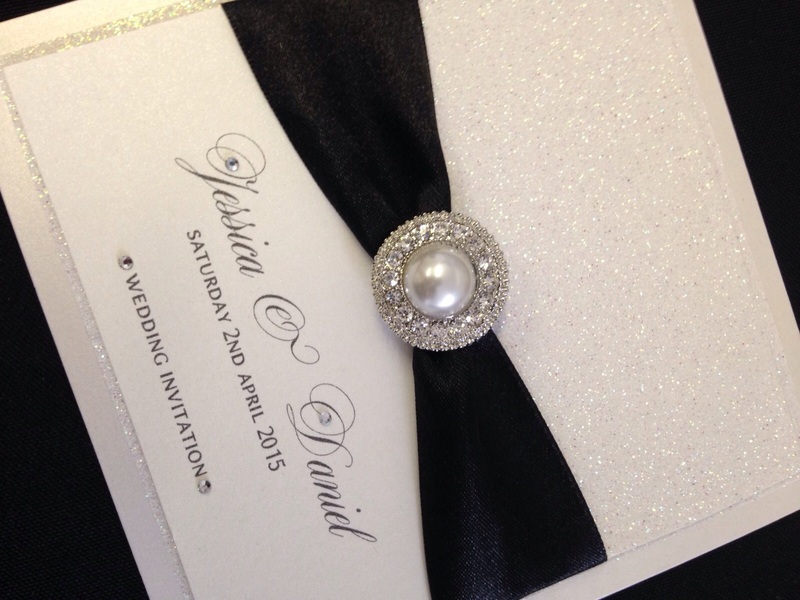 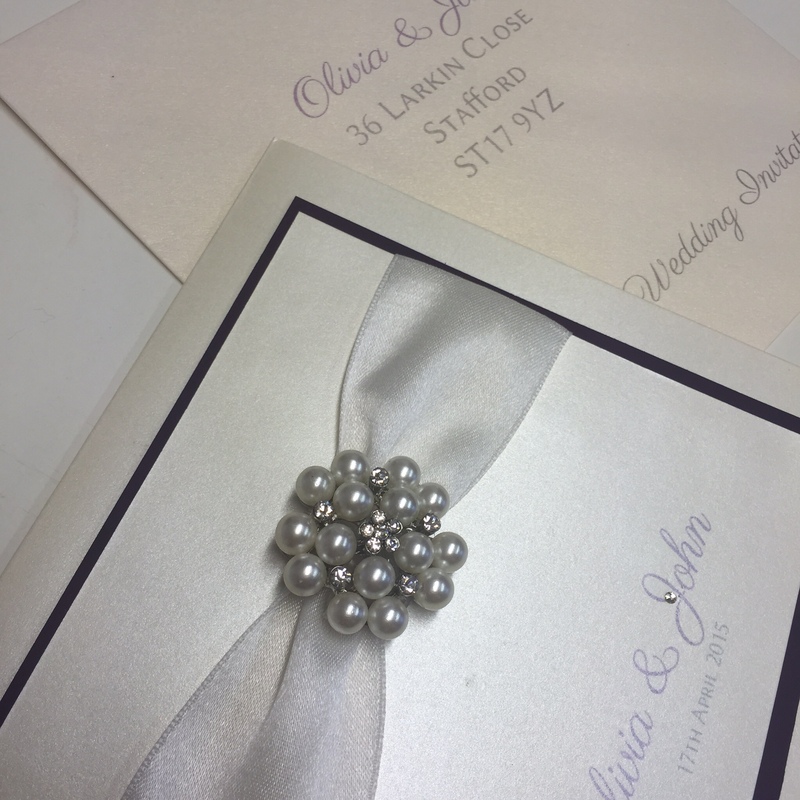 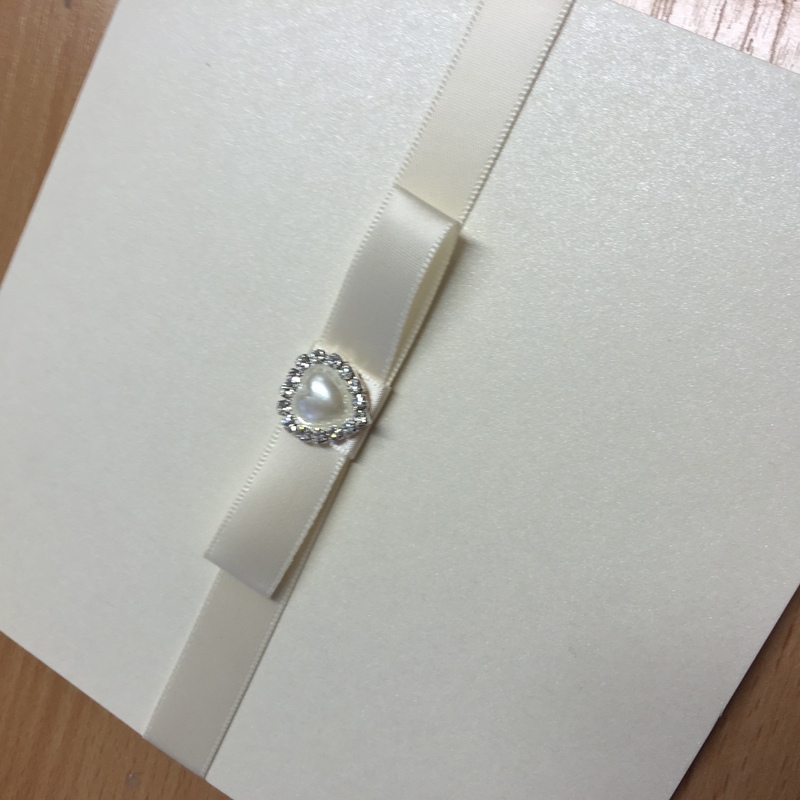 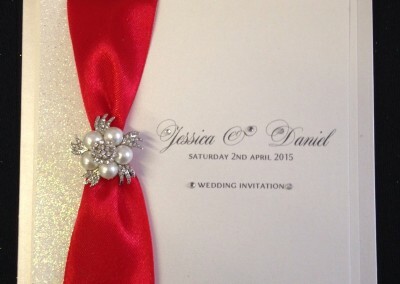 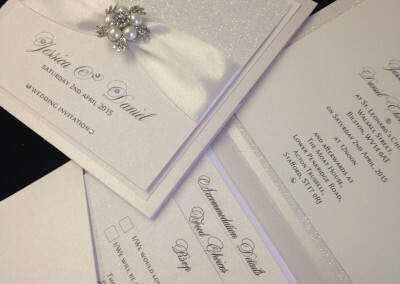 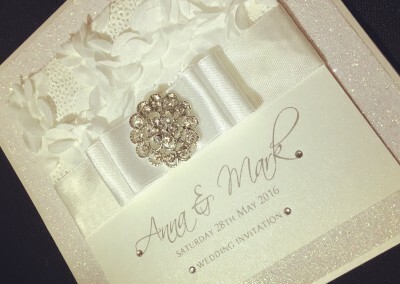 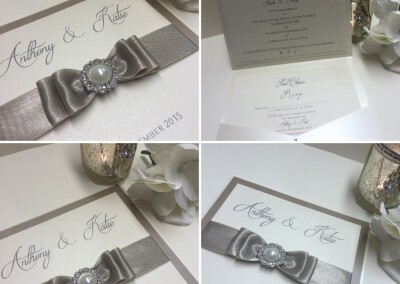 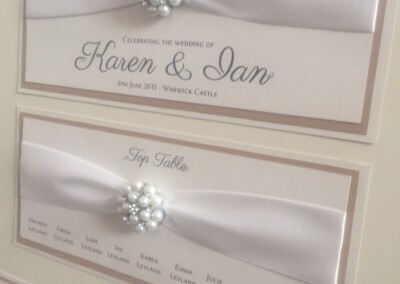 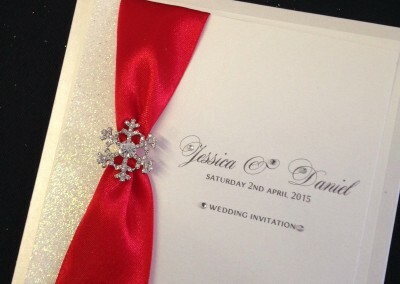 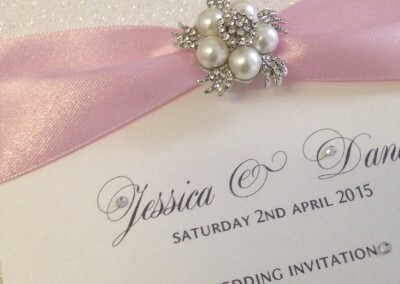 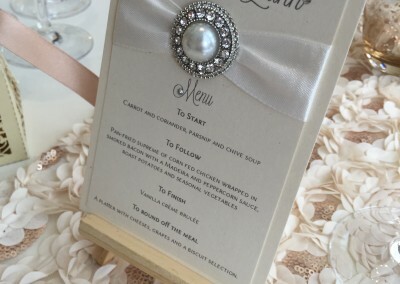 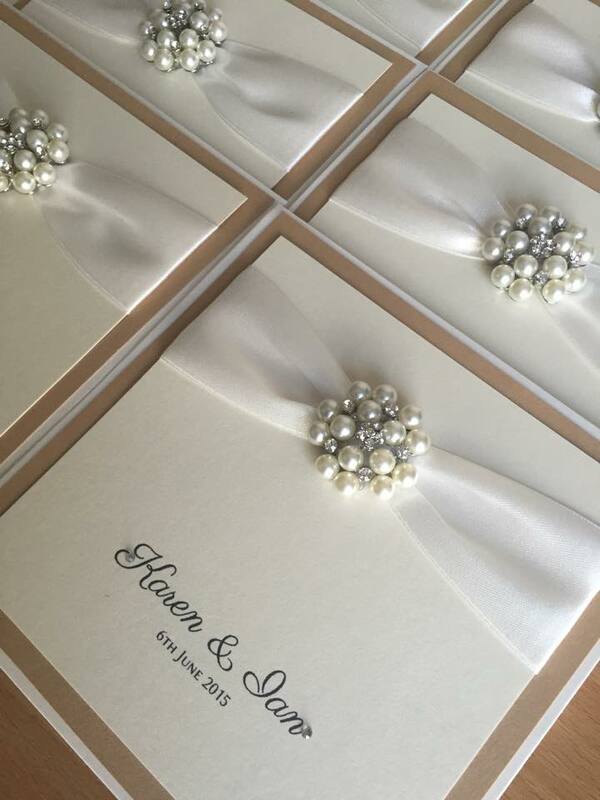 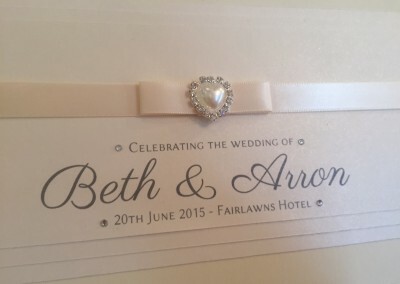 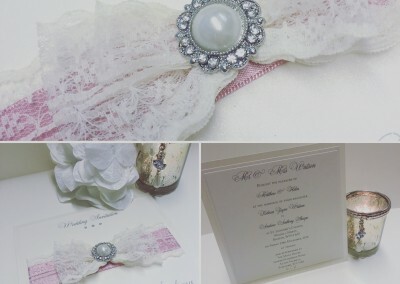 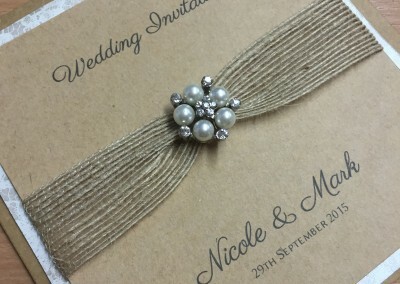 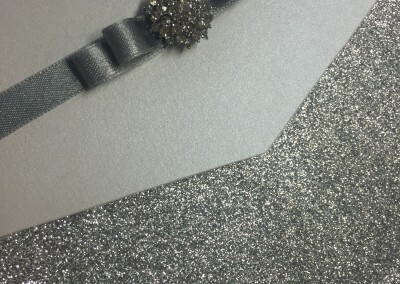 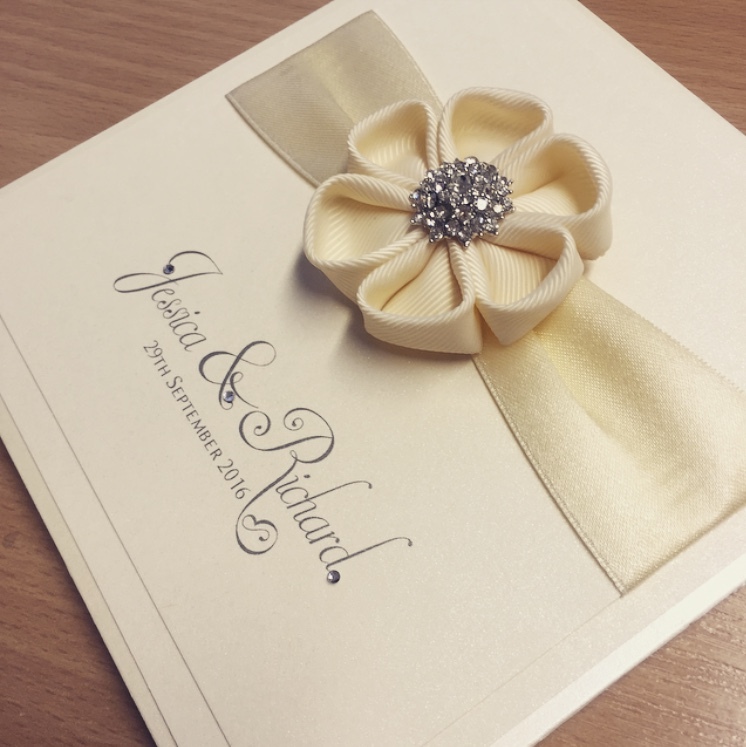 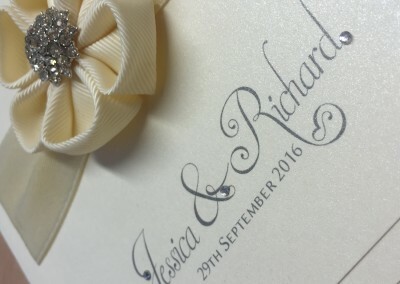 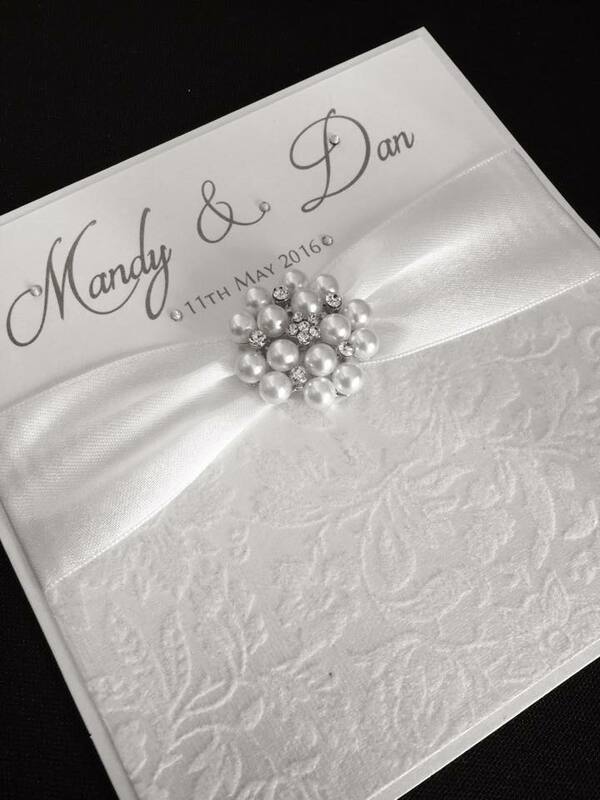 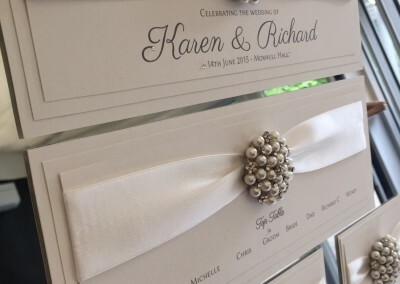 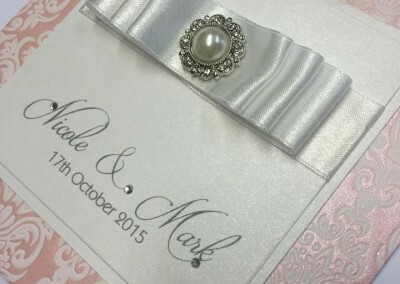 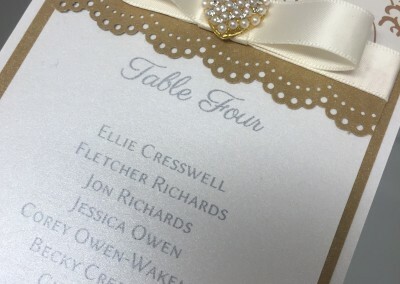 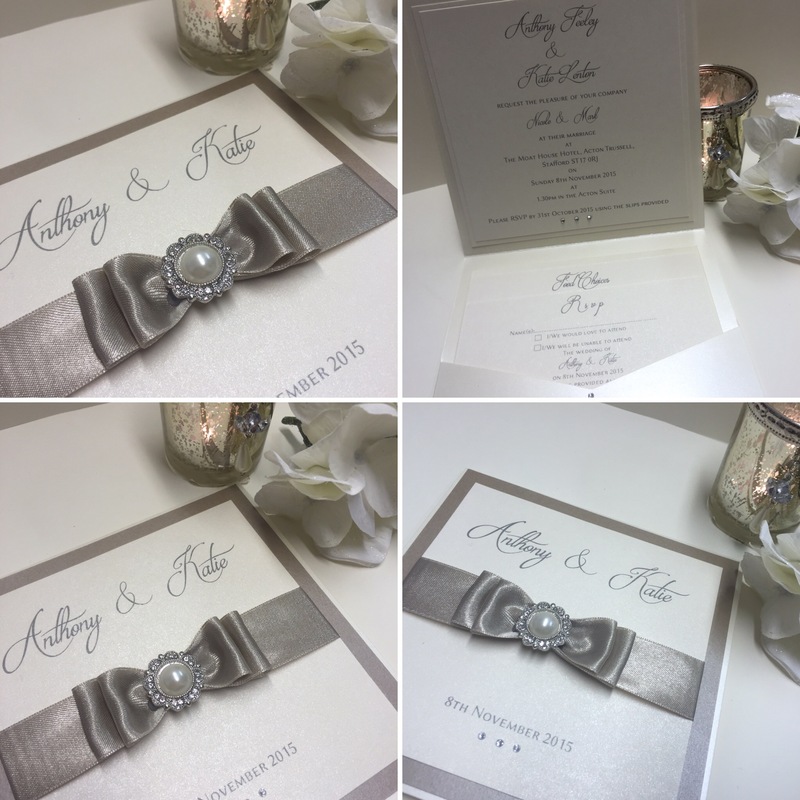 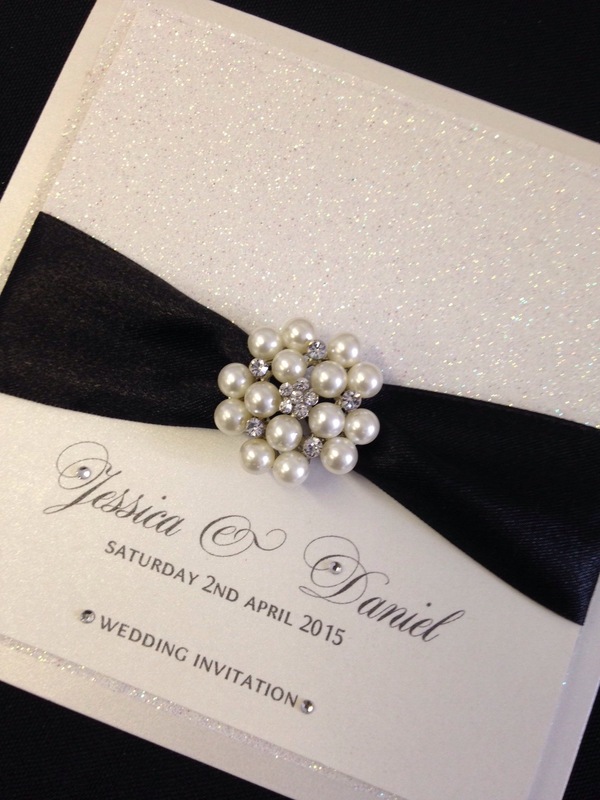 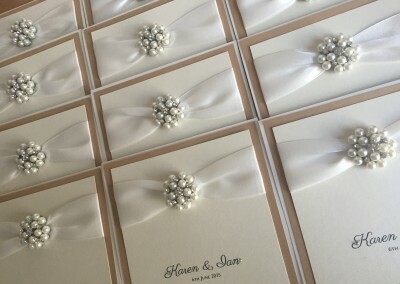 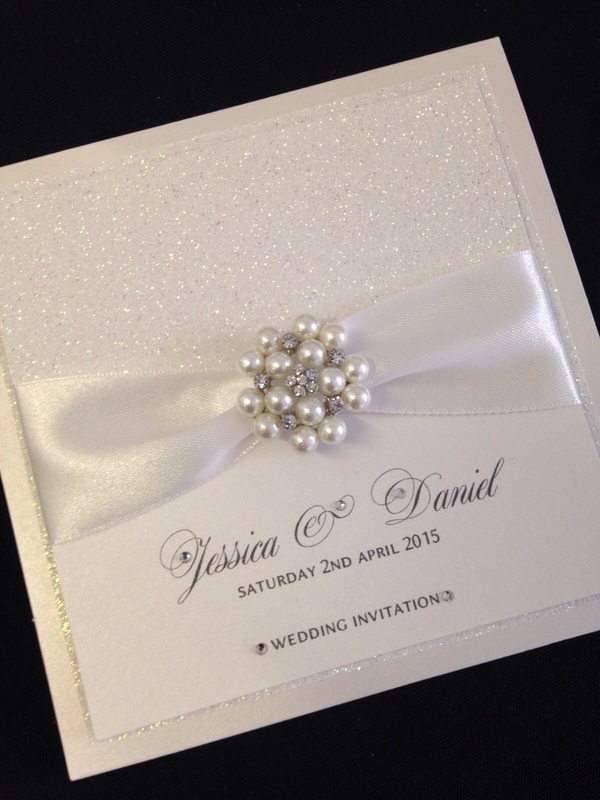 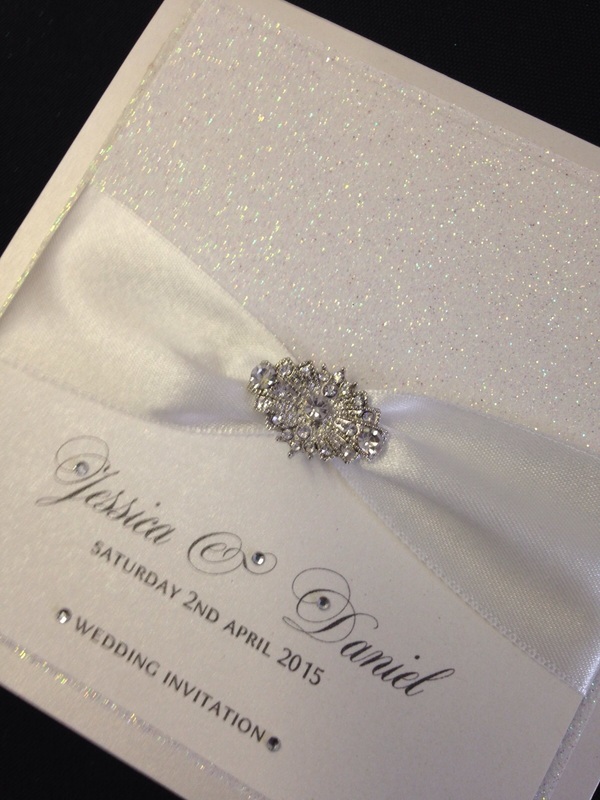 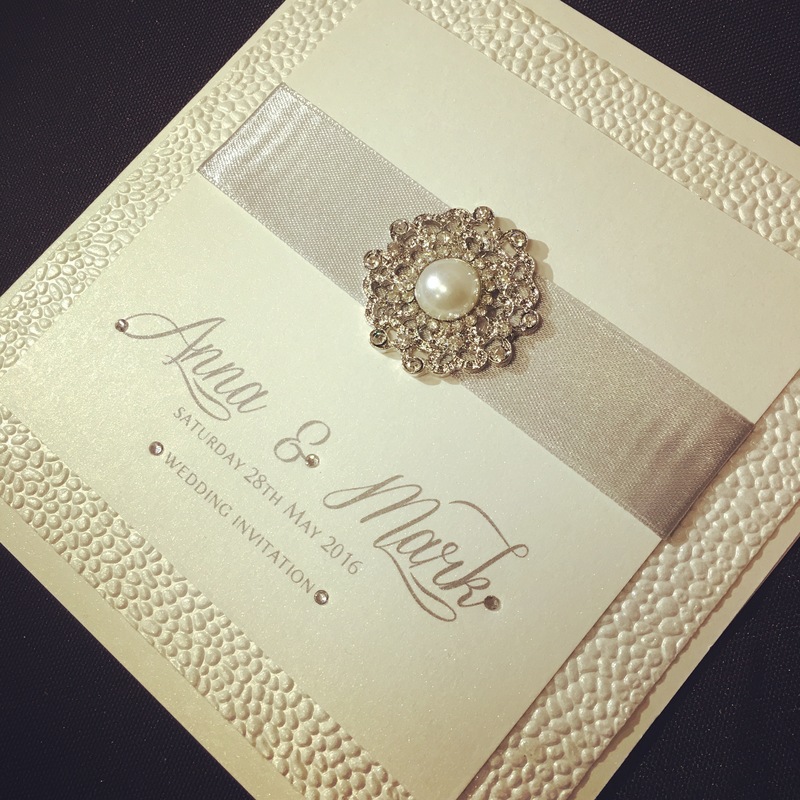 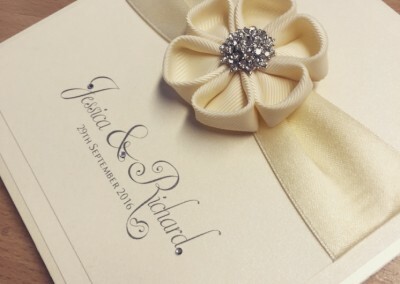 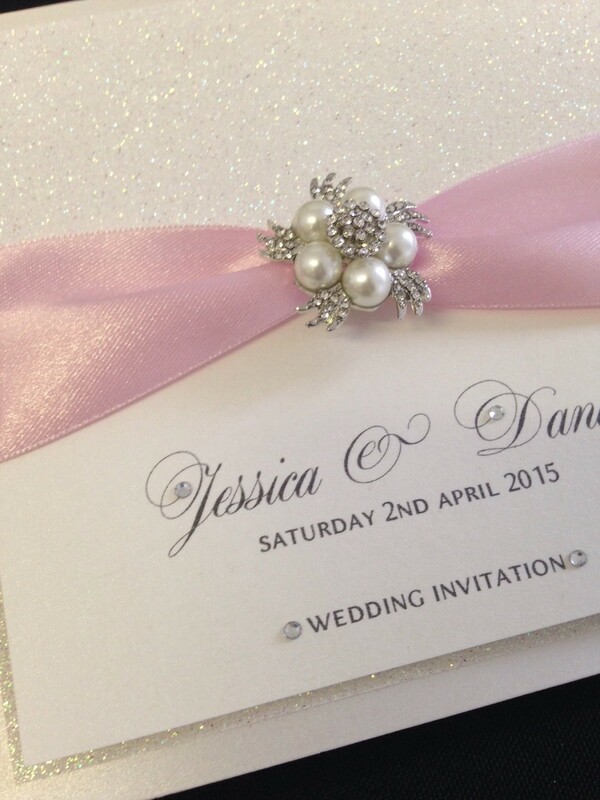 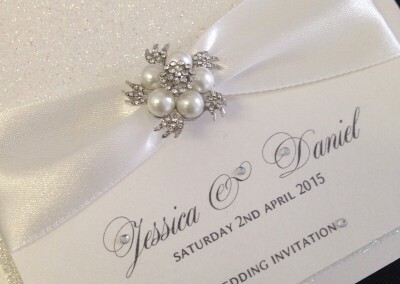 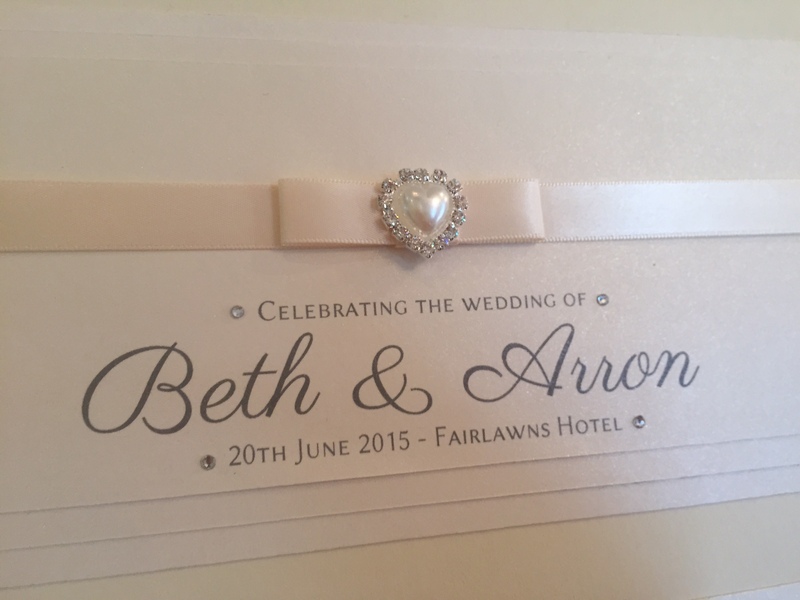 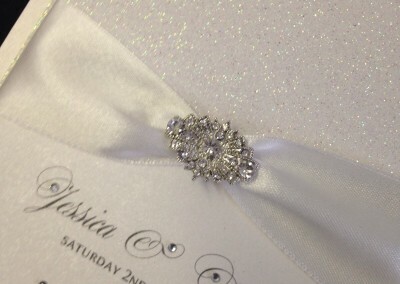 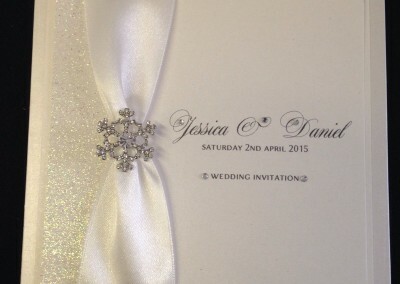 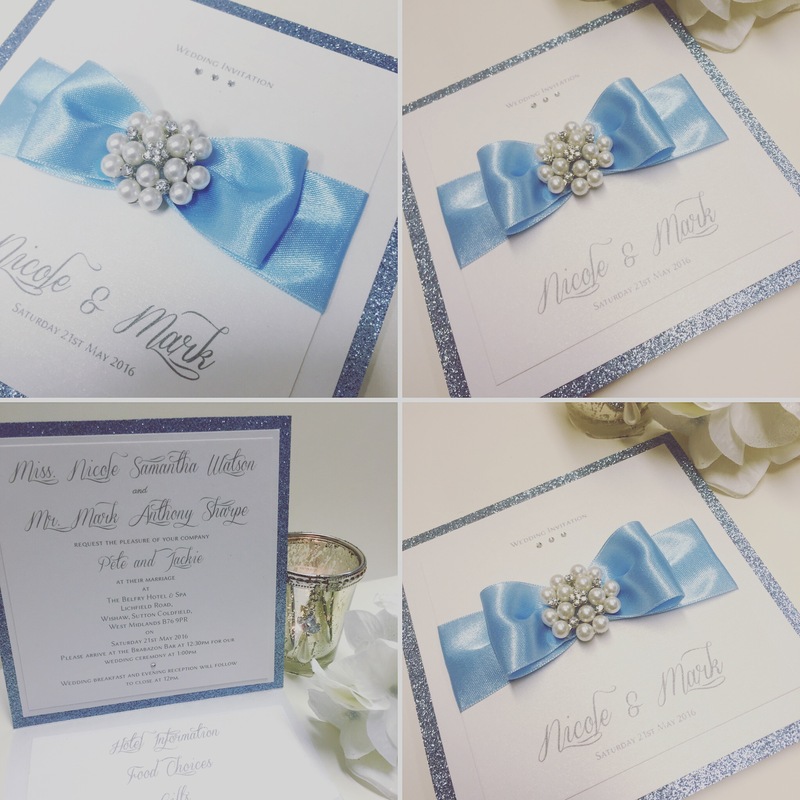 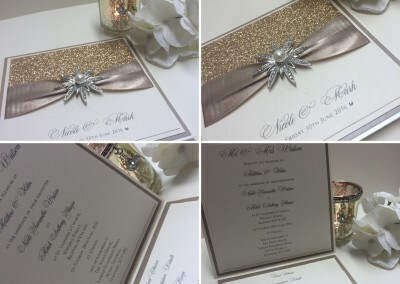 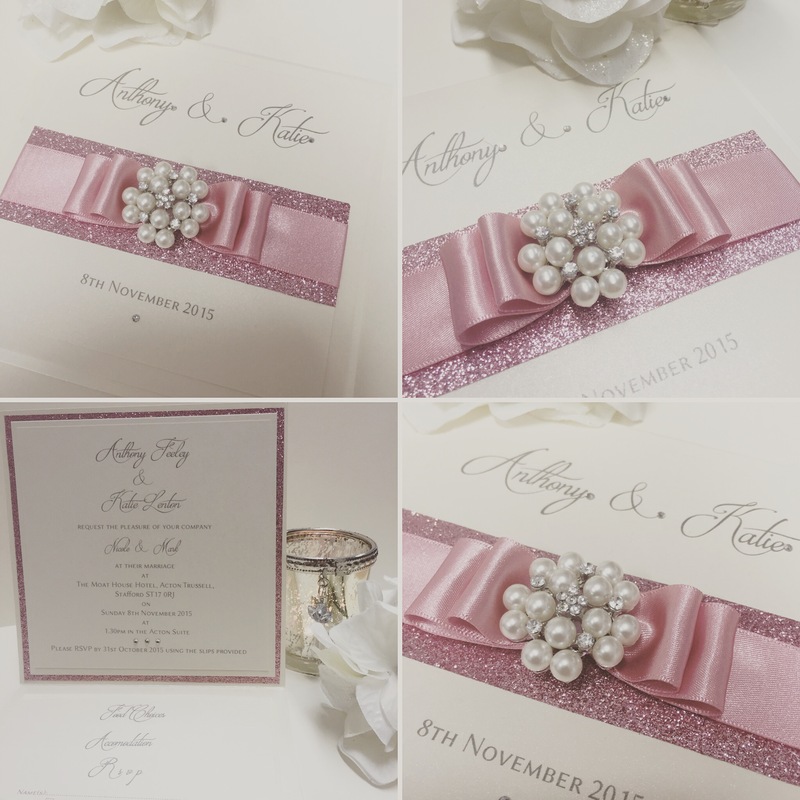 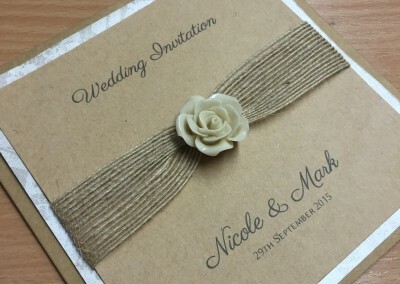 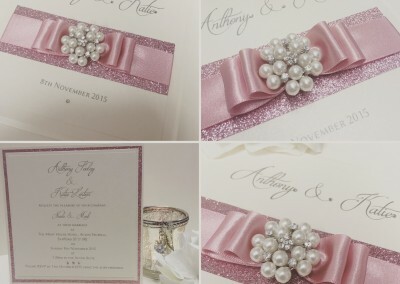 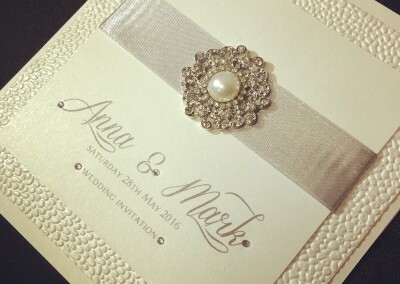 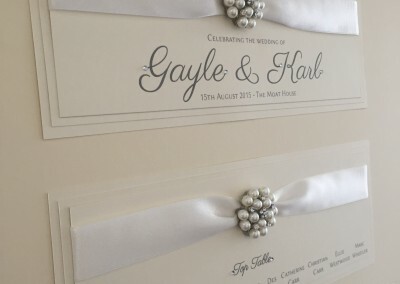 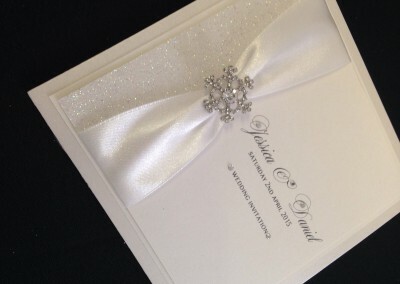 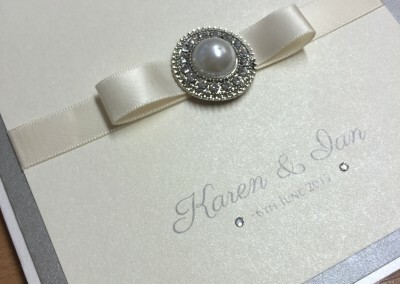 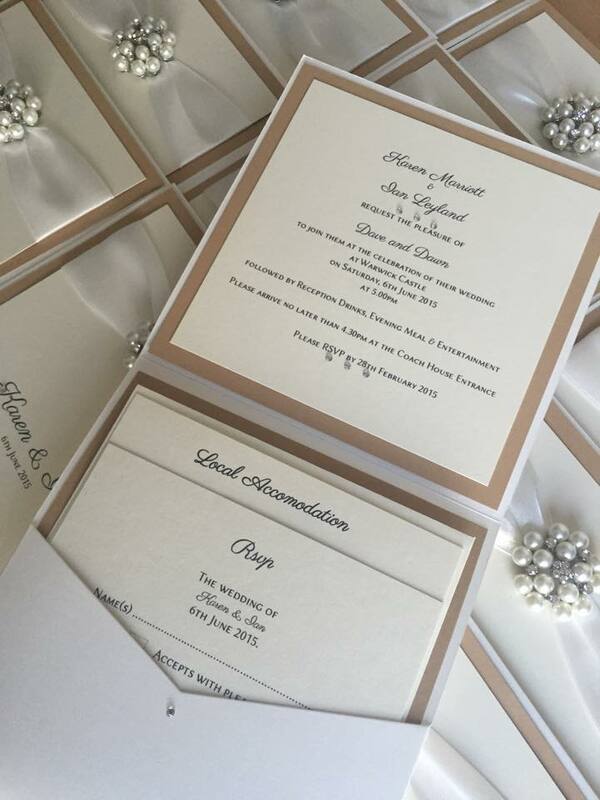 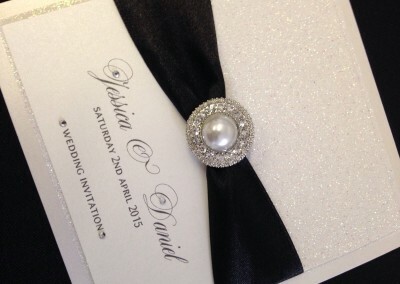 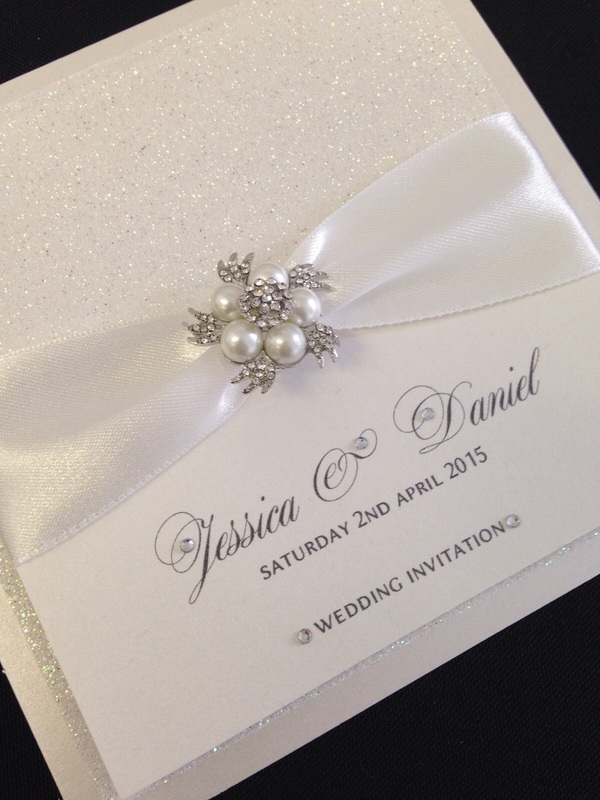 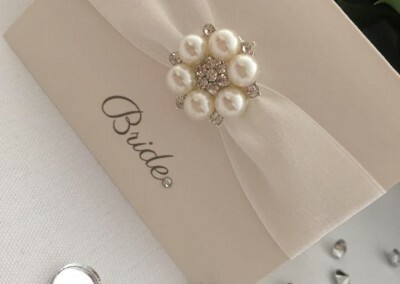 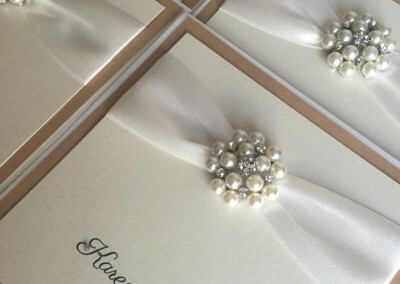 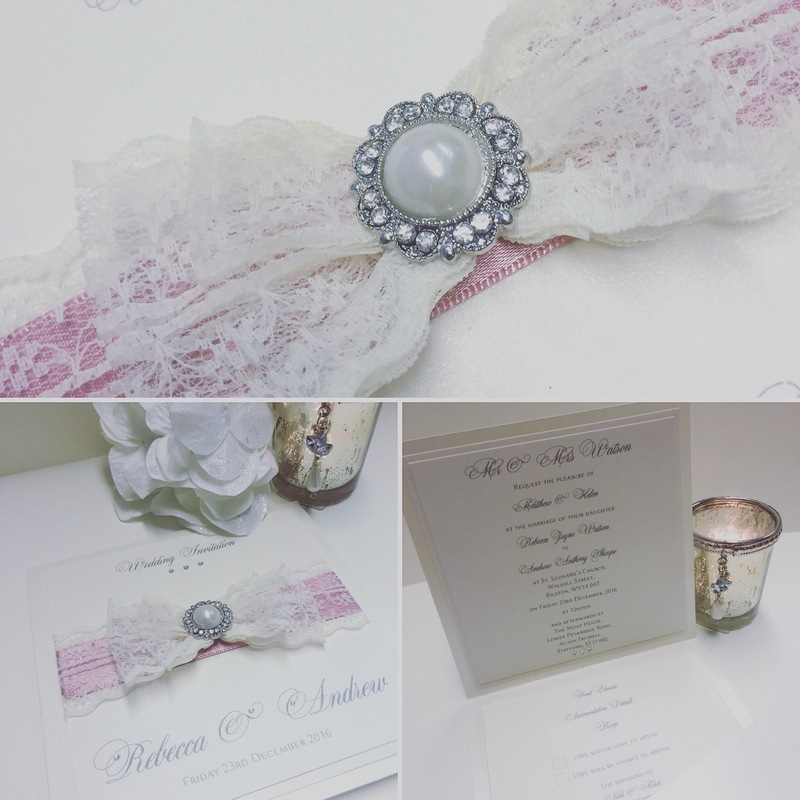 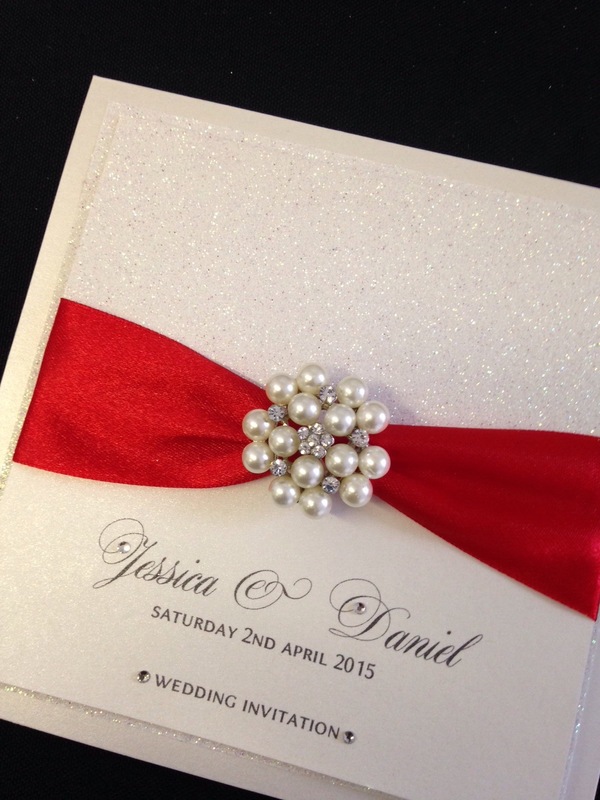 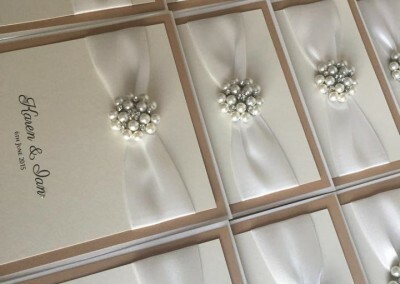 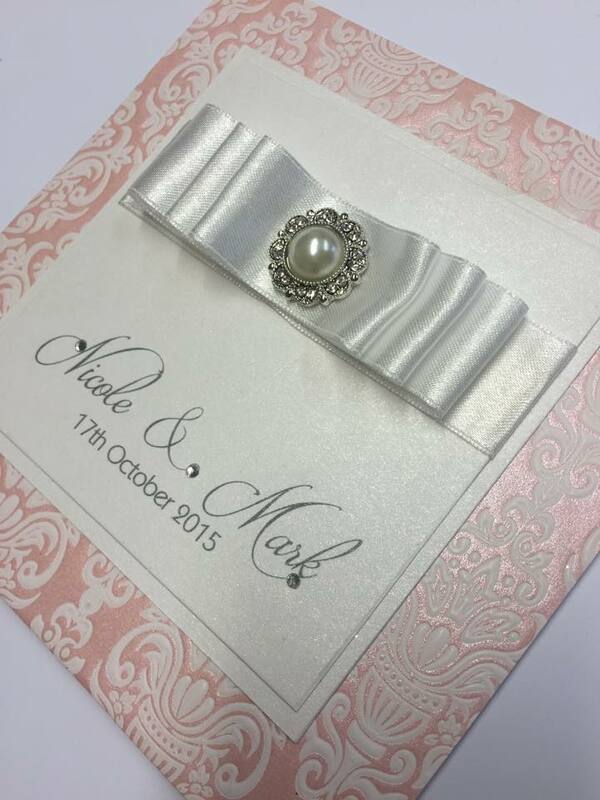 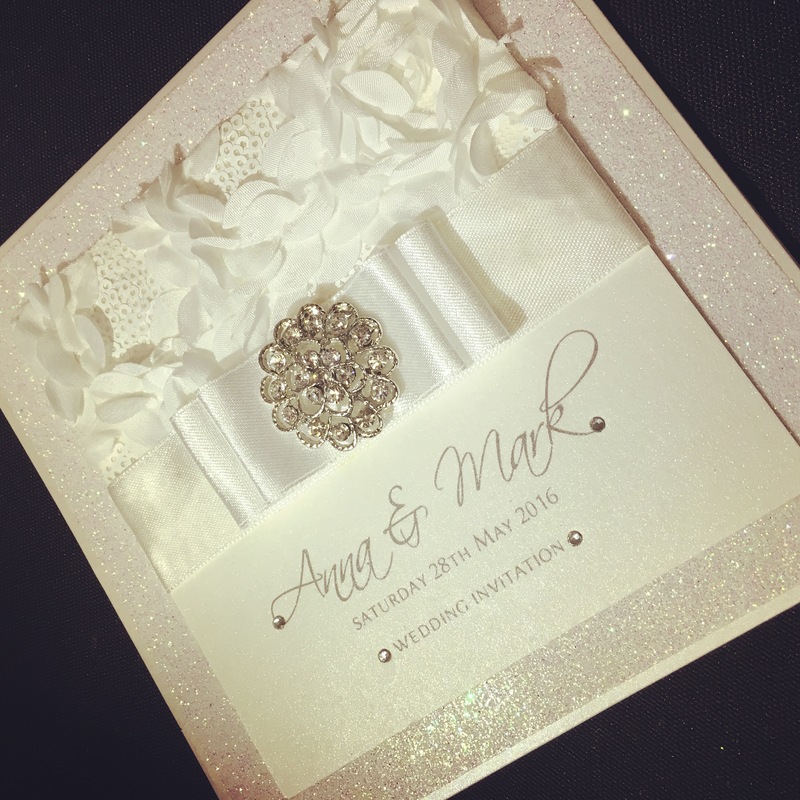 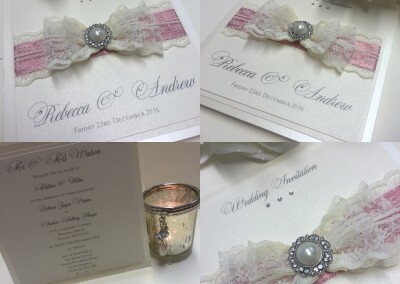 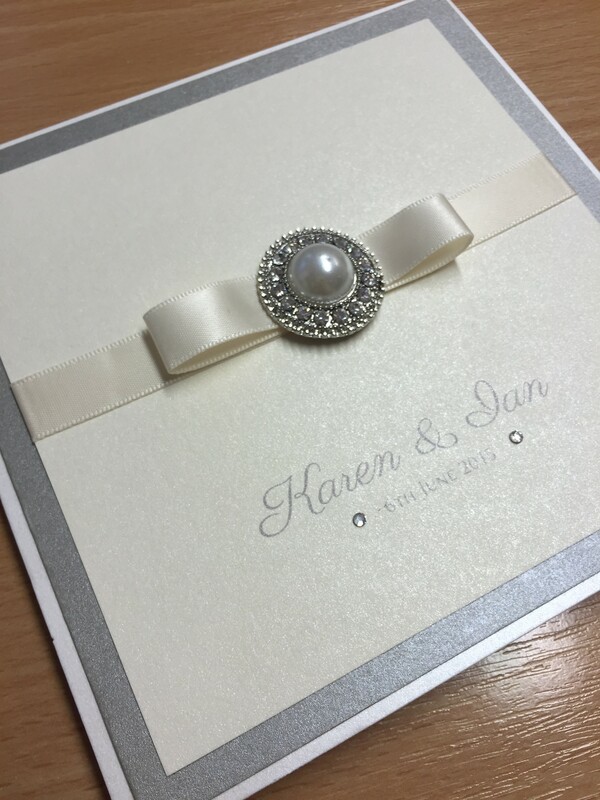 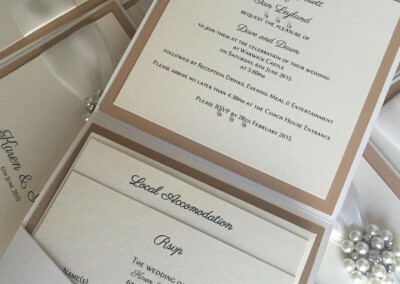 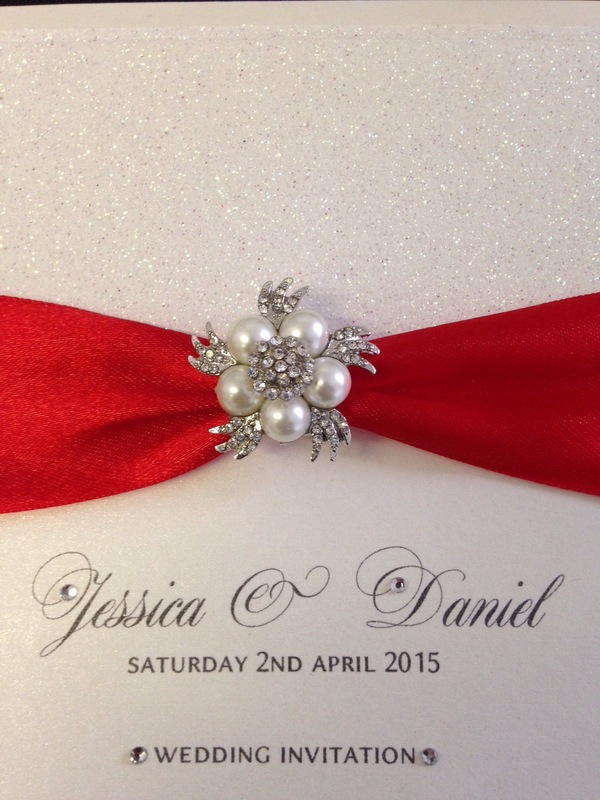 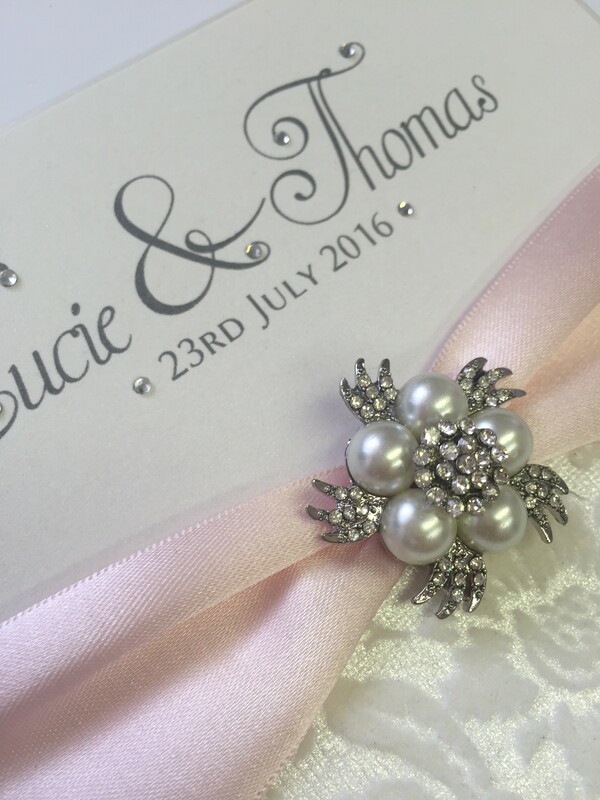 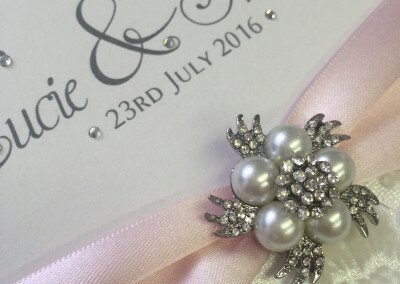 Using the very best materials our bespoke invitations are made with 300gsm Pearlised Cardstock. 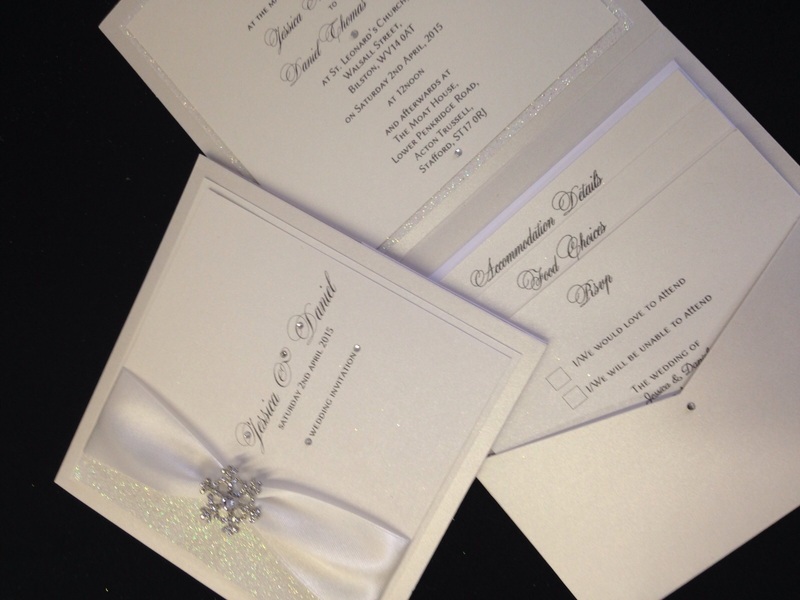 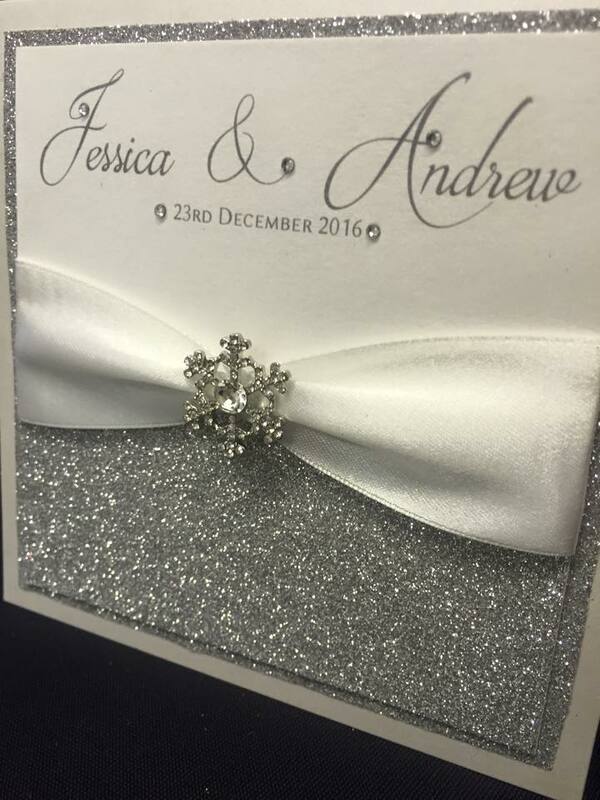 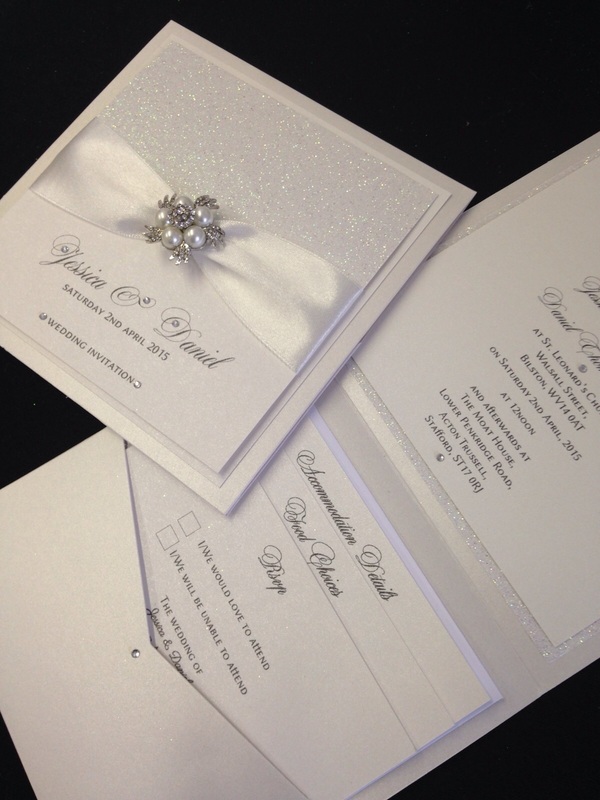 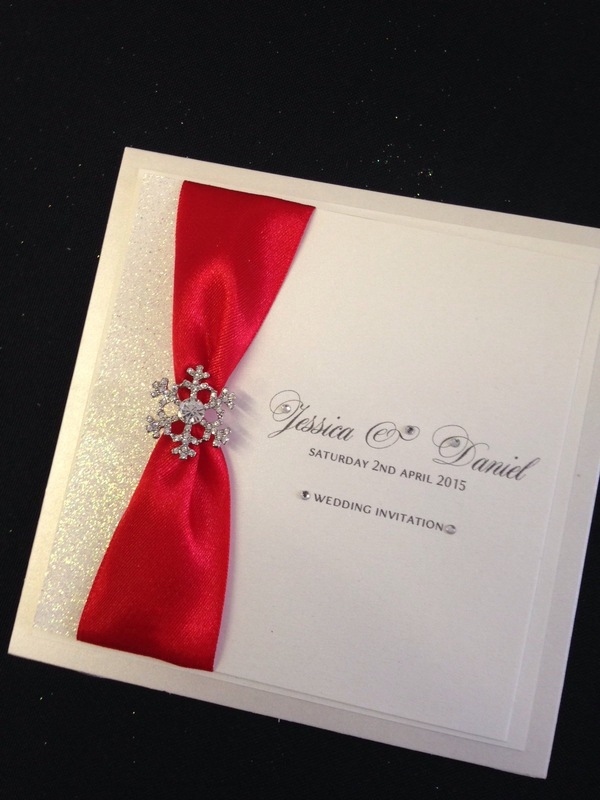 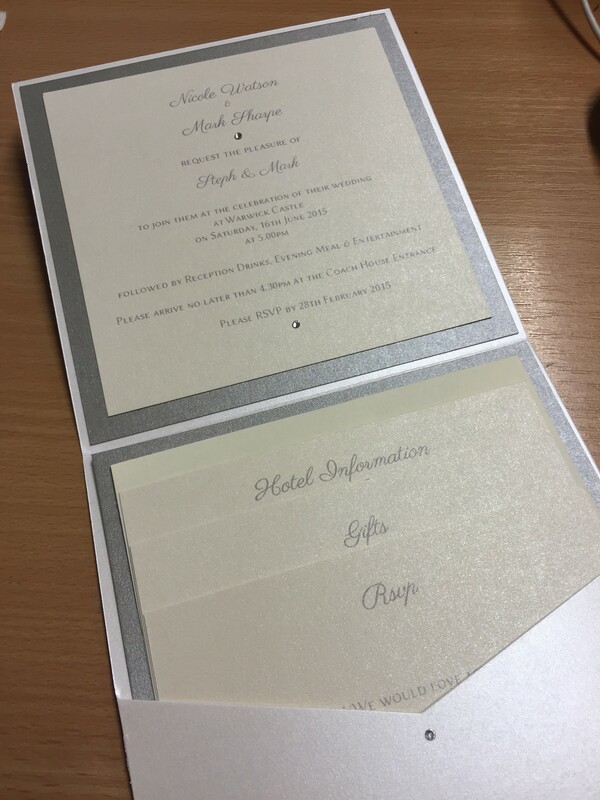 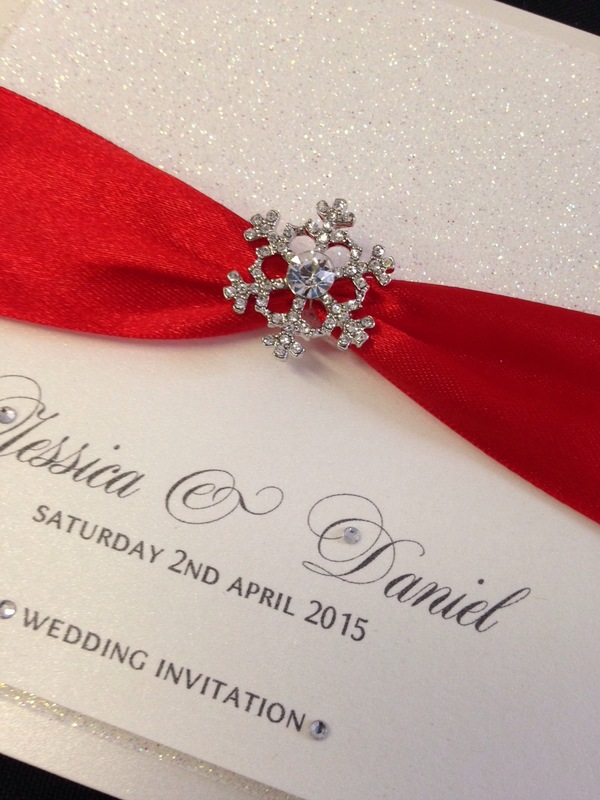 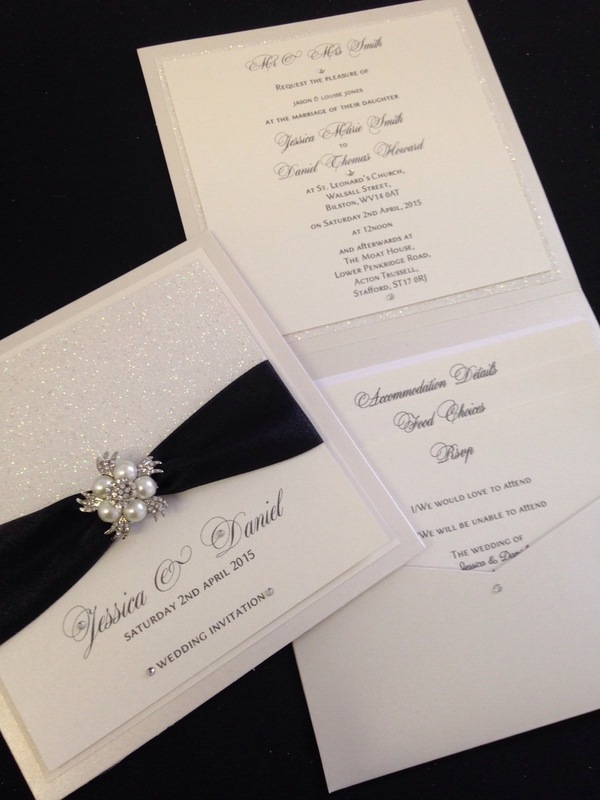 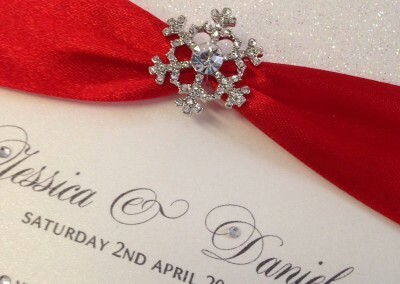 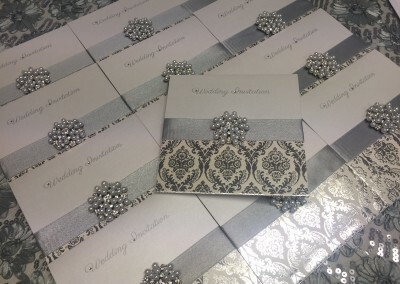 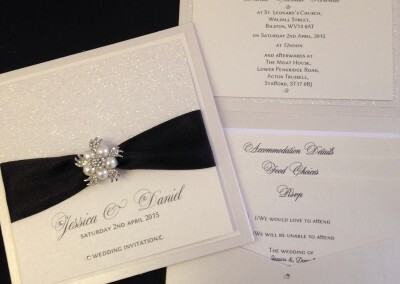 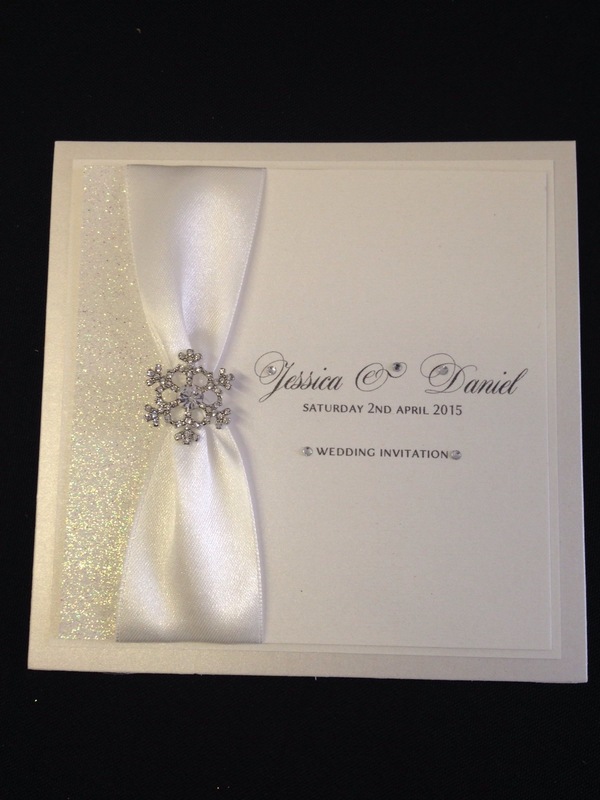 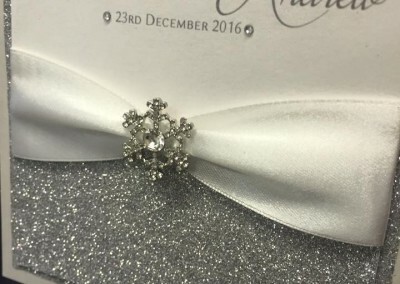 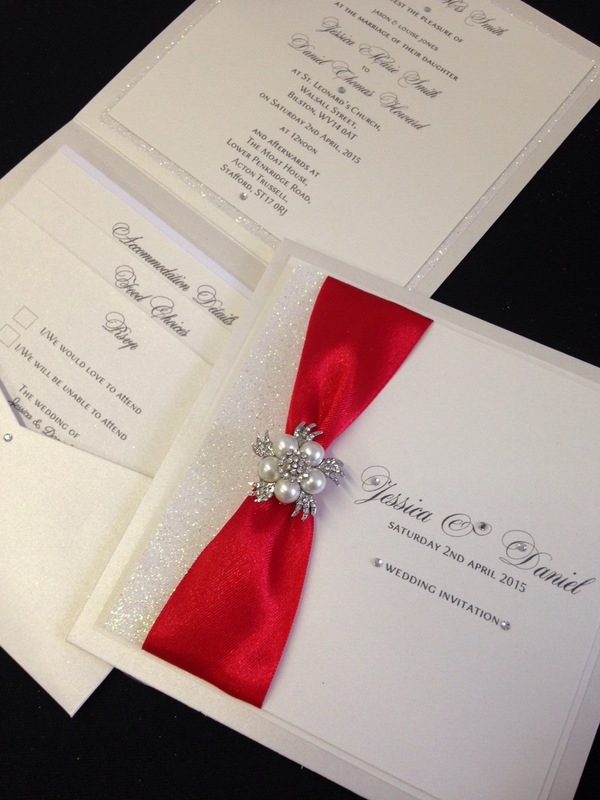 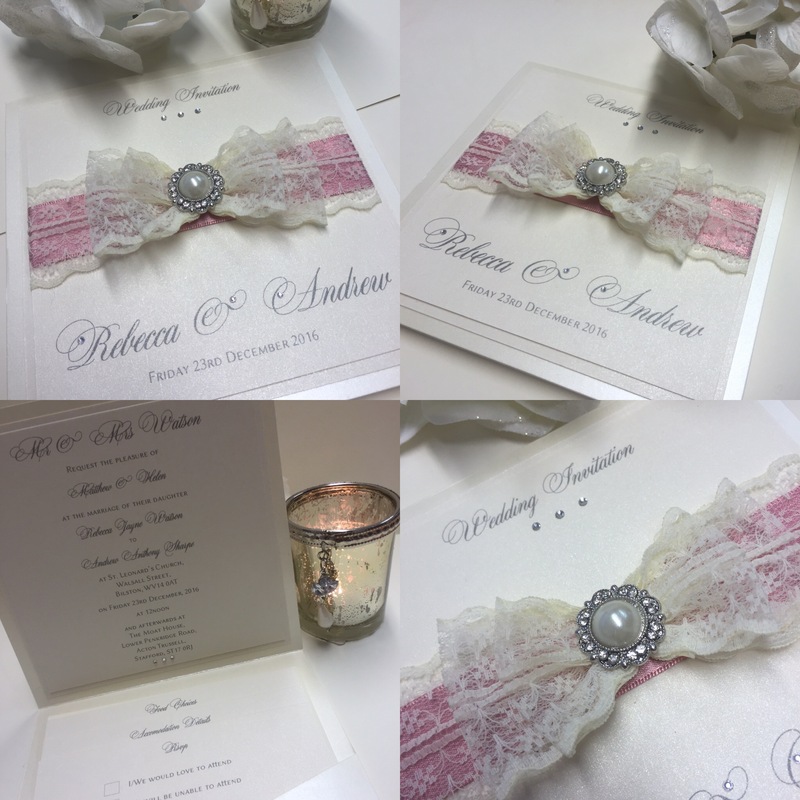 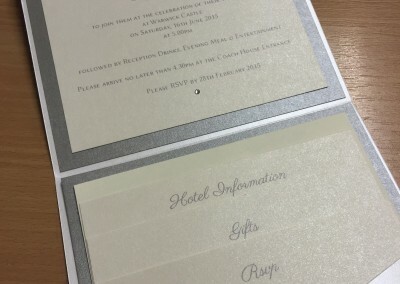 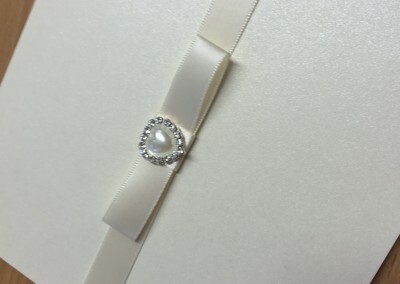 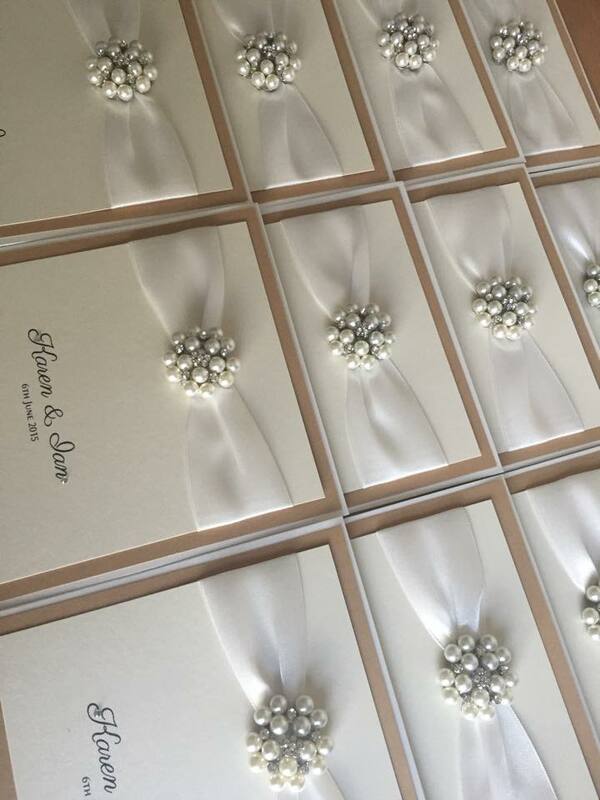 We have our own in house cutting and blinding machines meaning we can create your invitations to your requirements. 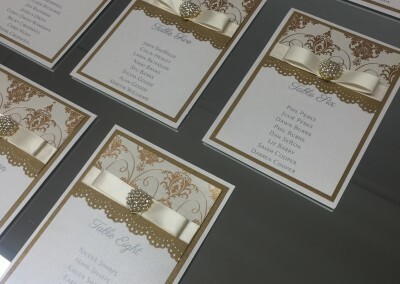 Click through the gallery to see some examples of our recent work. 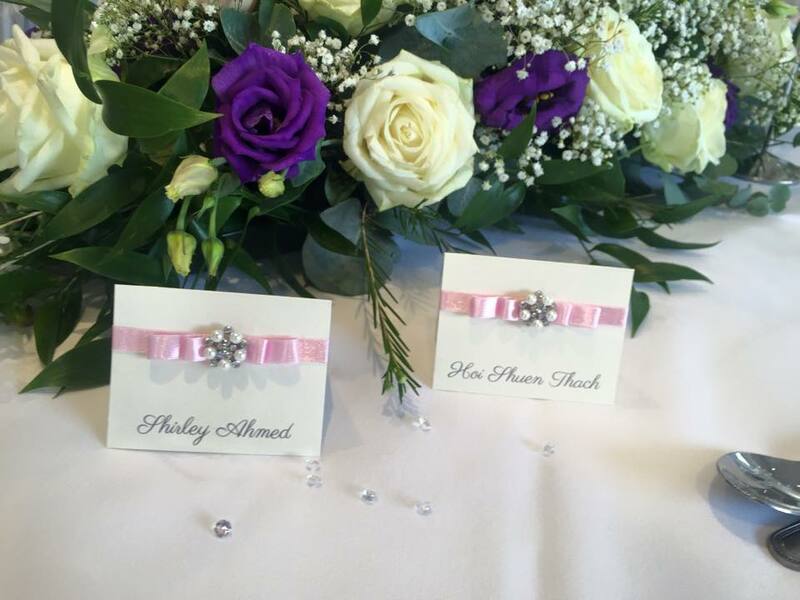 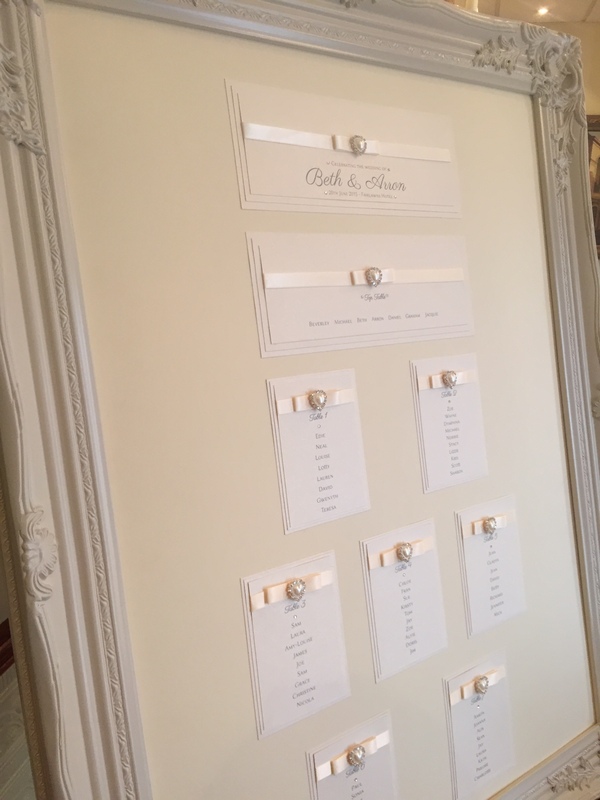 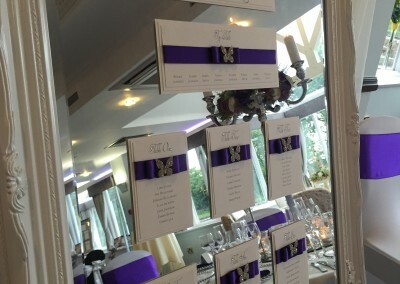 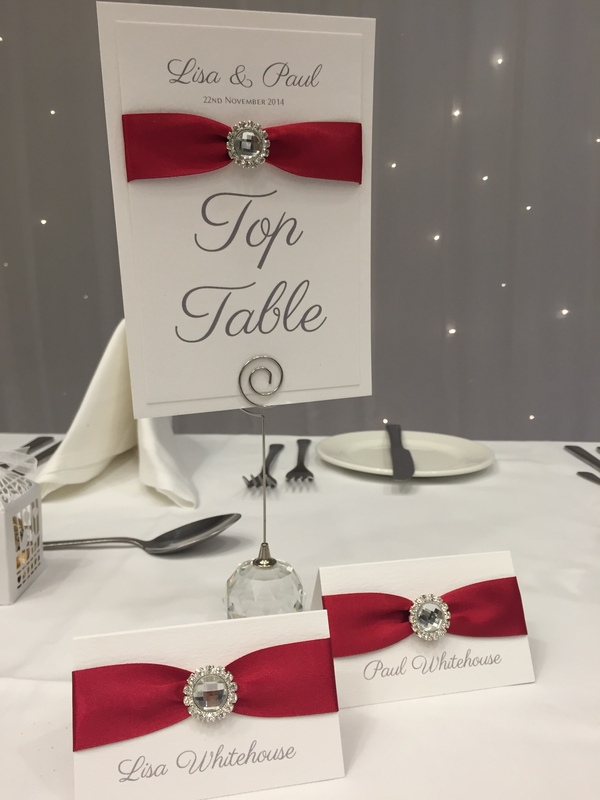 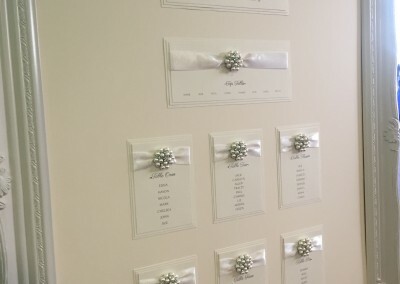 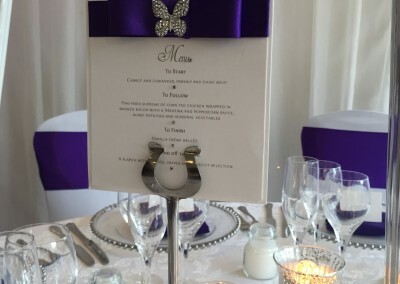 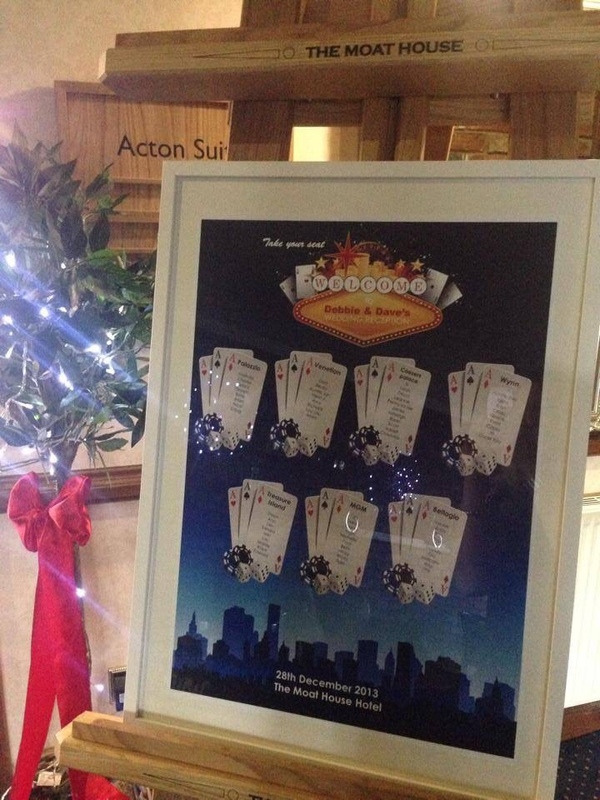 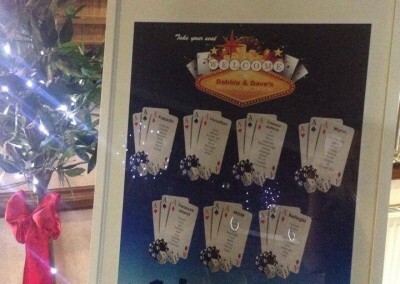 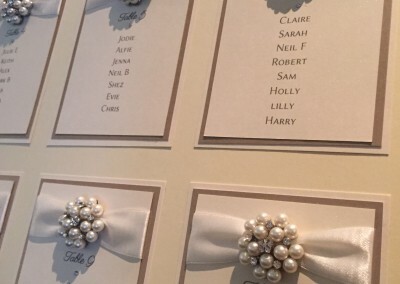 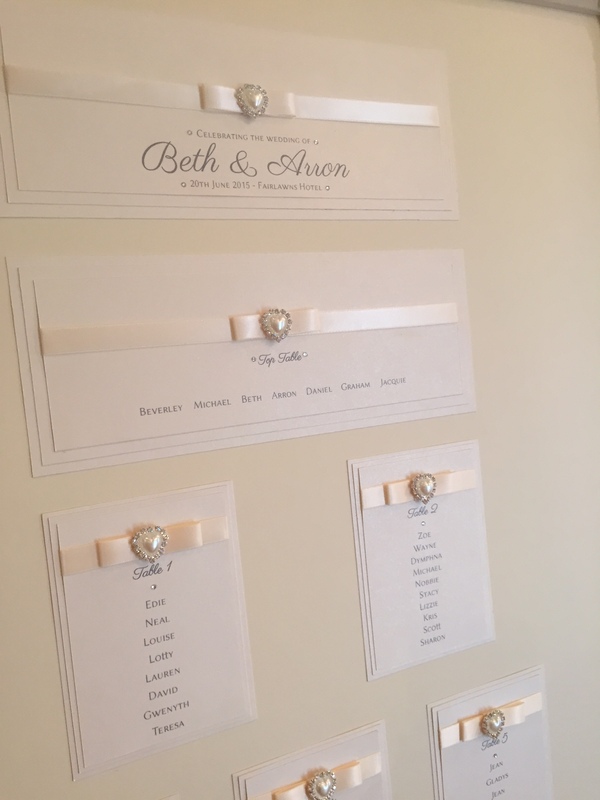 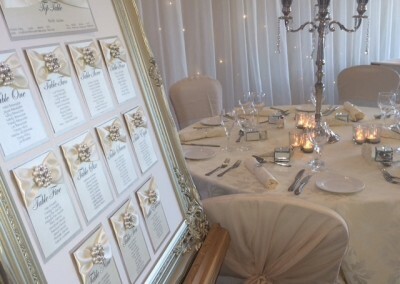 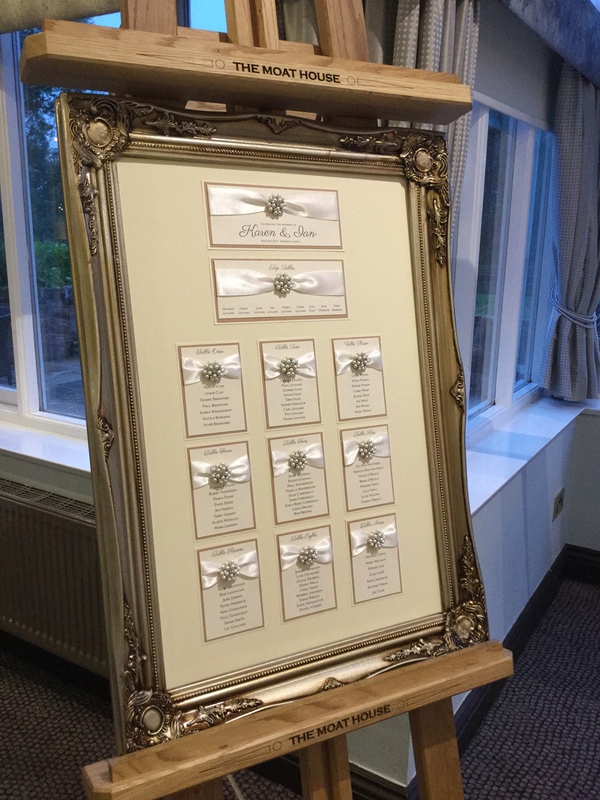 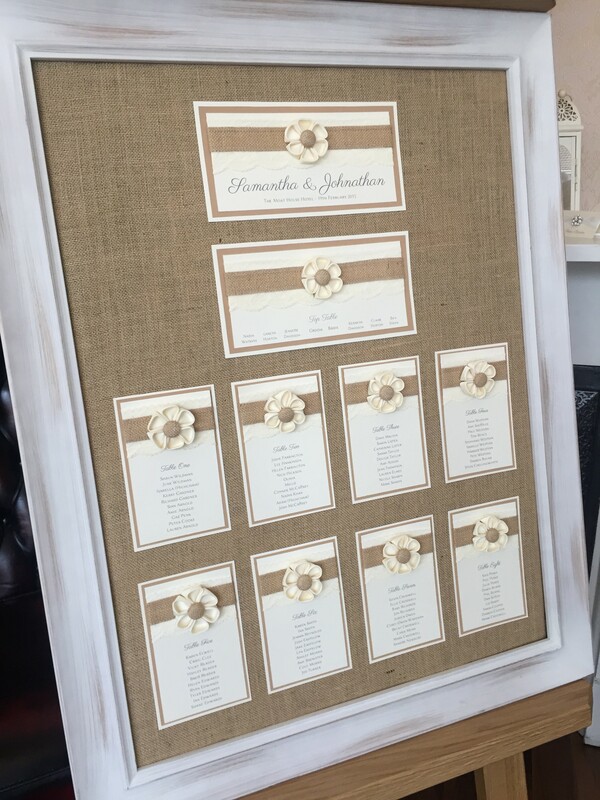 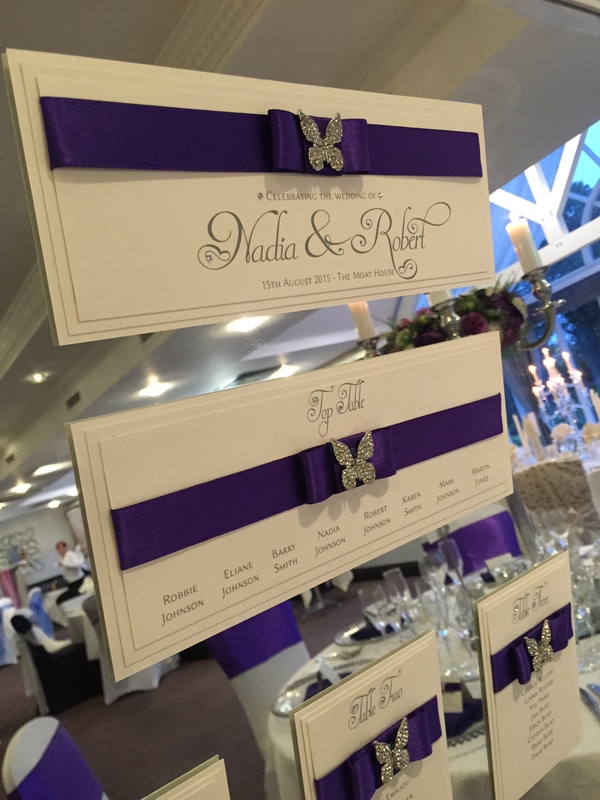 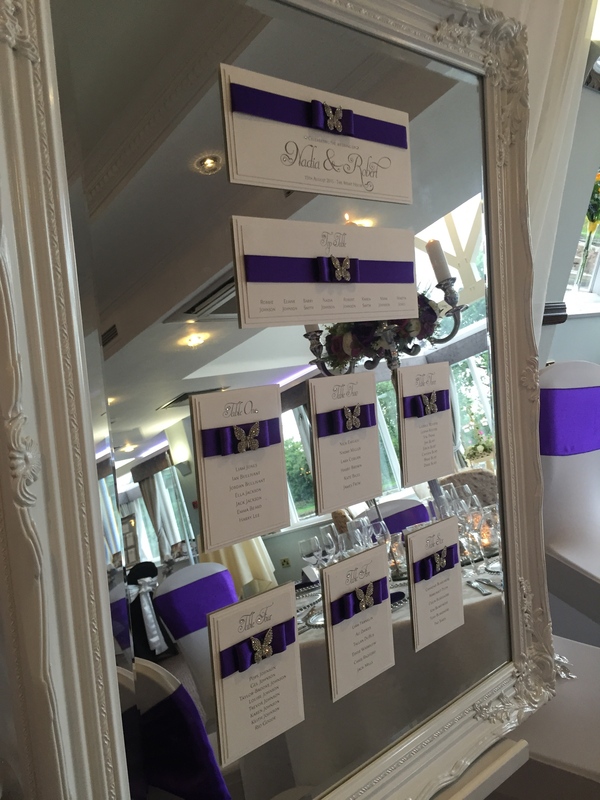 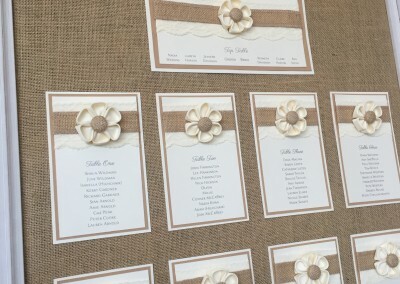 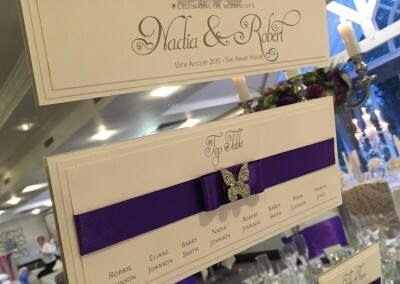 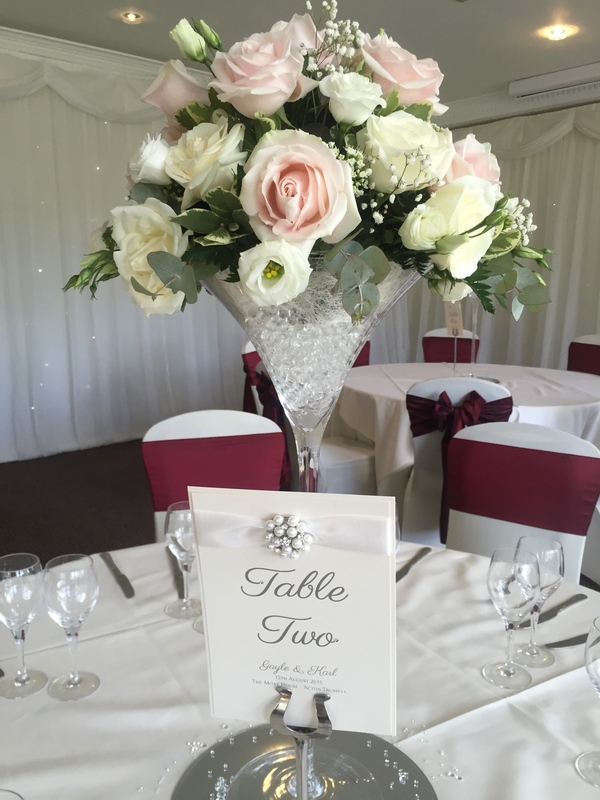 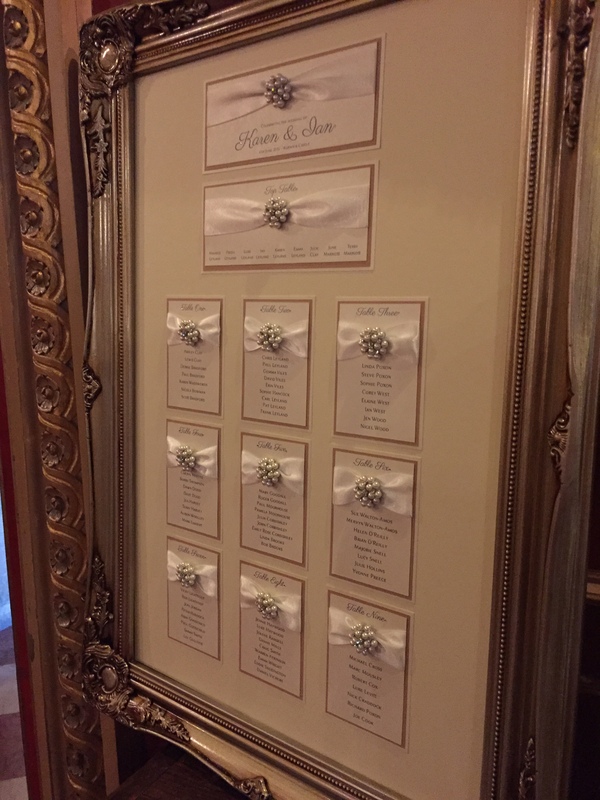 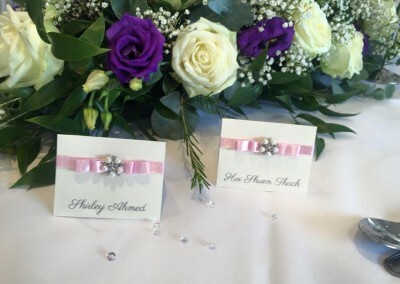 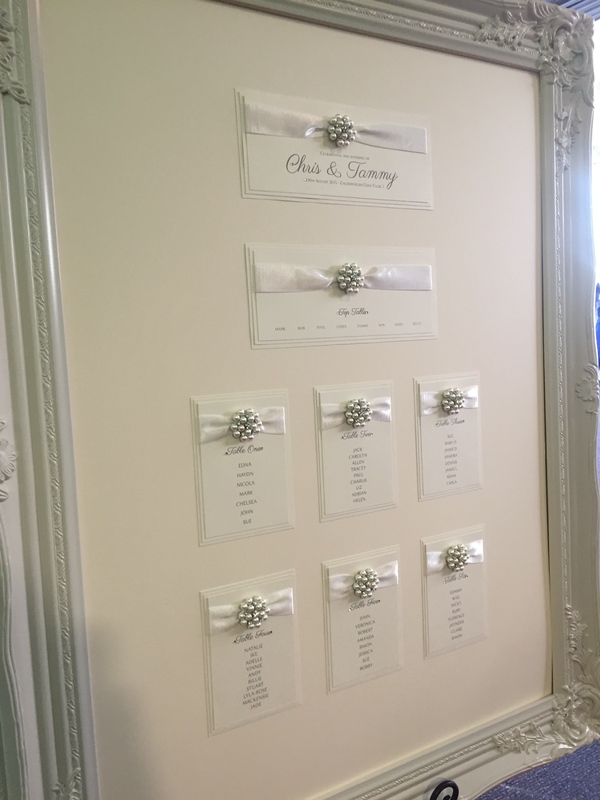 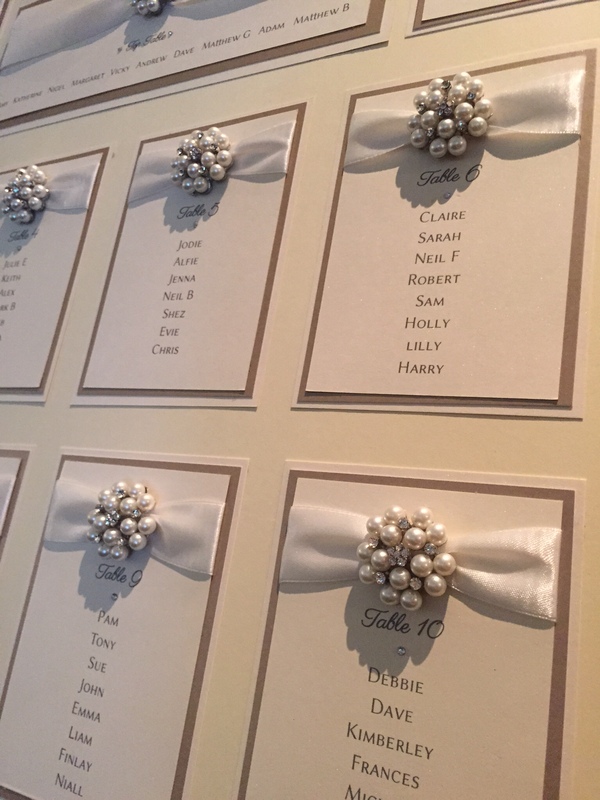 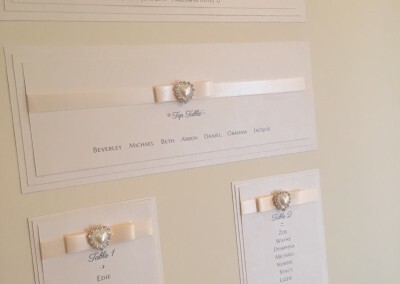 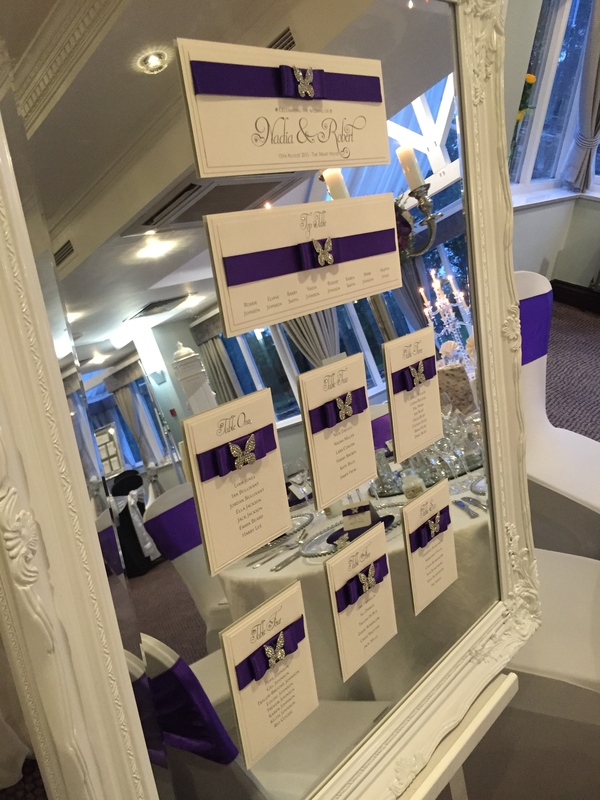 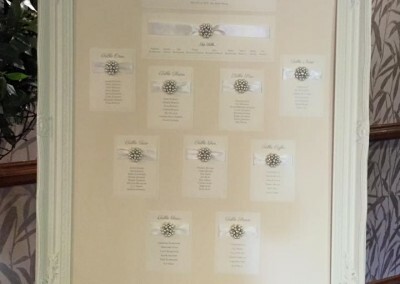 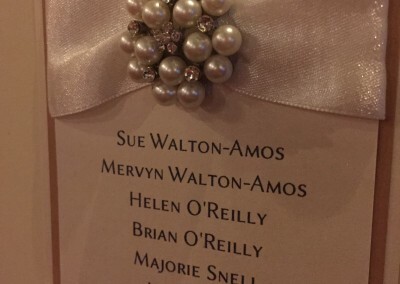 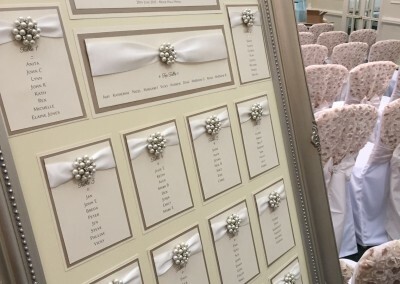 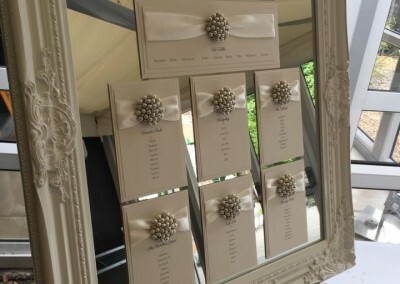 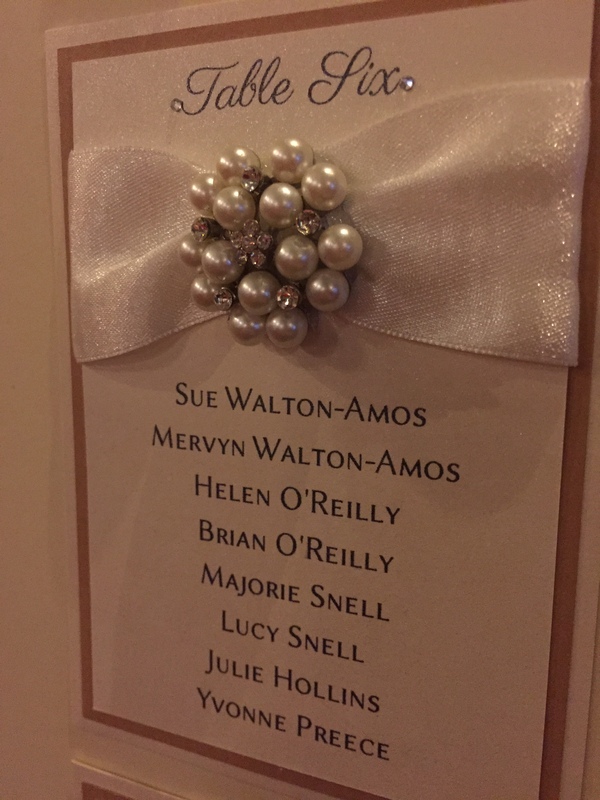 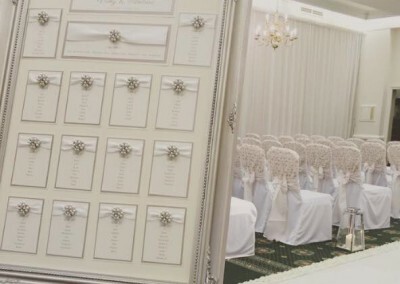 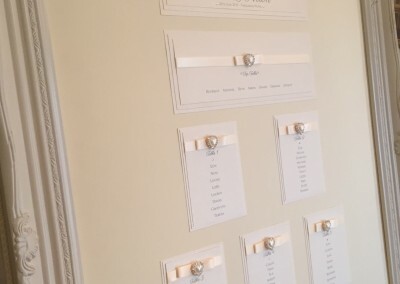 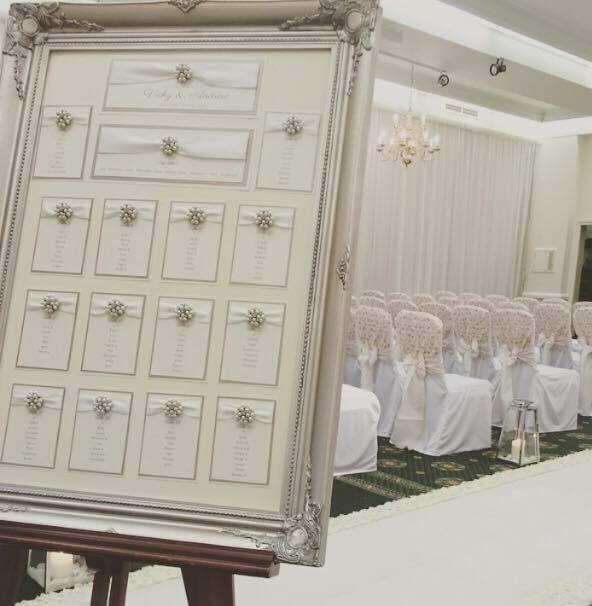 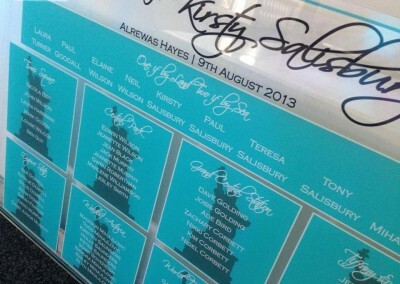 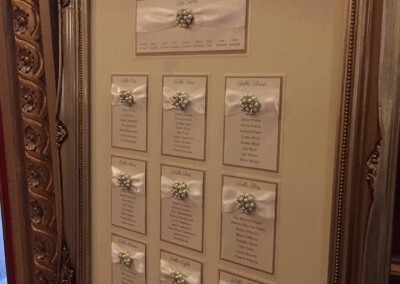 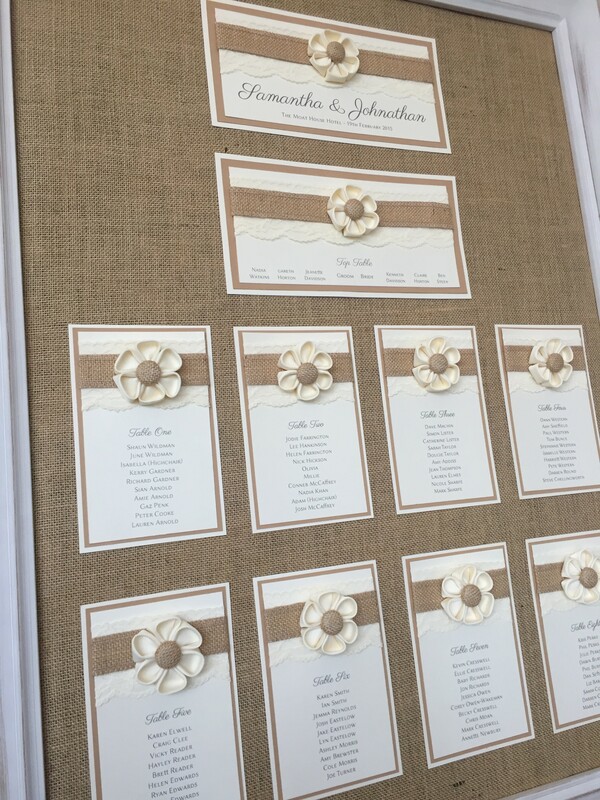 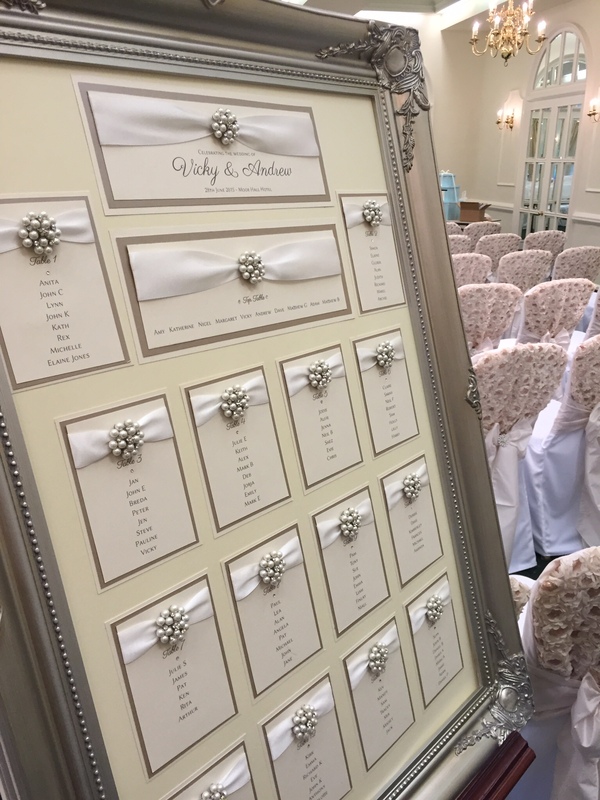 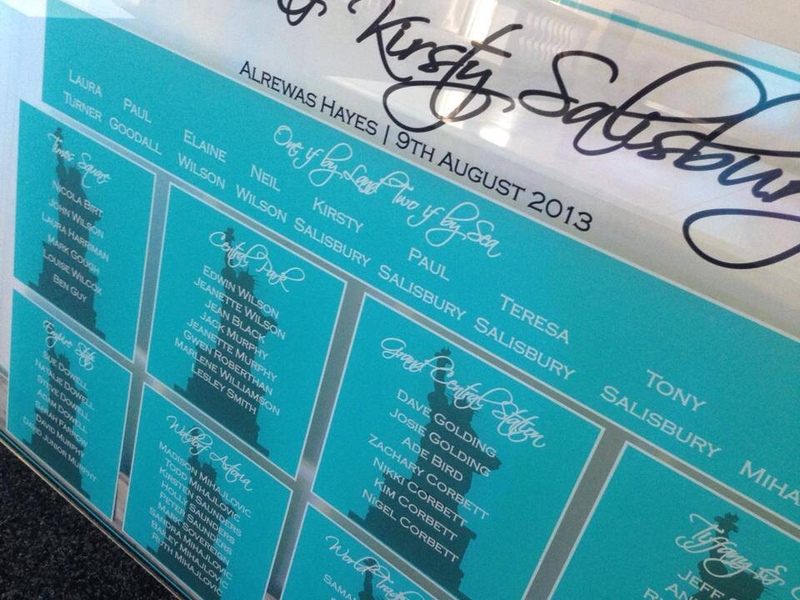 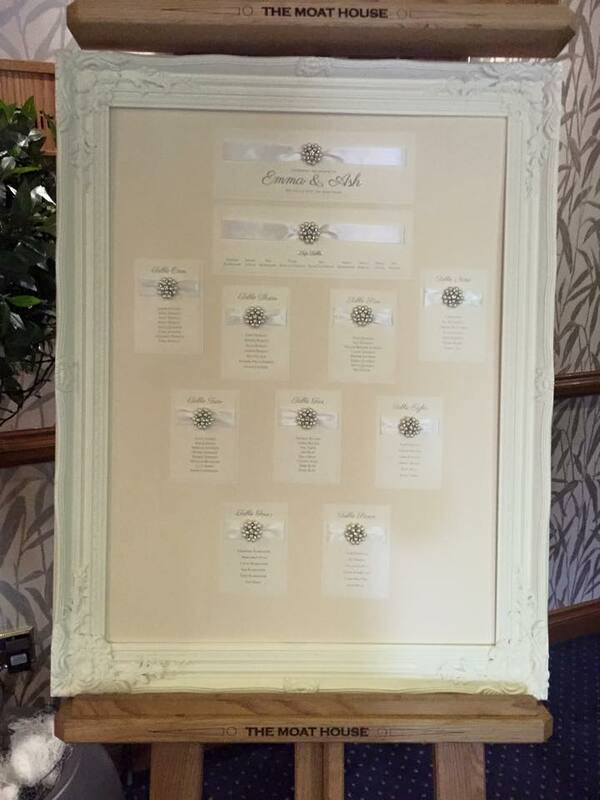 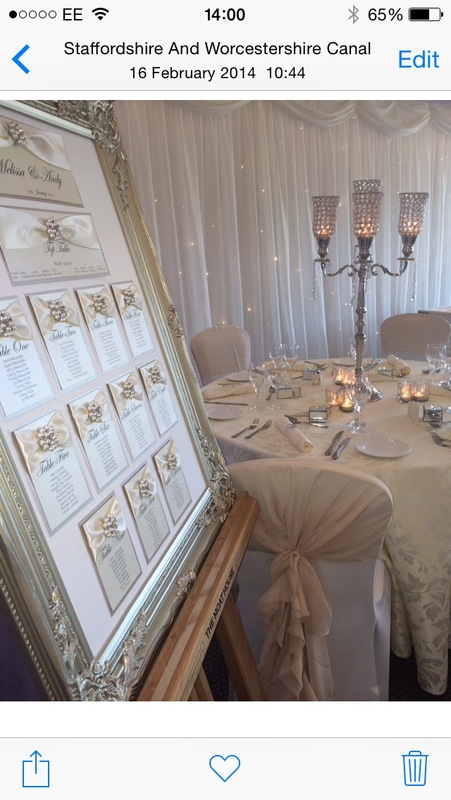 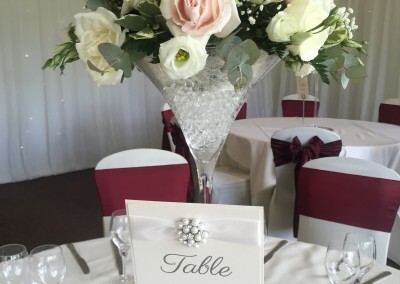 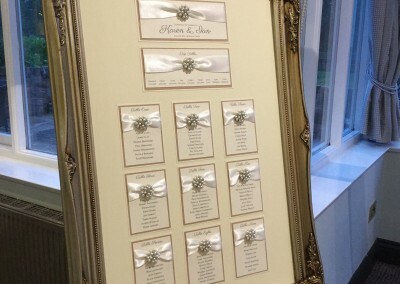 Using our featured frames we are able to help you create a beautiful table plan. 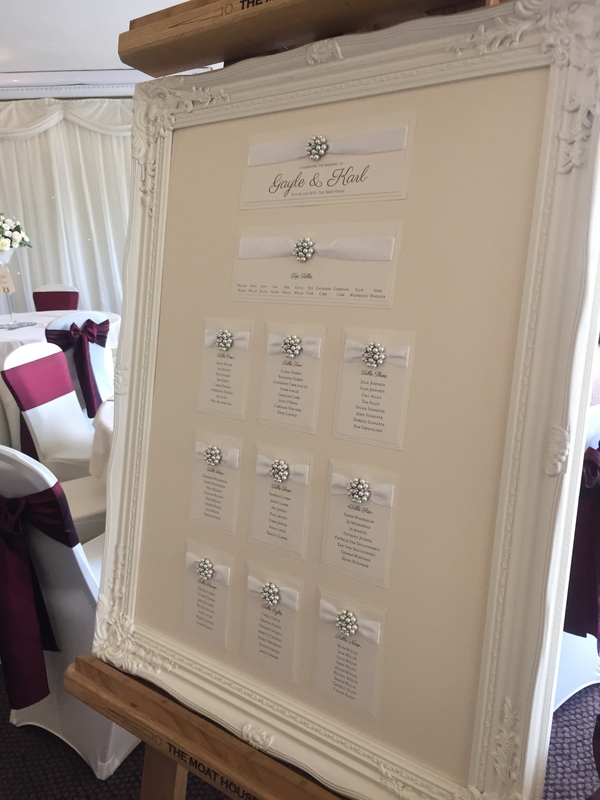 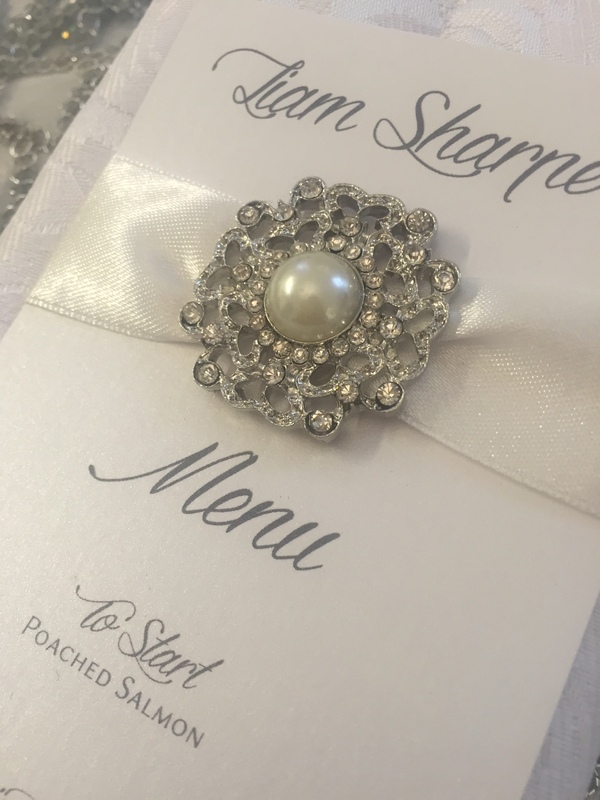 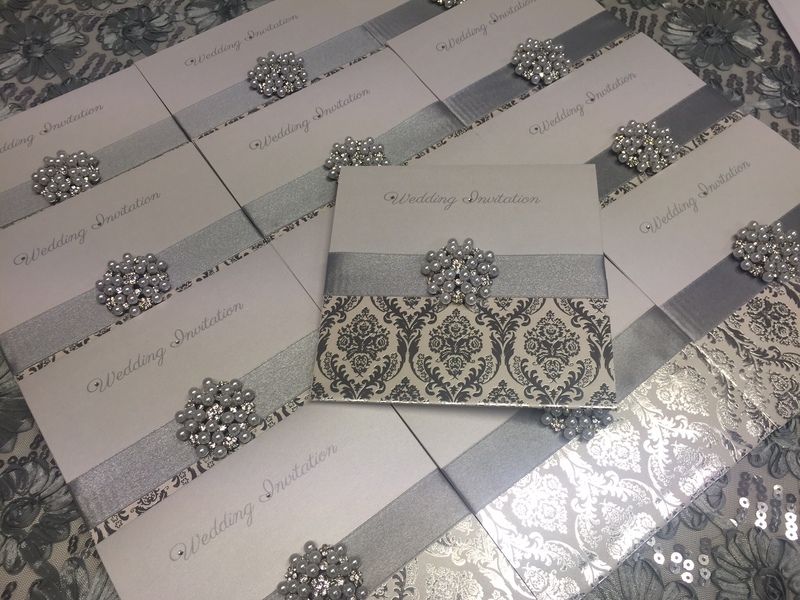 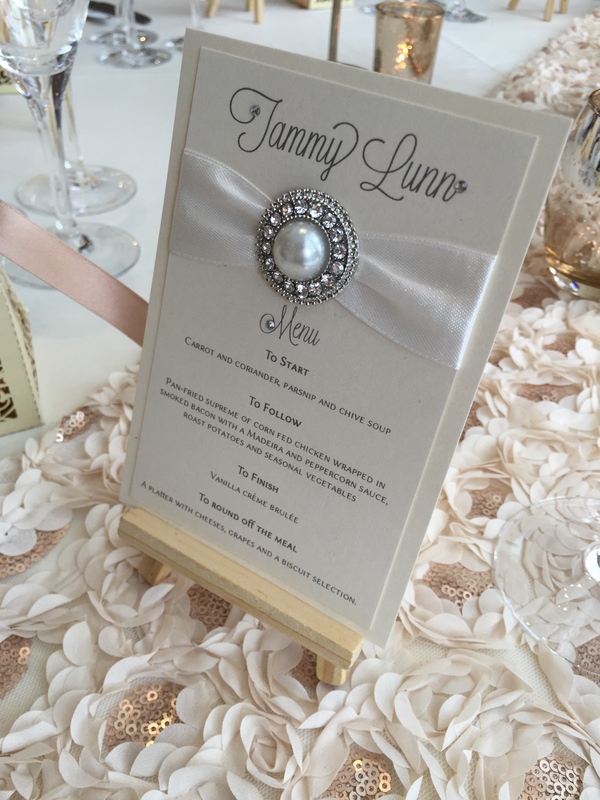 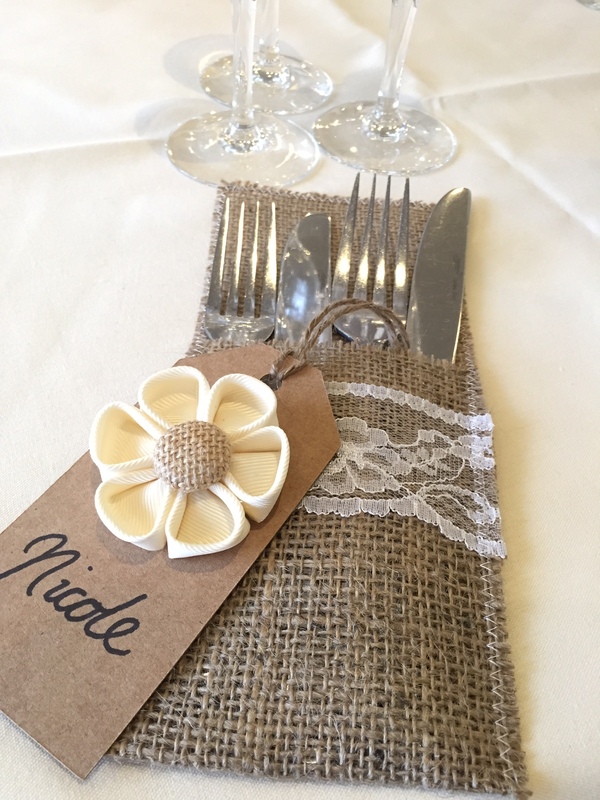 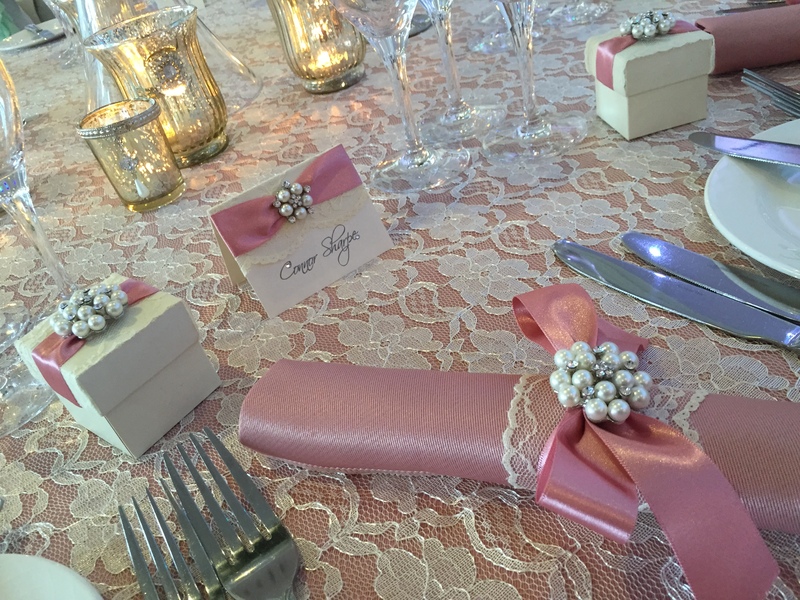 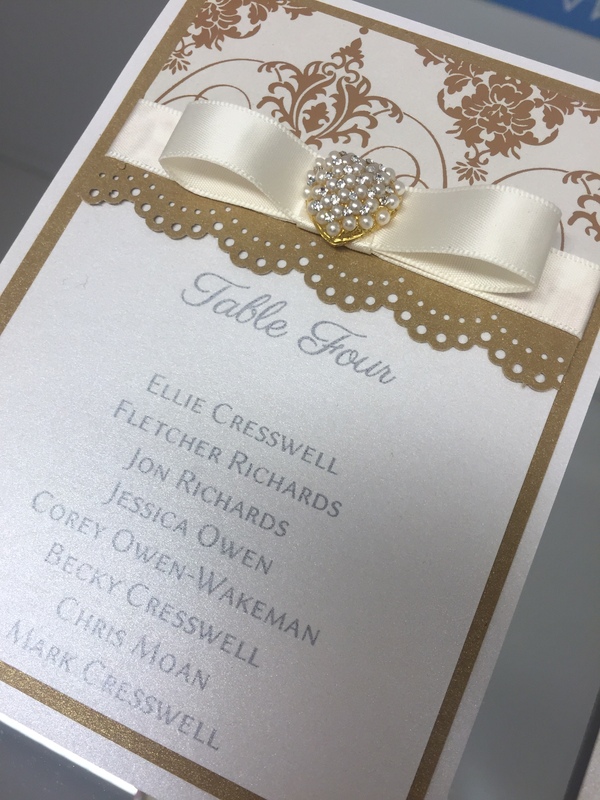 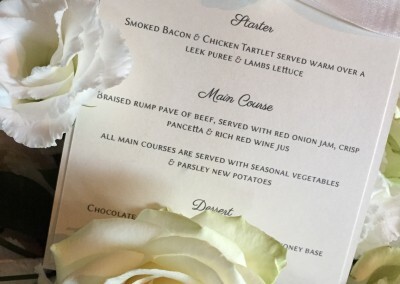 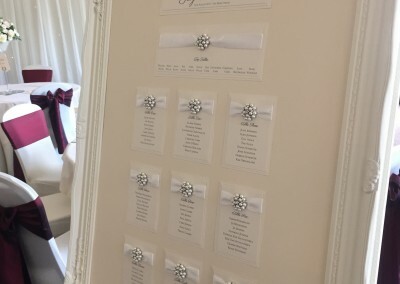 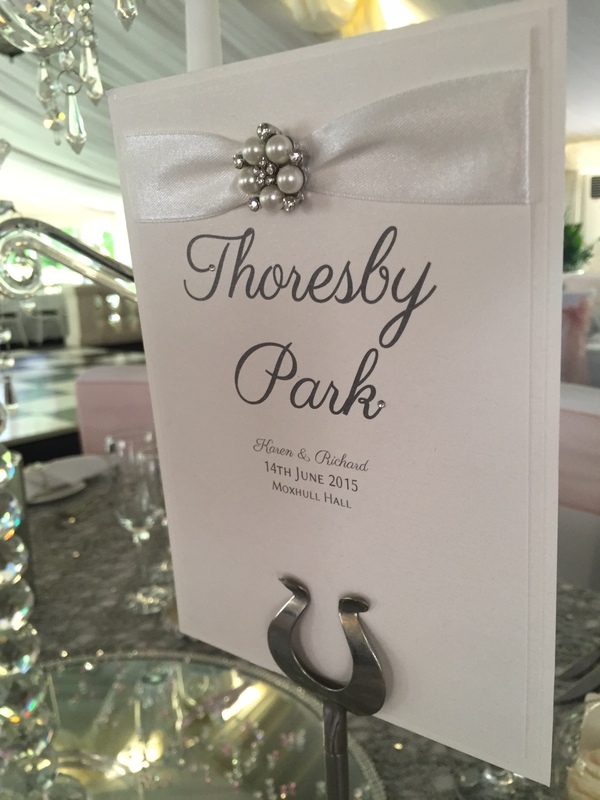 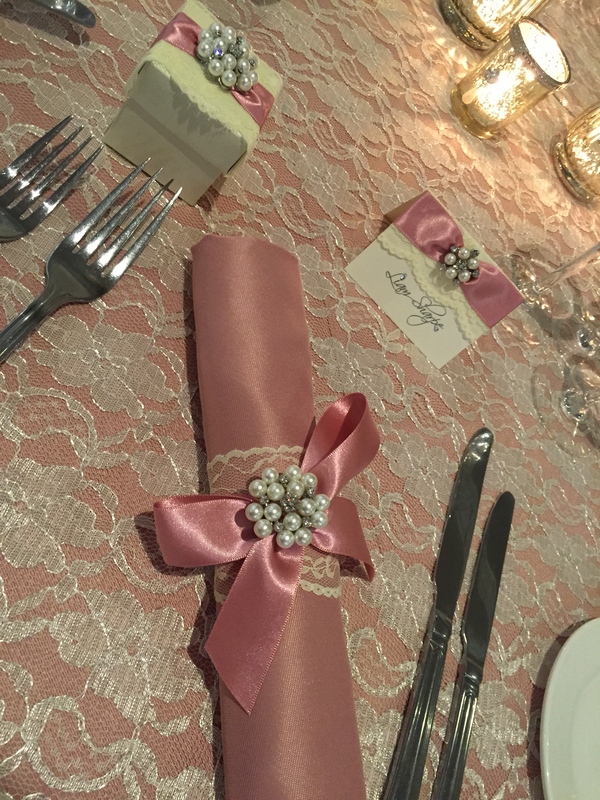 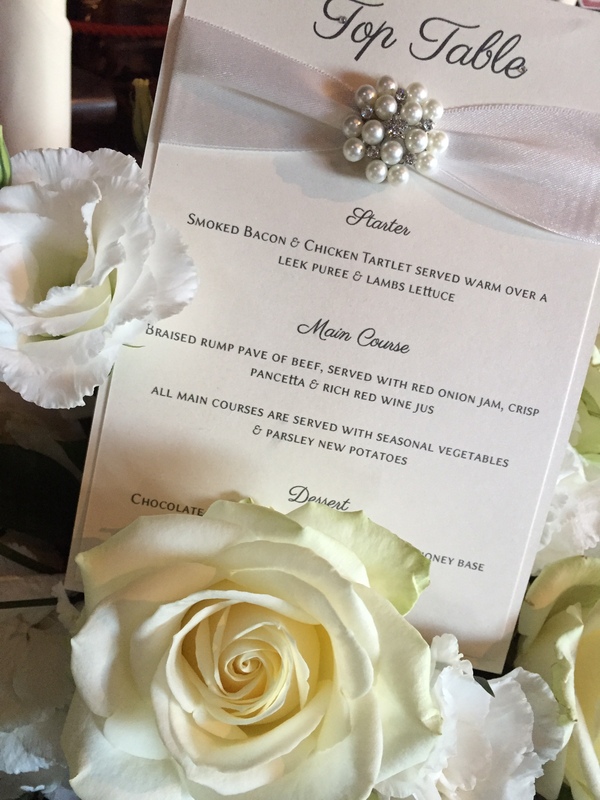 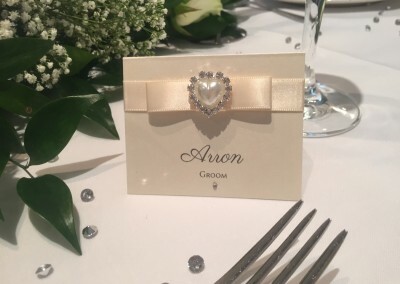 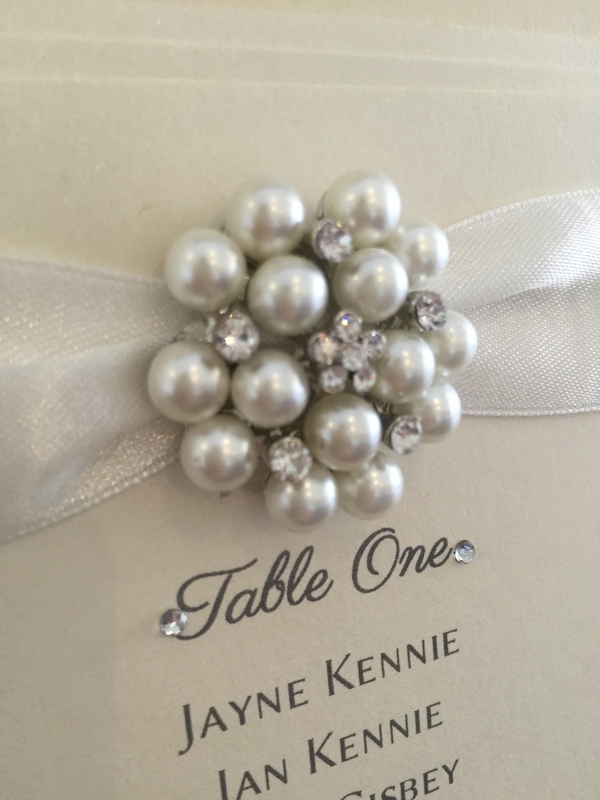 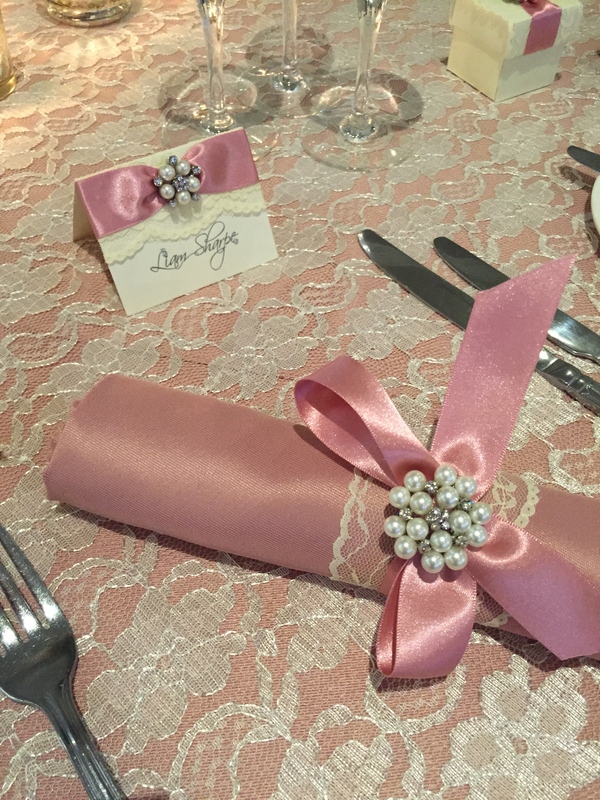 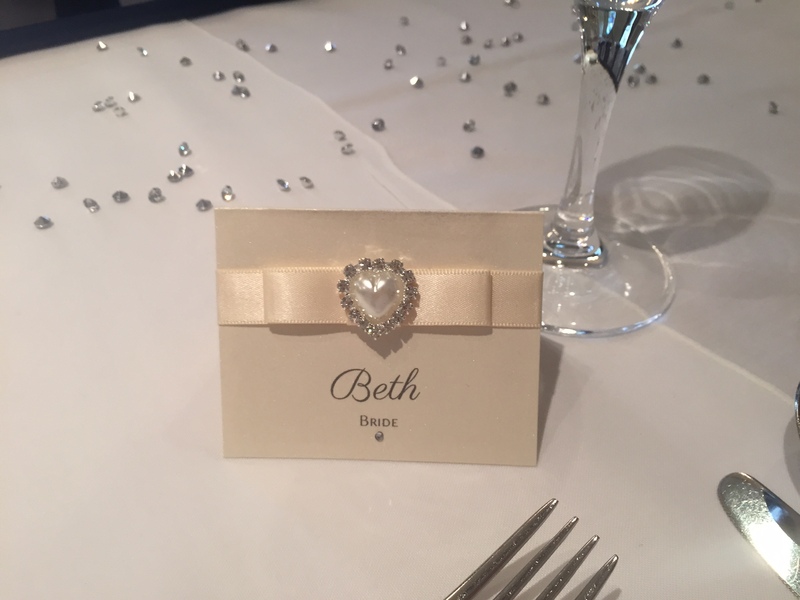 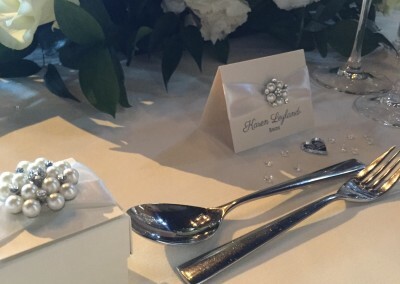 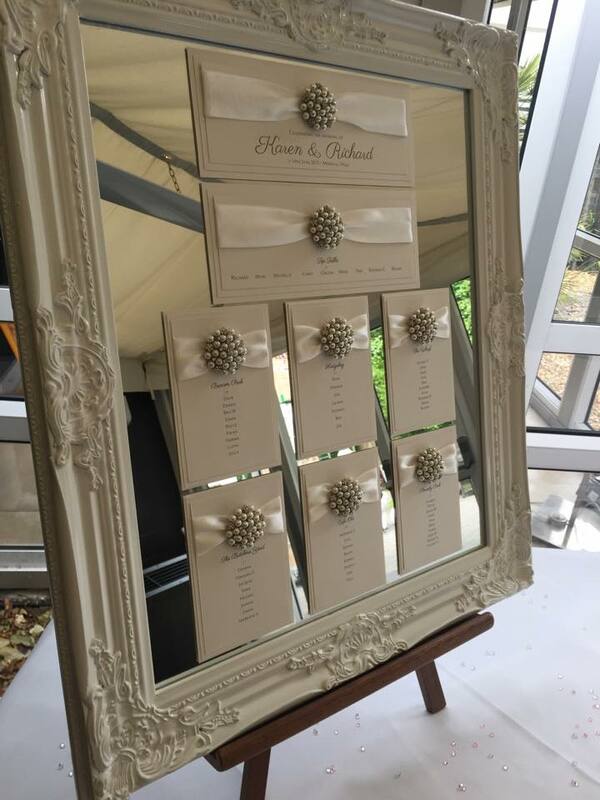 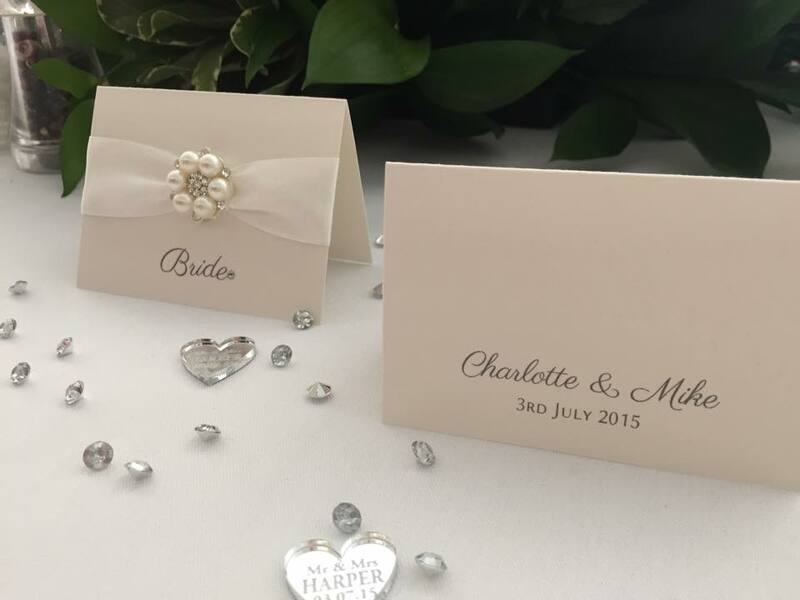 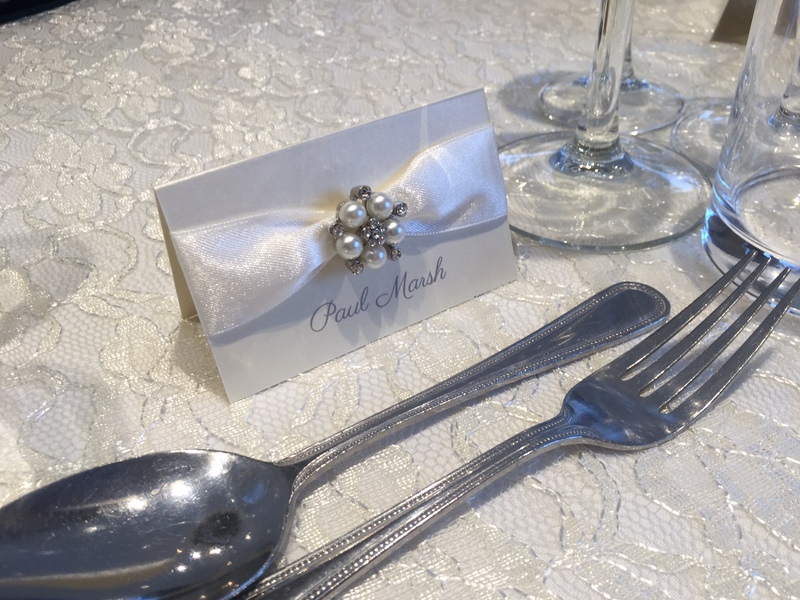 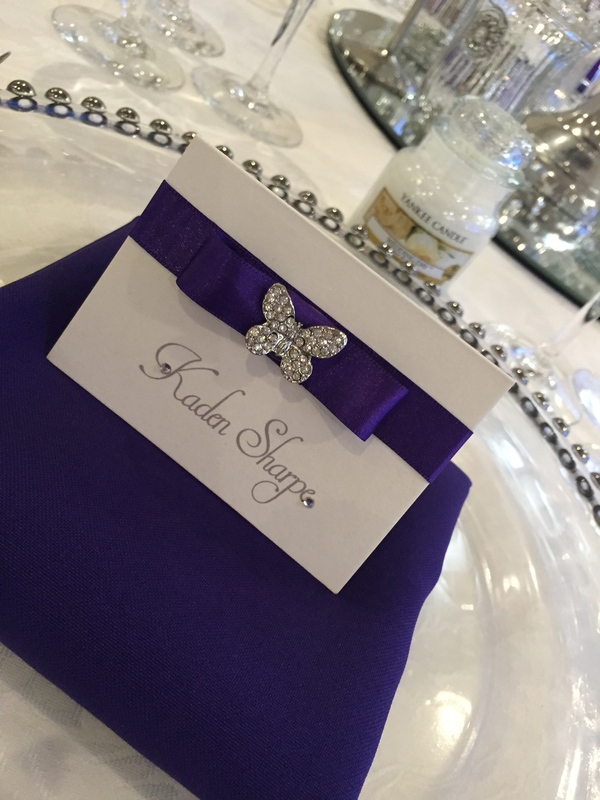 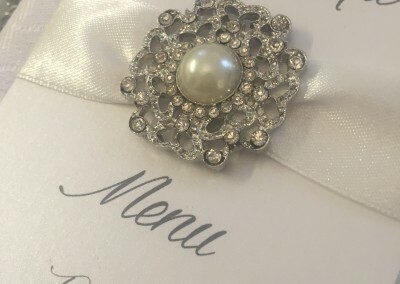 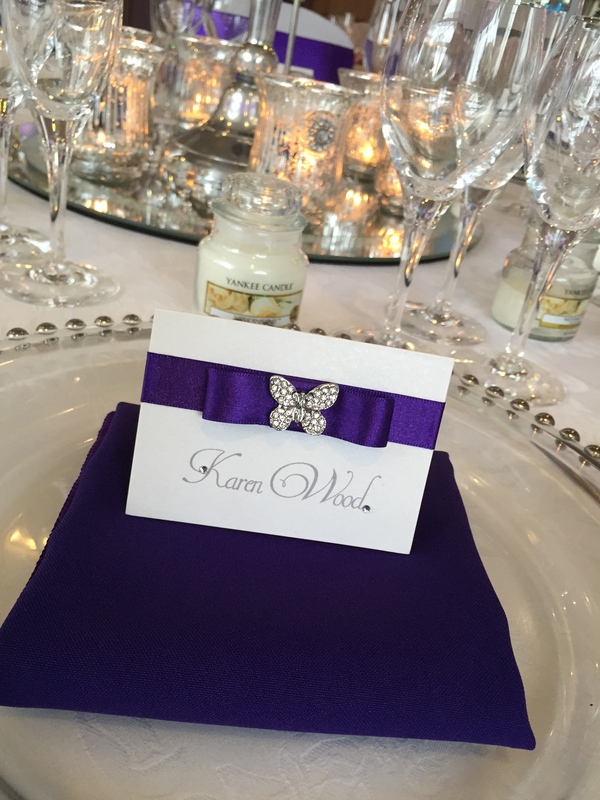 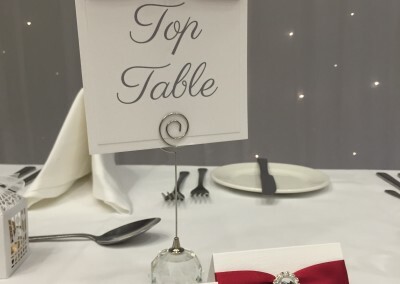 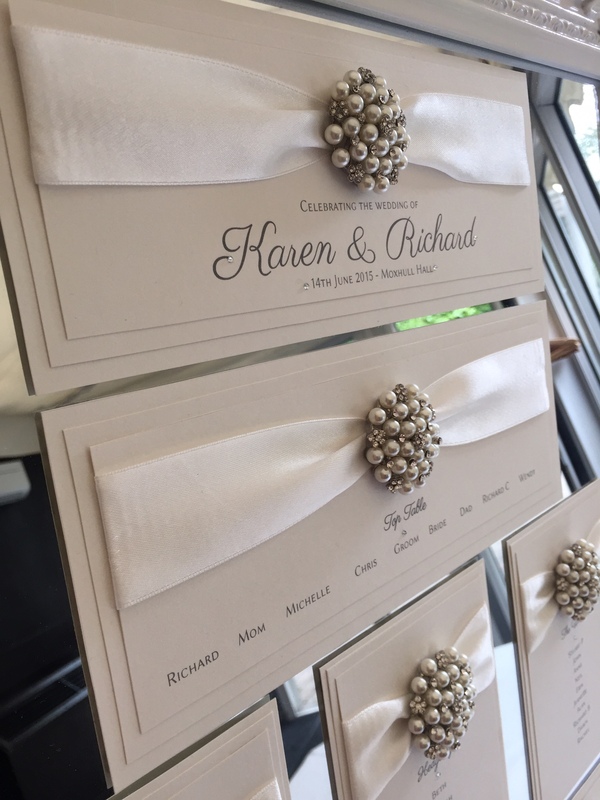 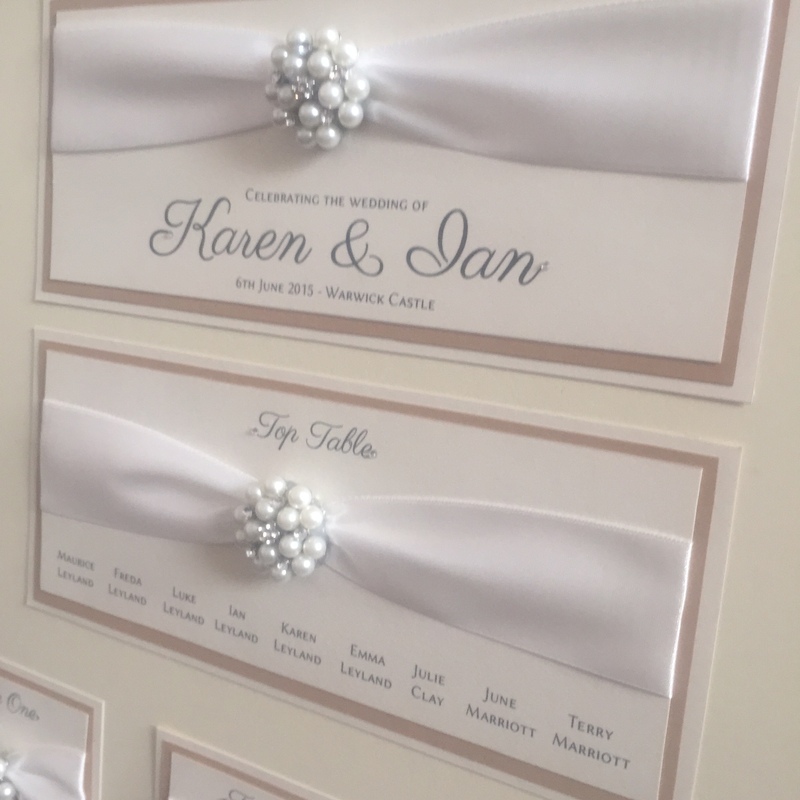 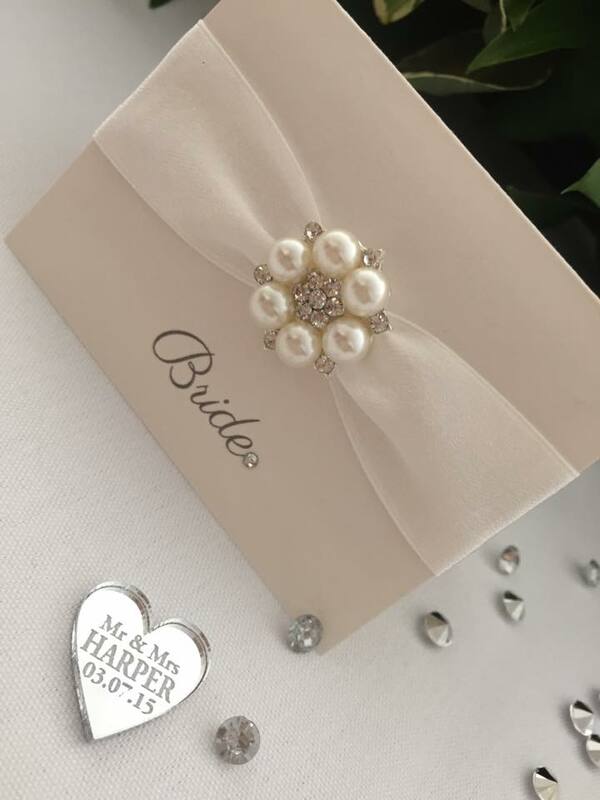 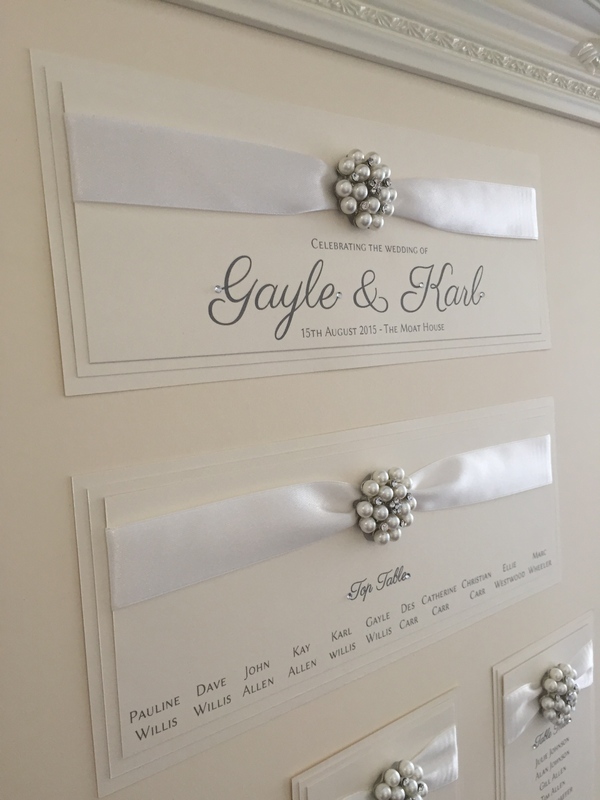 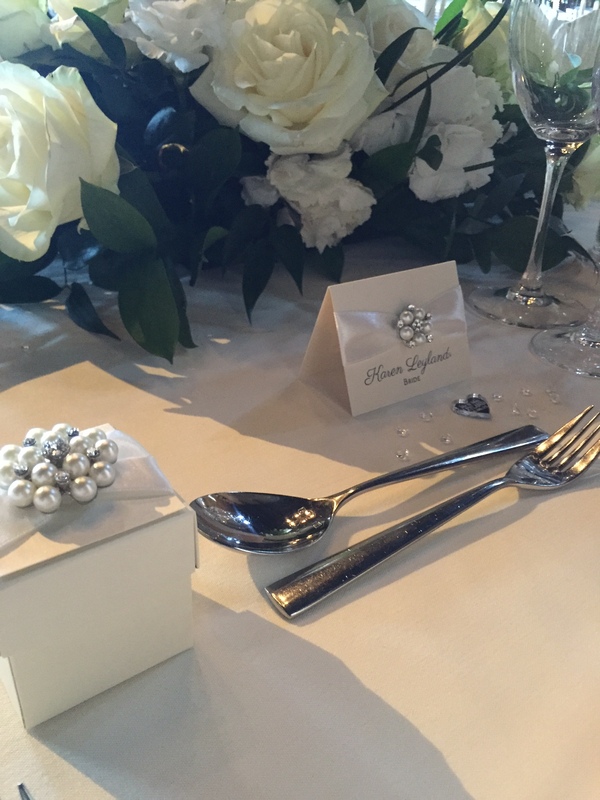 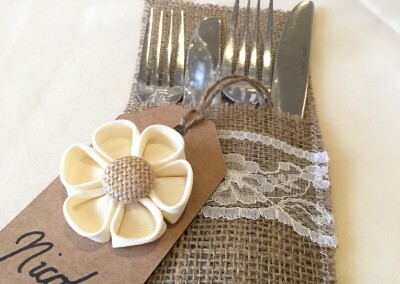 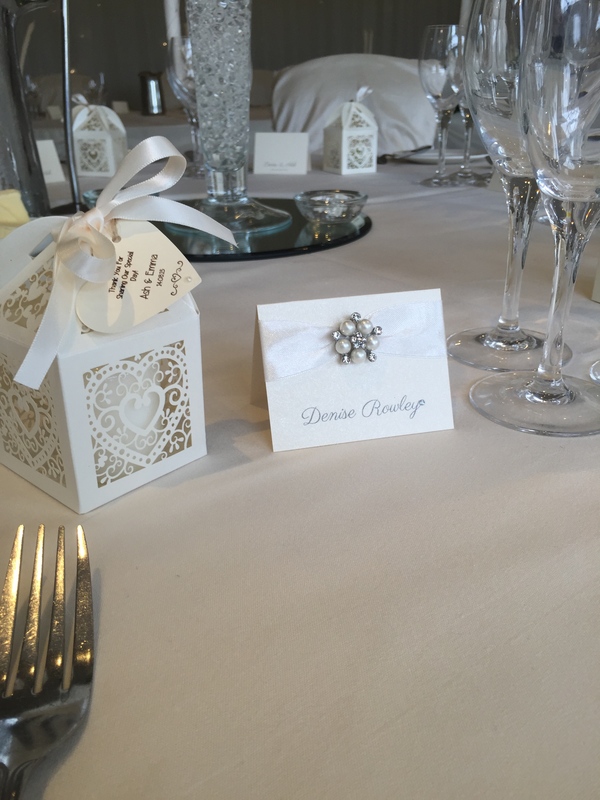 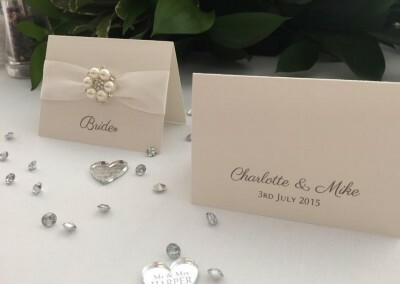 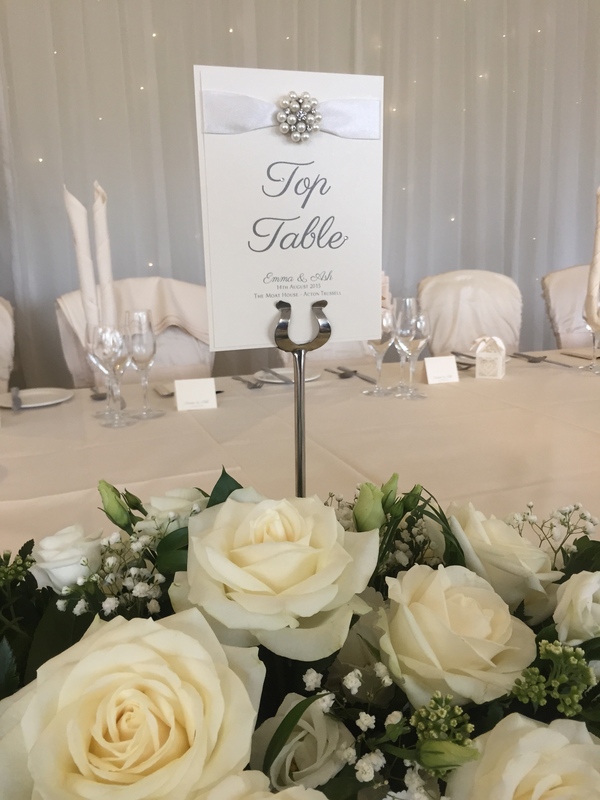 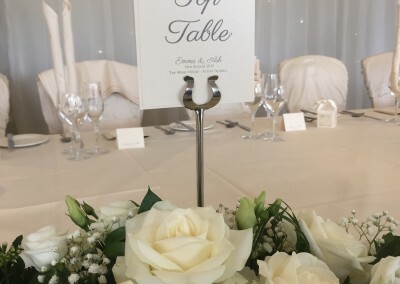 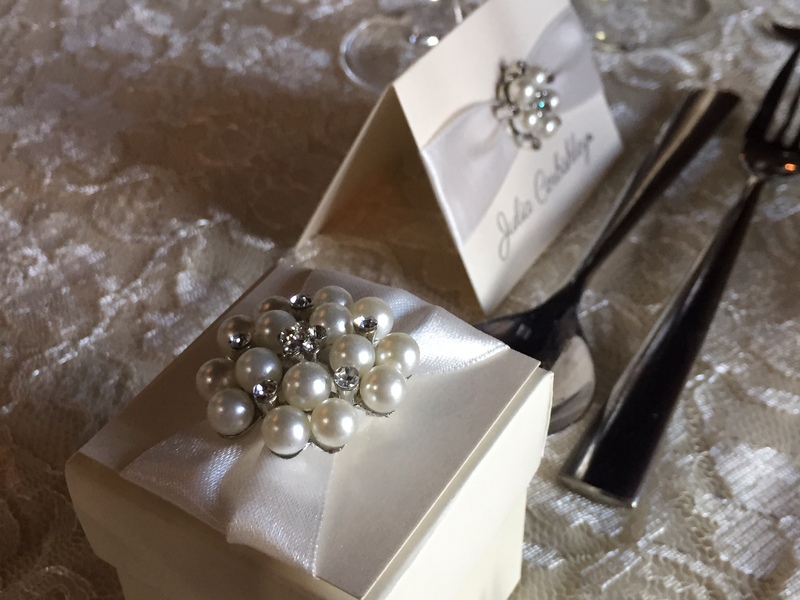 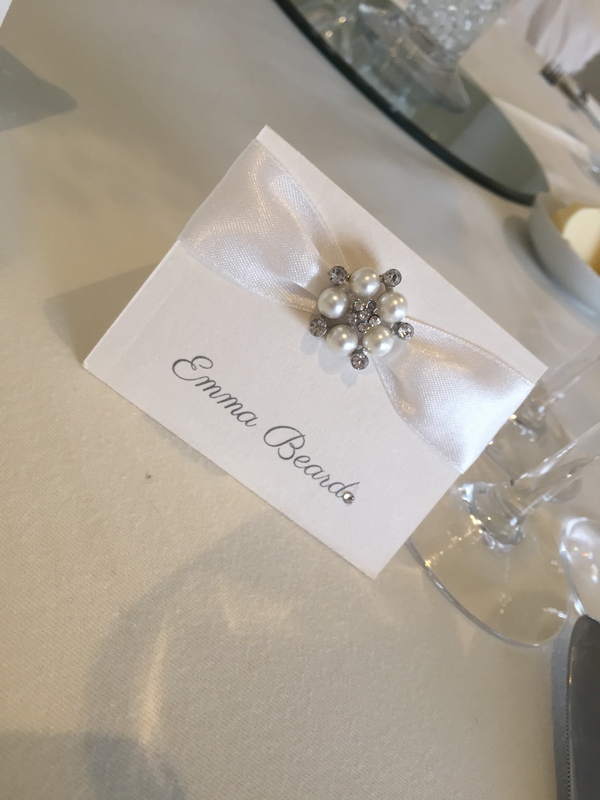 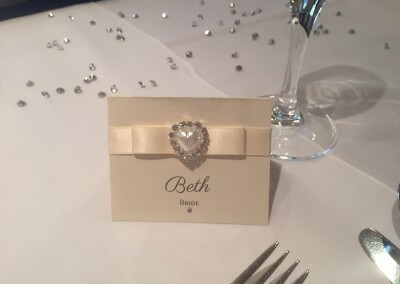 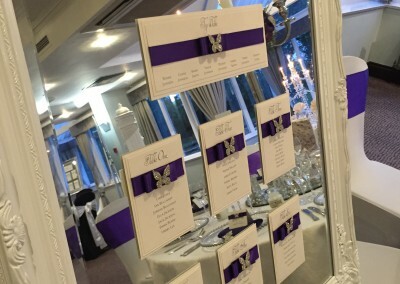 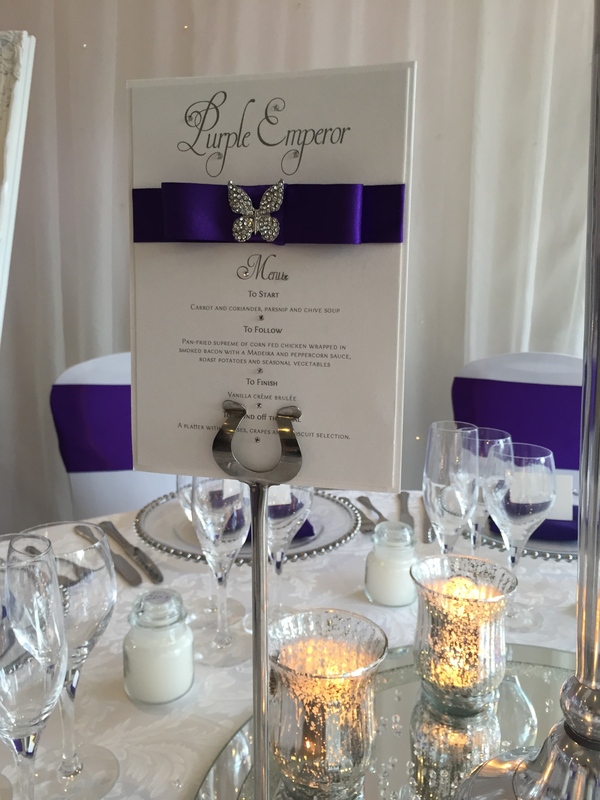 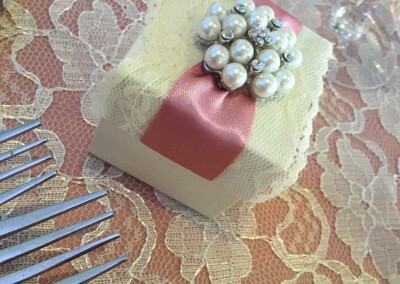 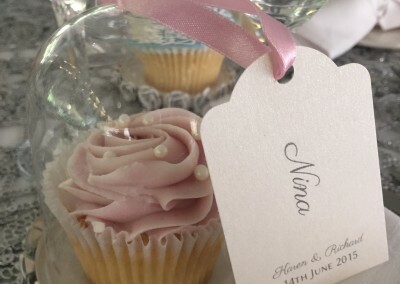 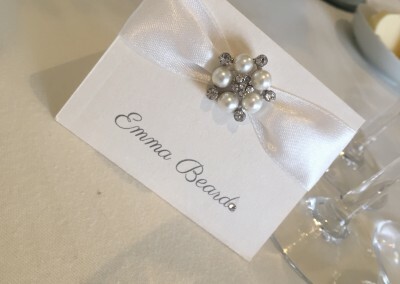 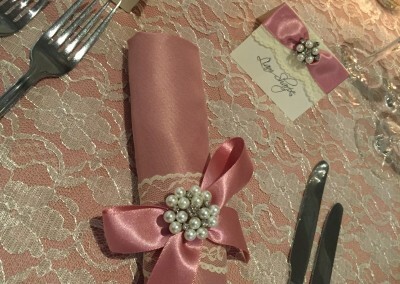 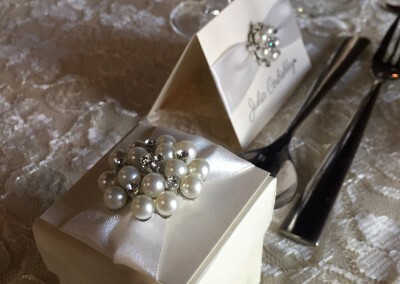 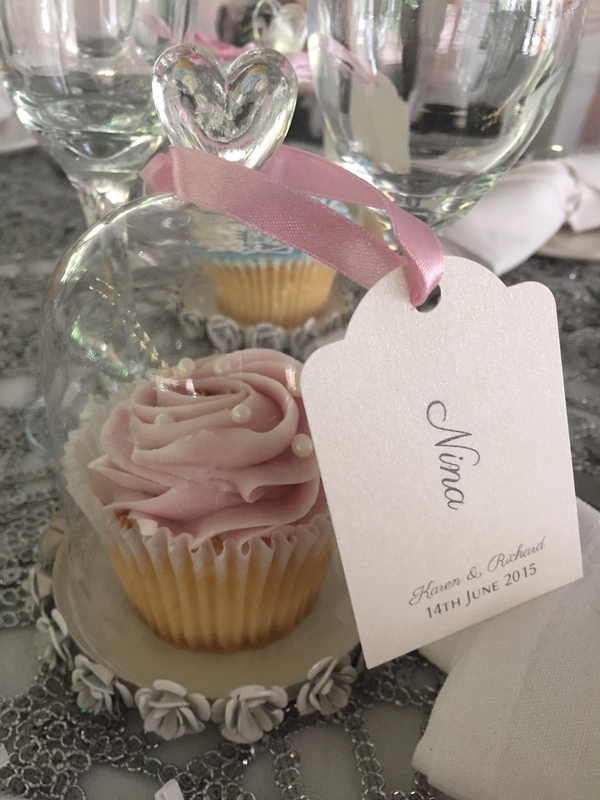 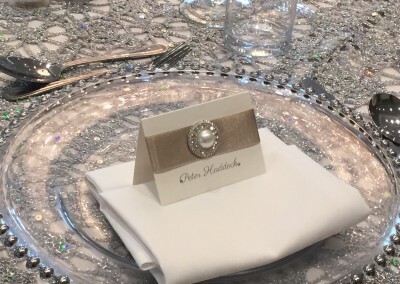 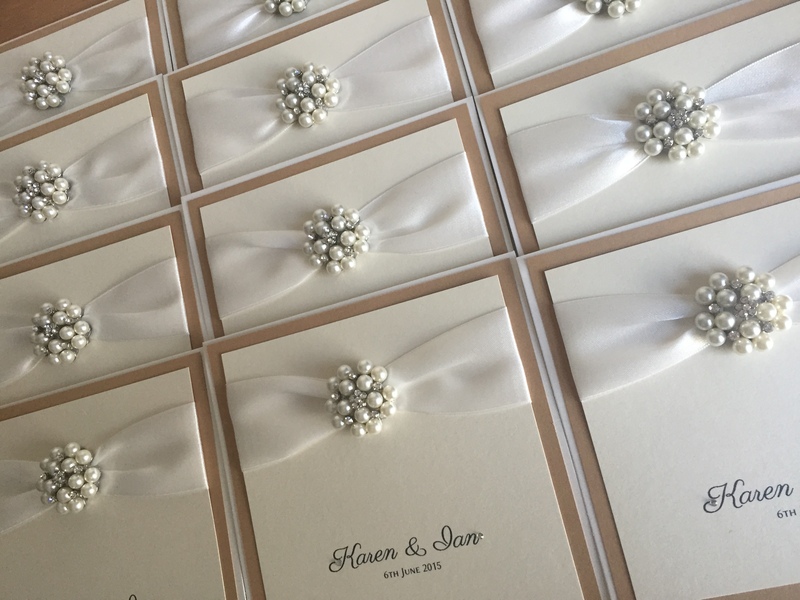 Whether you prefer the traditional backed table plan or a mirror we can style your table plan to match your invitations, place cards, favours and table cards. 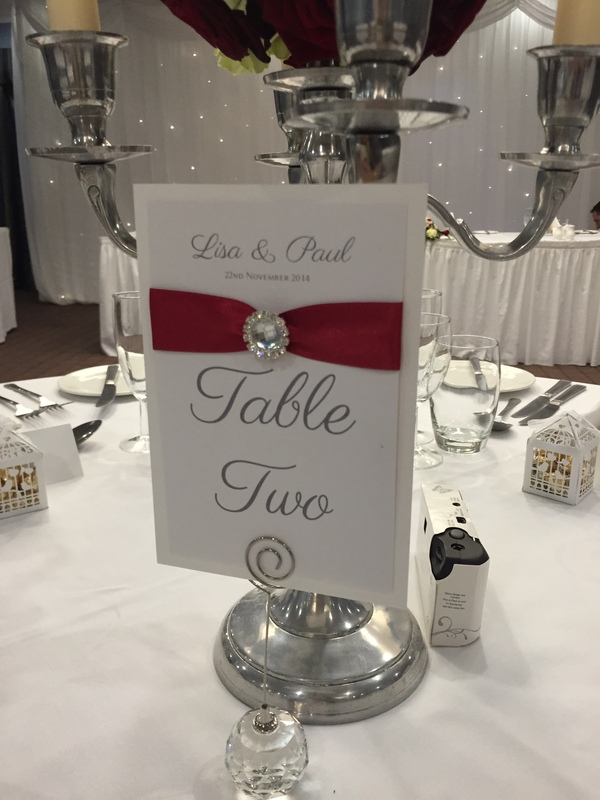 Click through the gallery to see some pictures of our recent work. 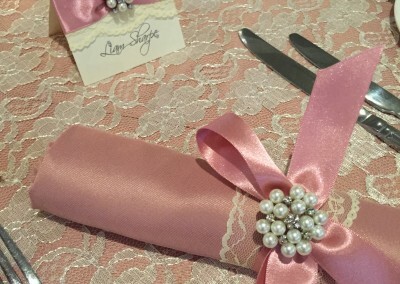 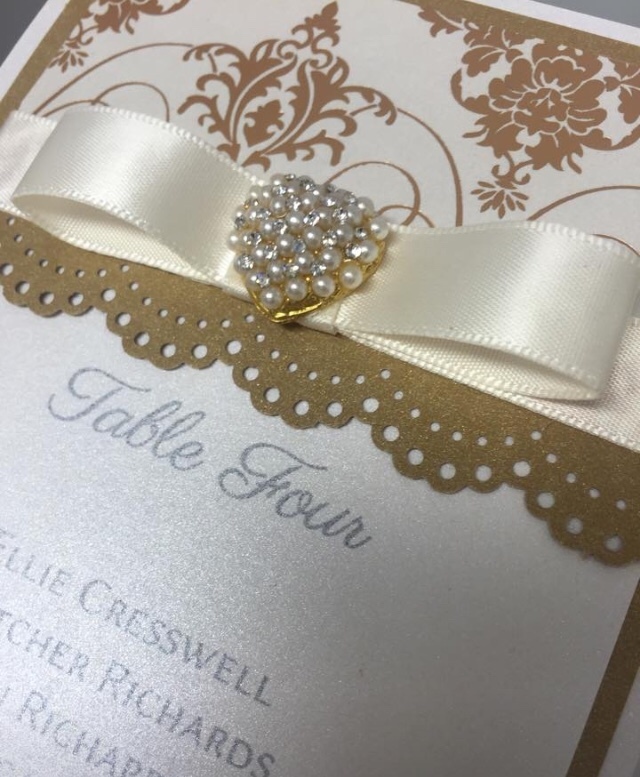 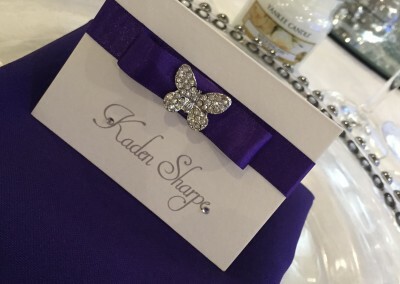 Whether you are looking for traditional folded place cards, or Flat Menu’s with your place name incorporated we can help you with your design. 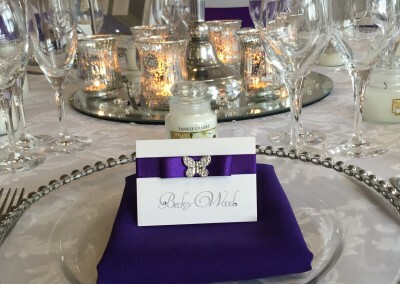 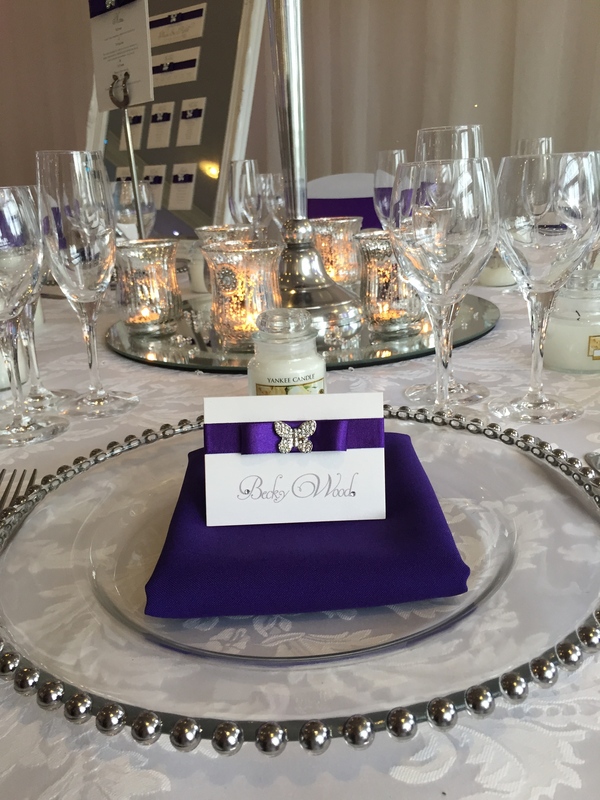 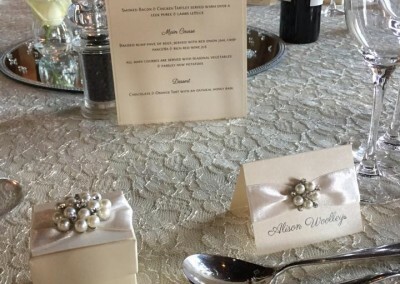 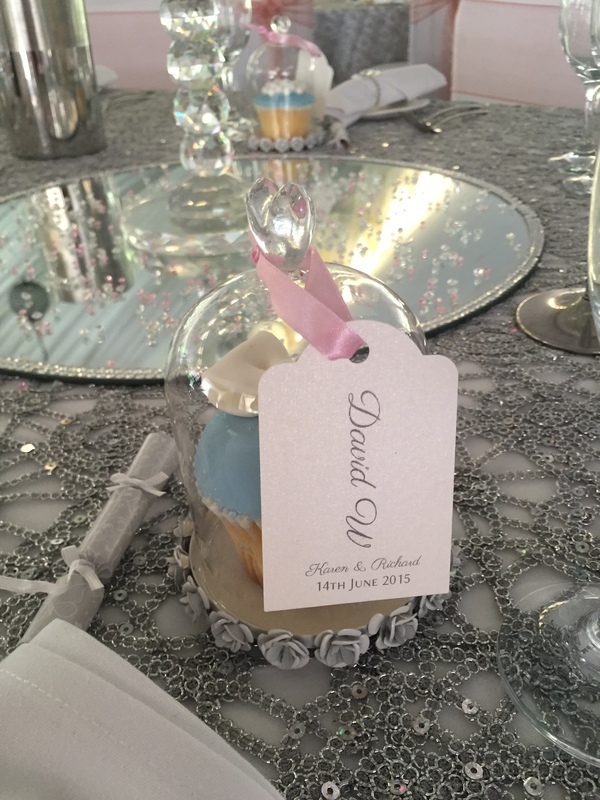 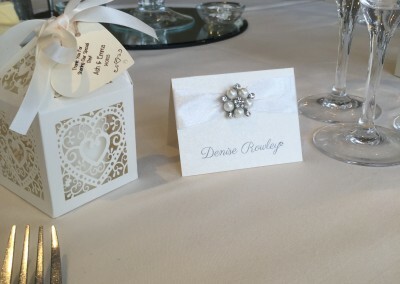 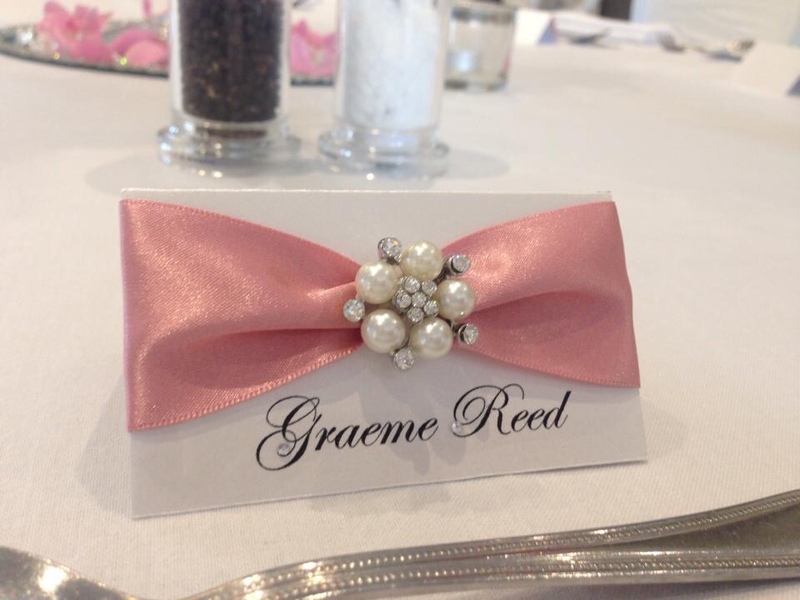 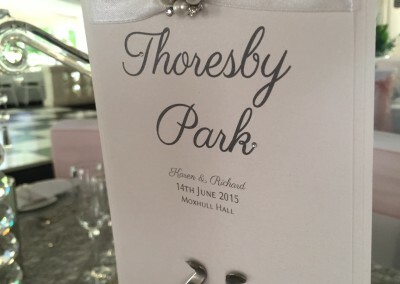 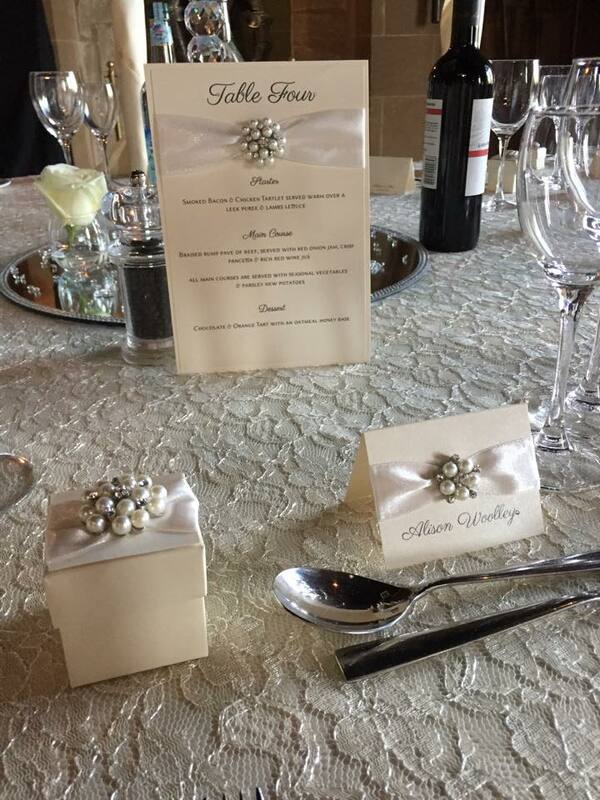 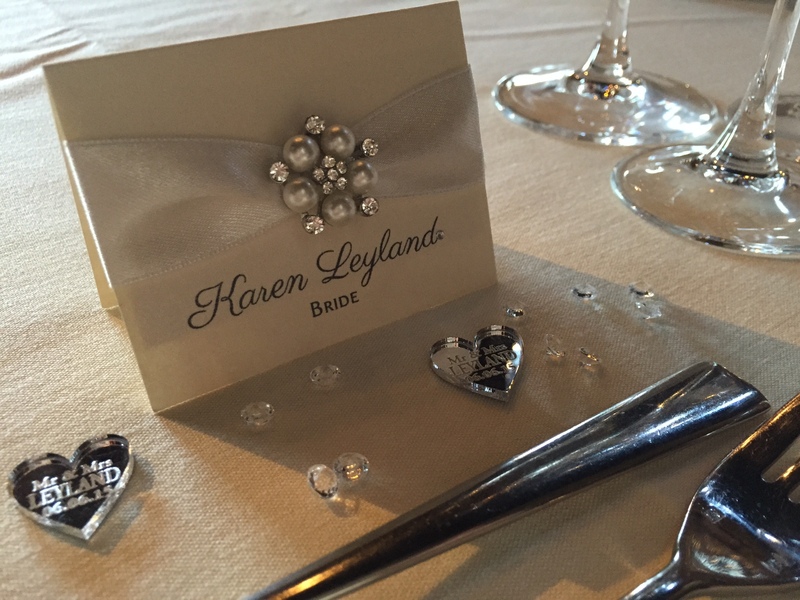 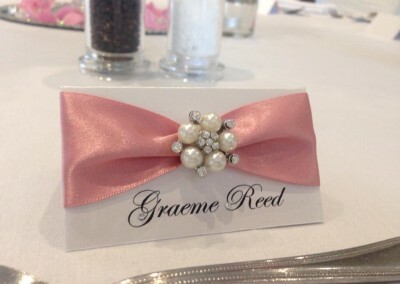 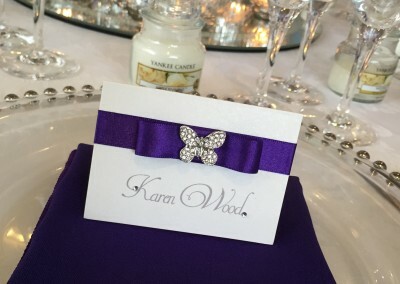 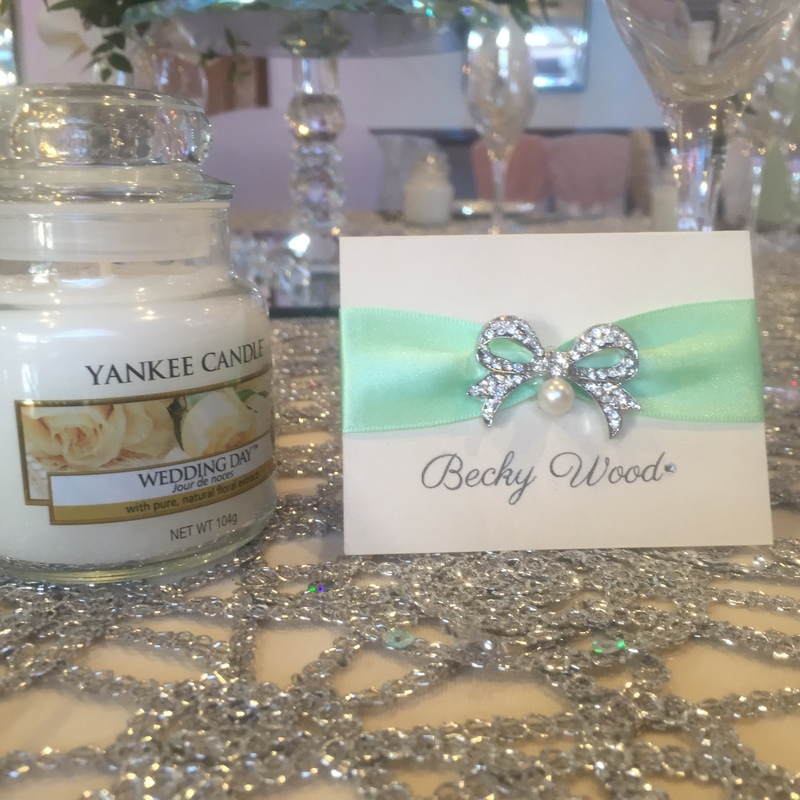 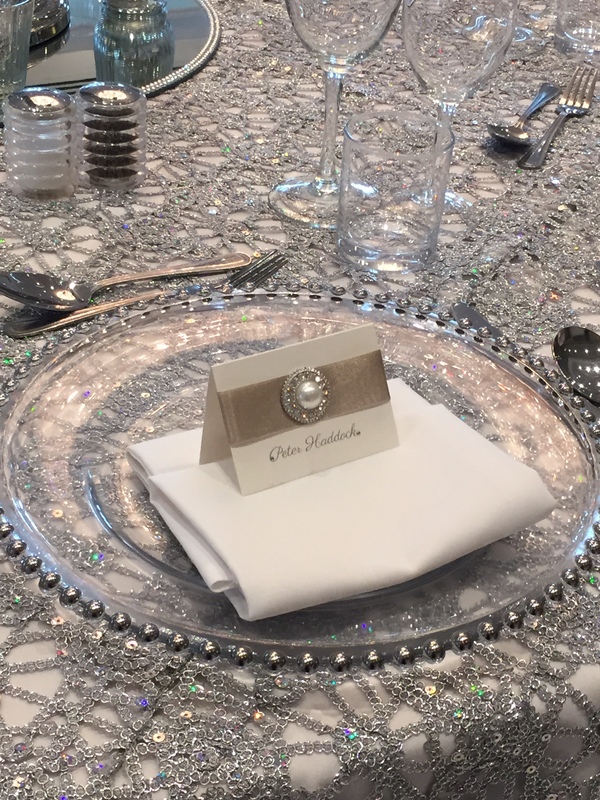 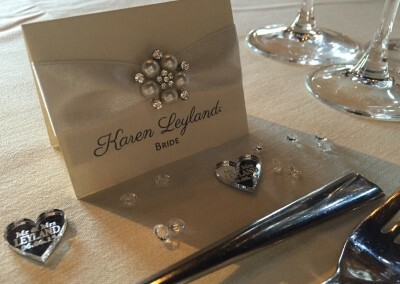 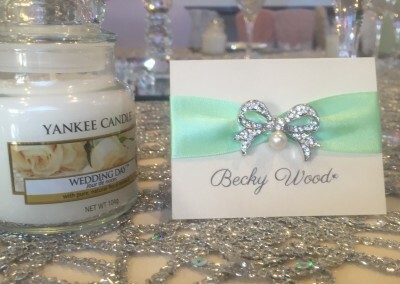 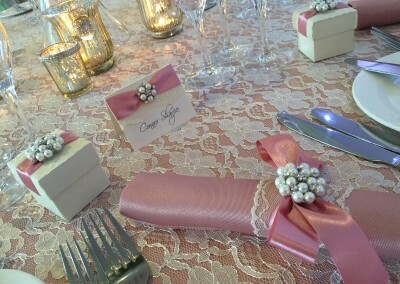 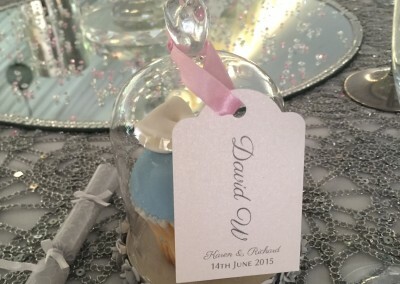 We also manufacture, design & print Acrylic Place cards. 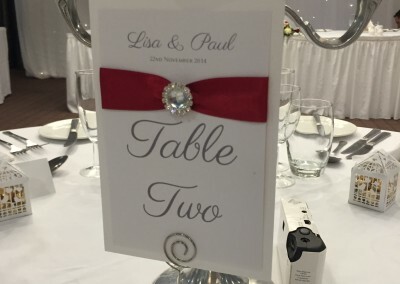 Scroll through the gallery for some pictures of our recent work.